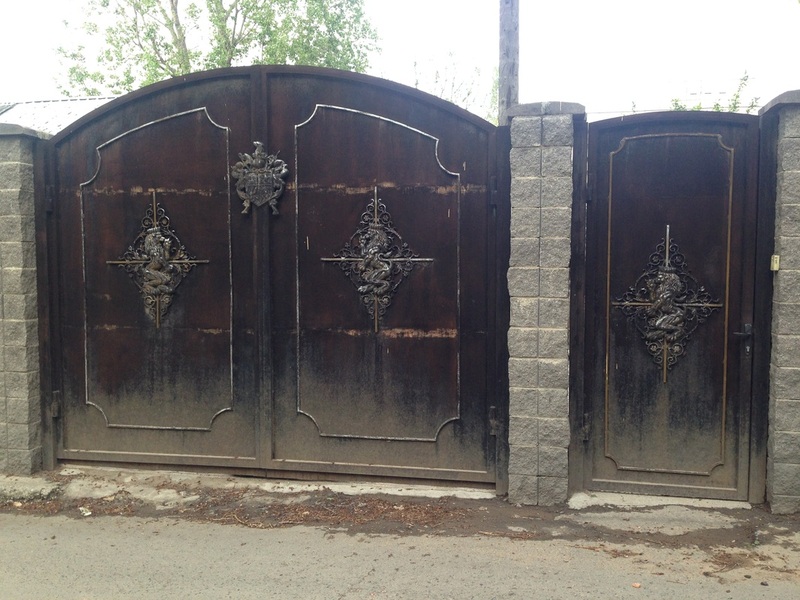 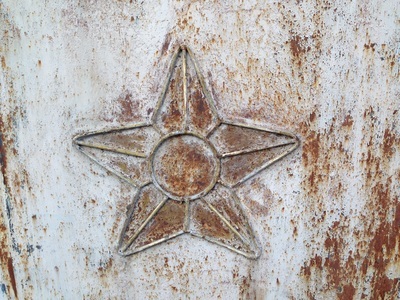 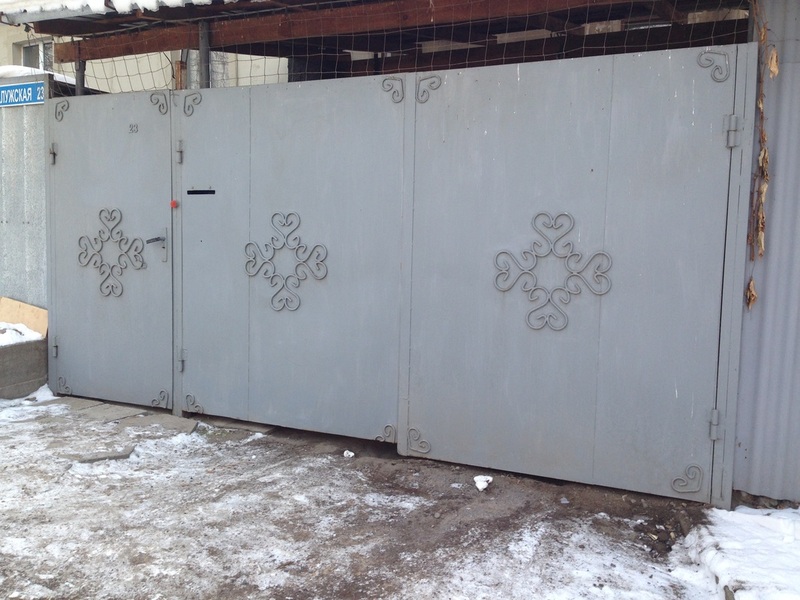 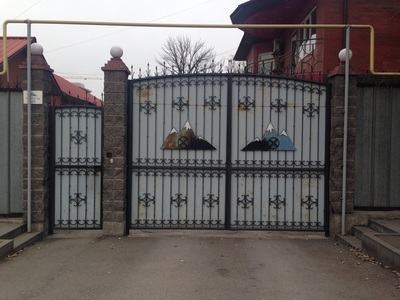 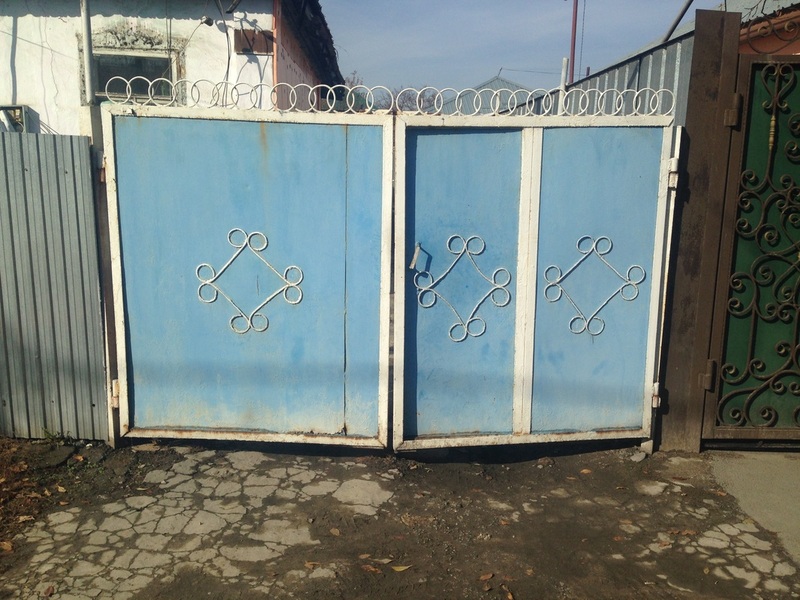 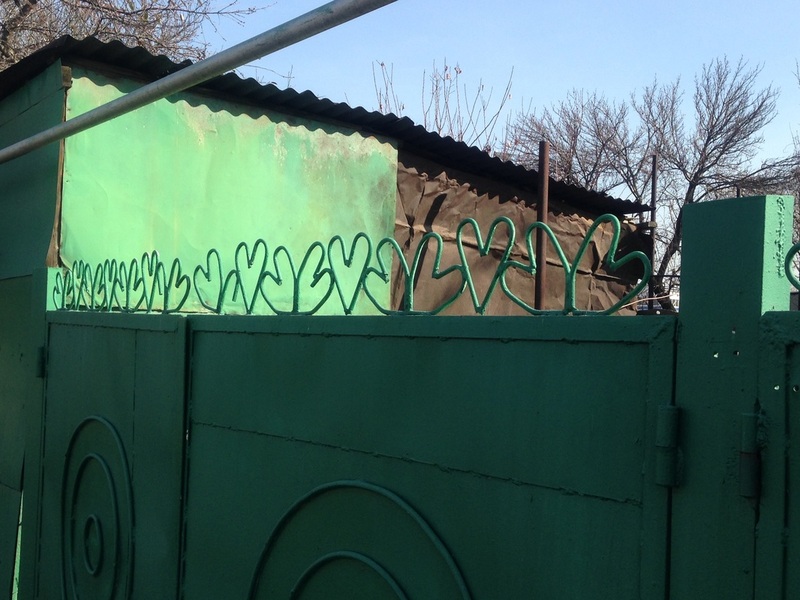 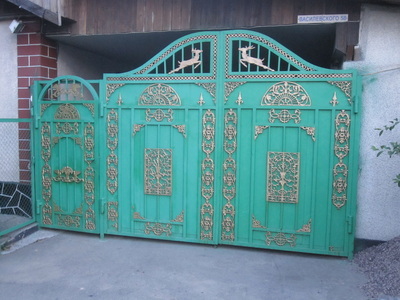 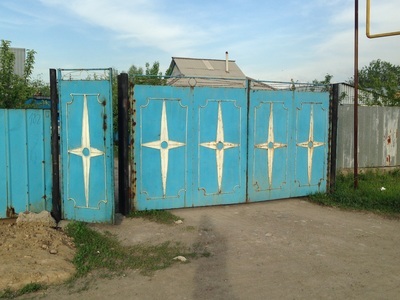 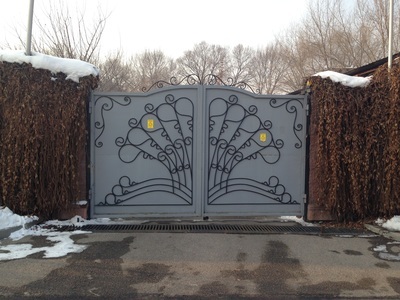 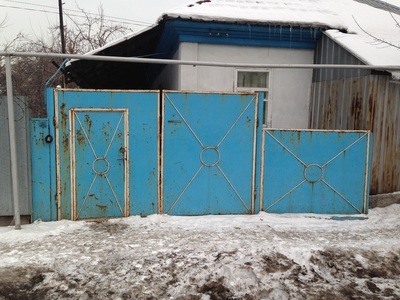 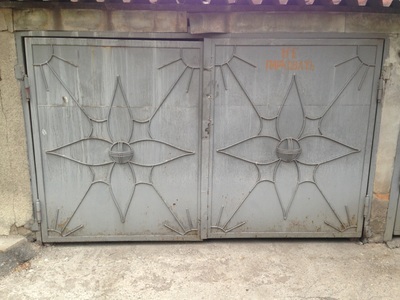 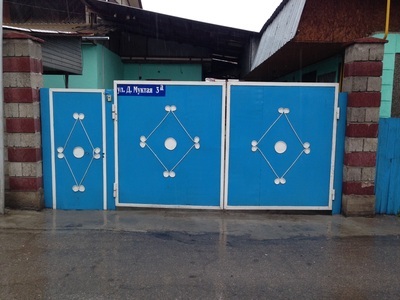 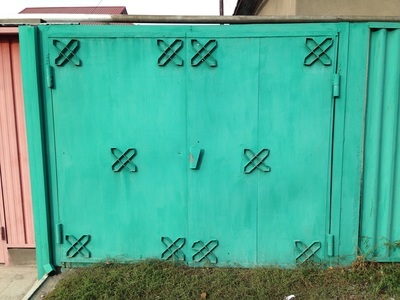 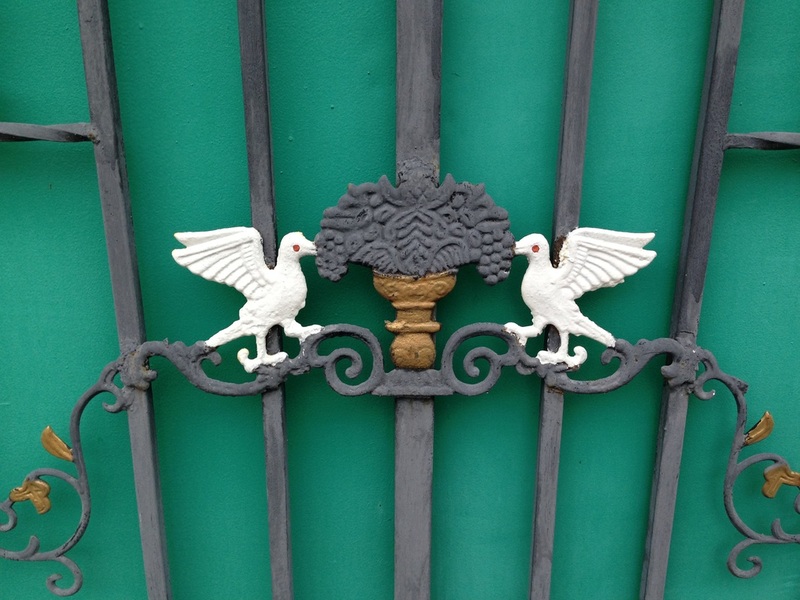 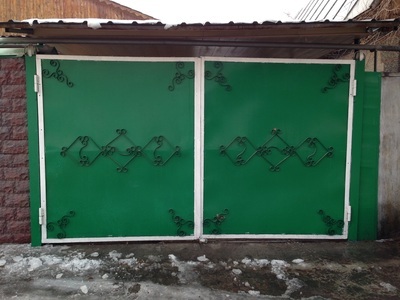 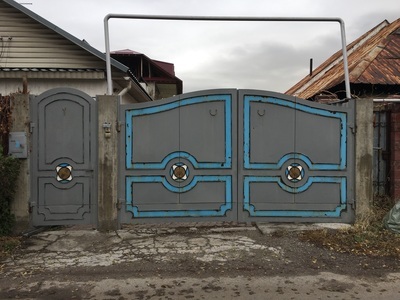 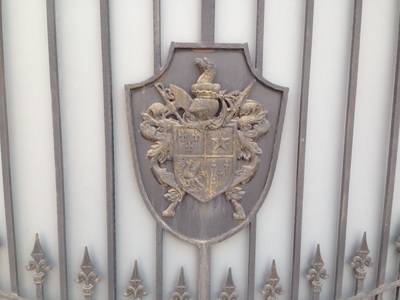 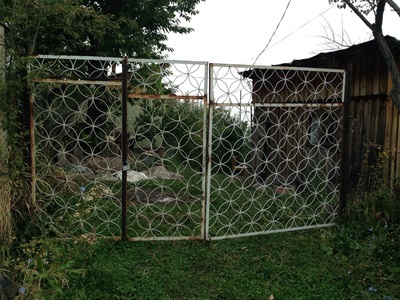 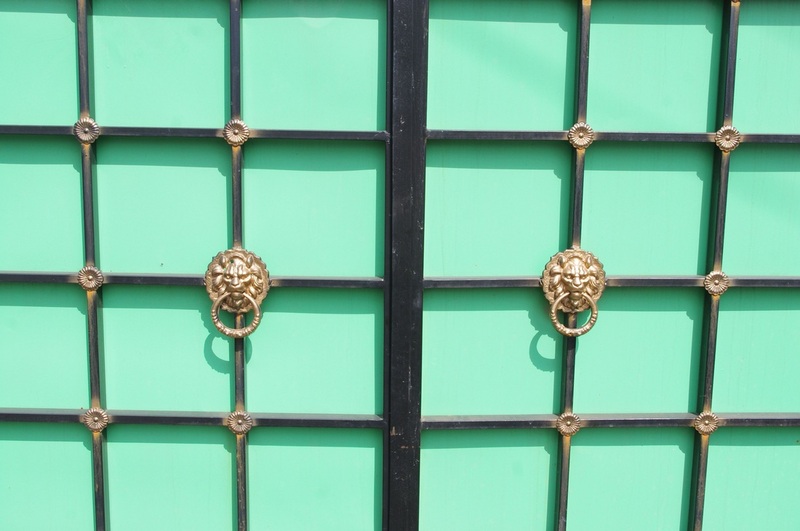 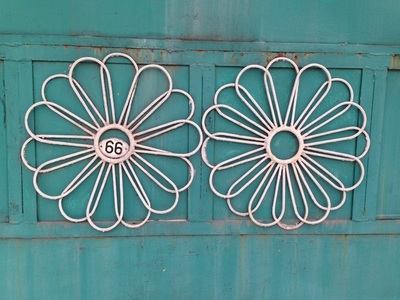 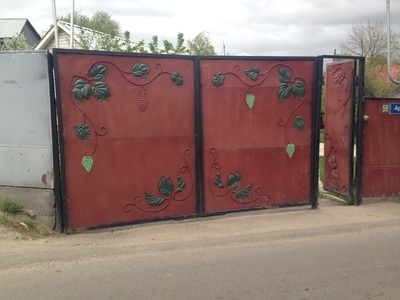 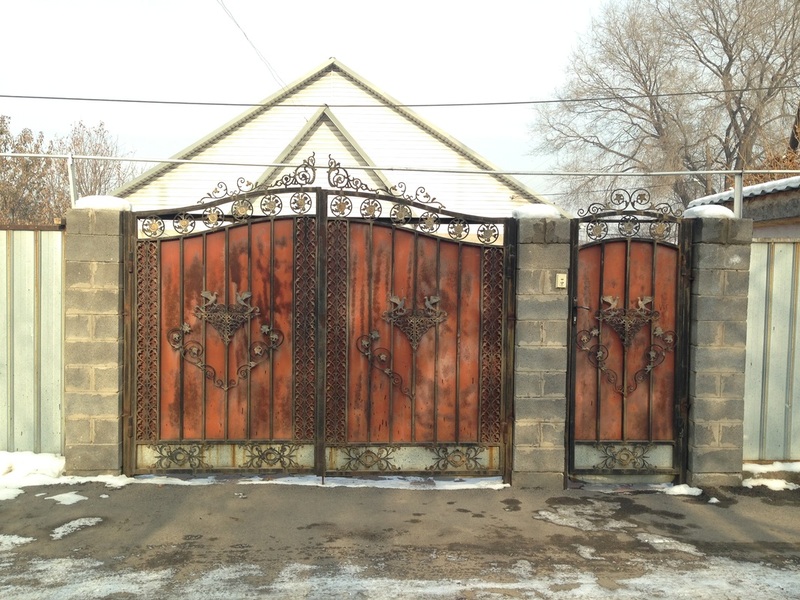 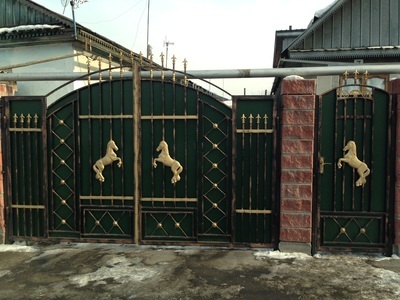 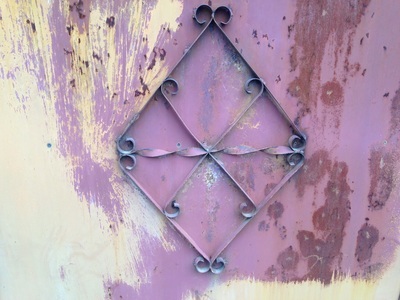 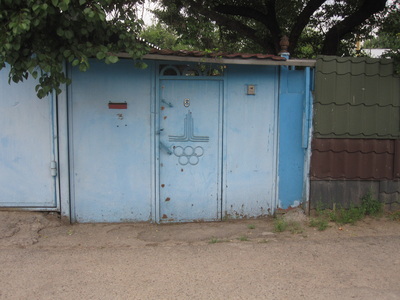 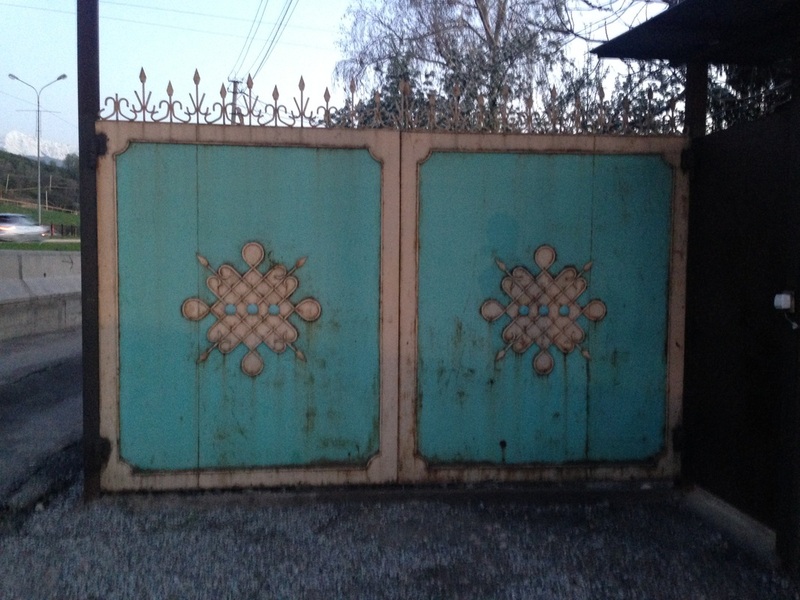 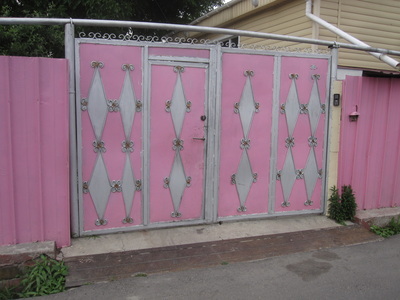 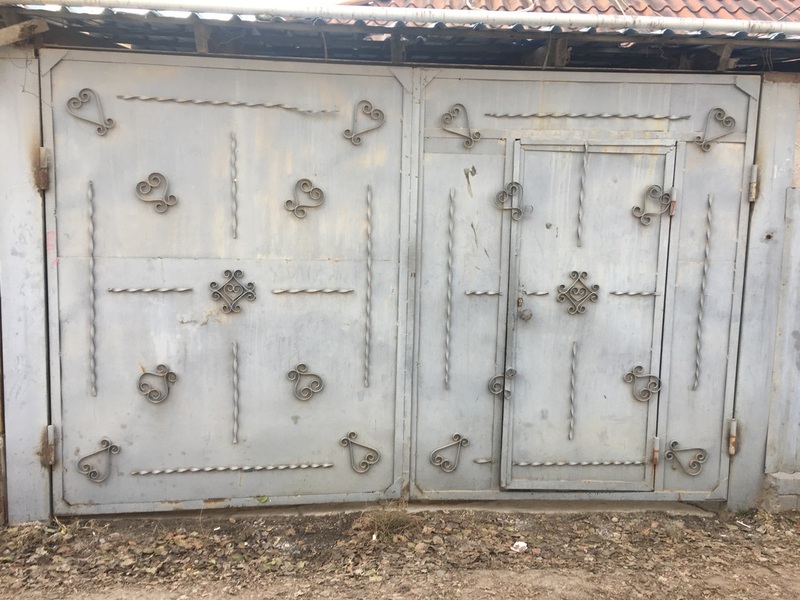 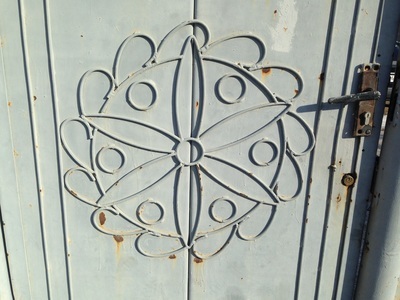 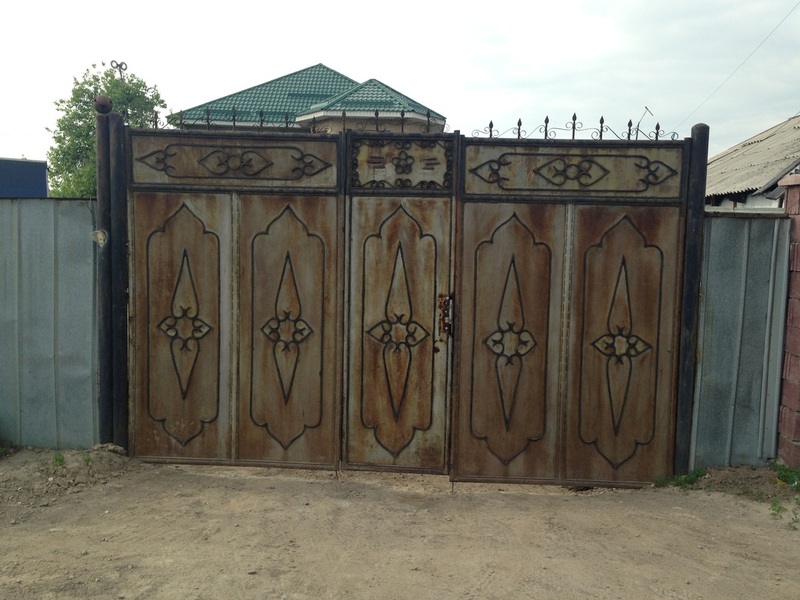 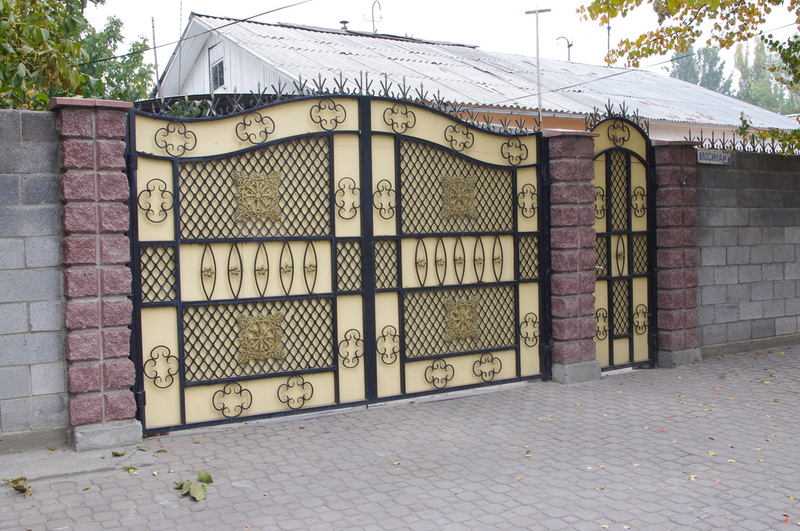 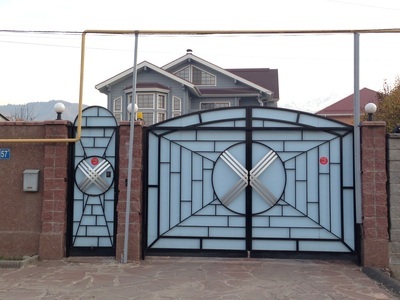 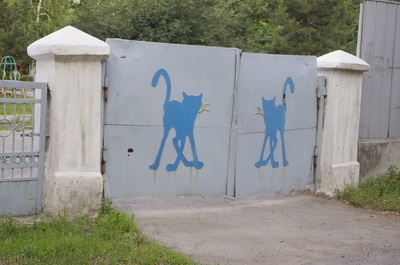 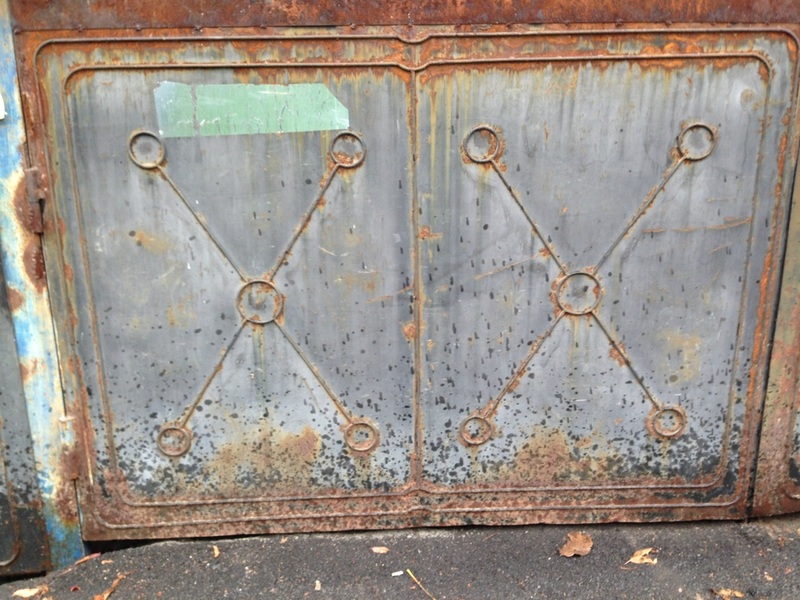 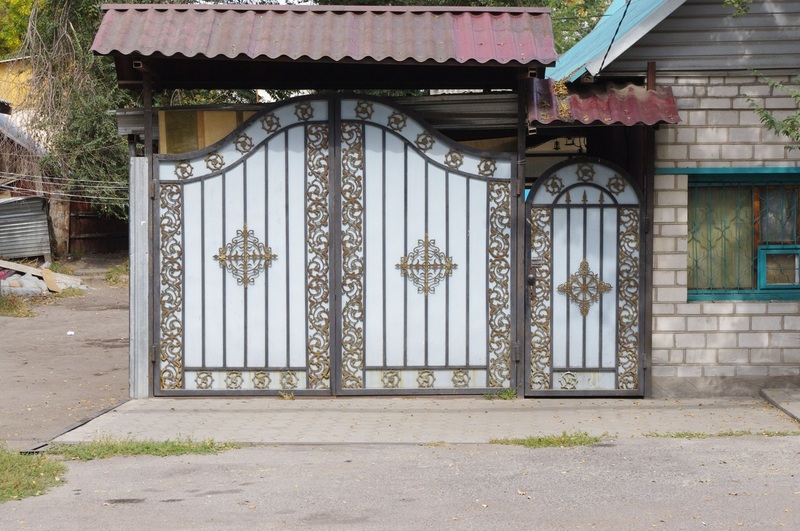 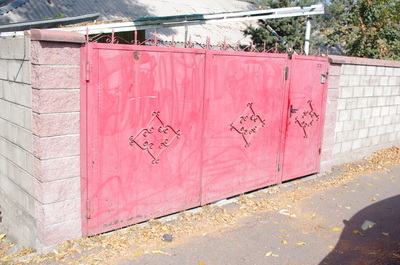 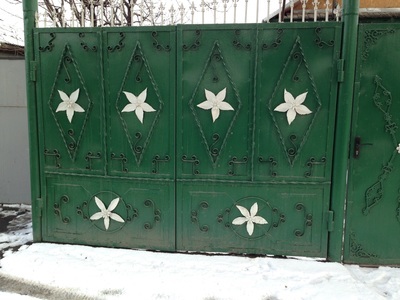 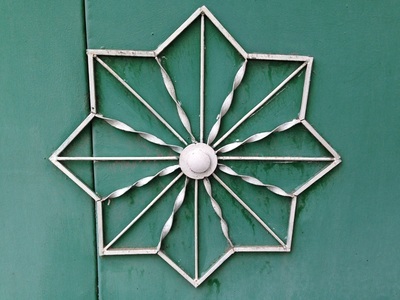 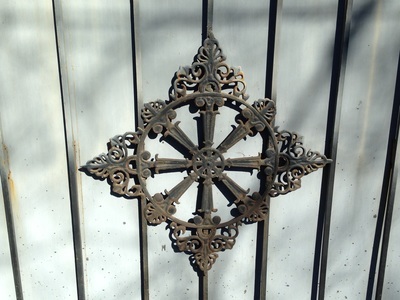 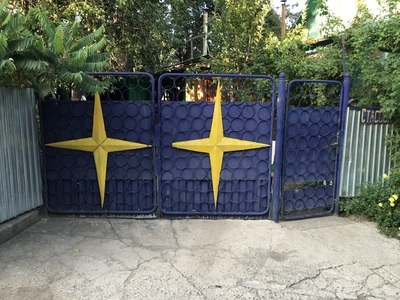 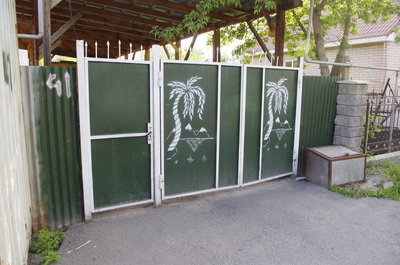 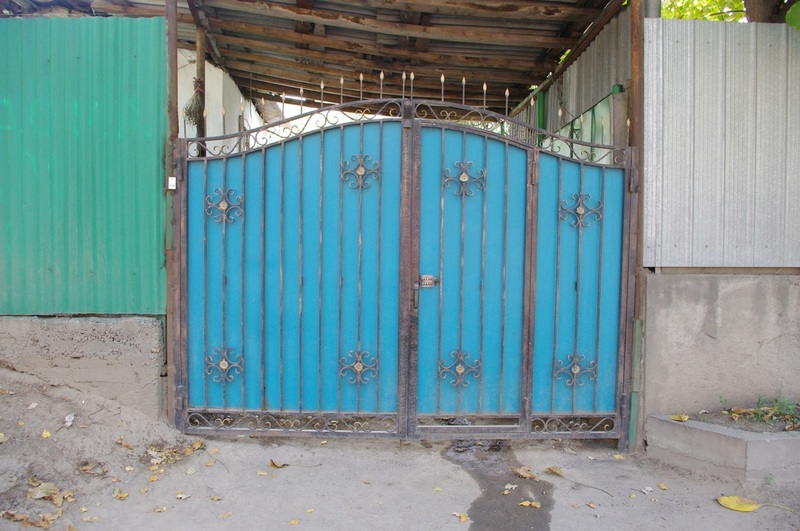 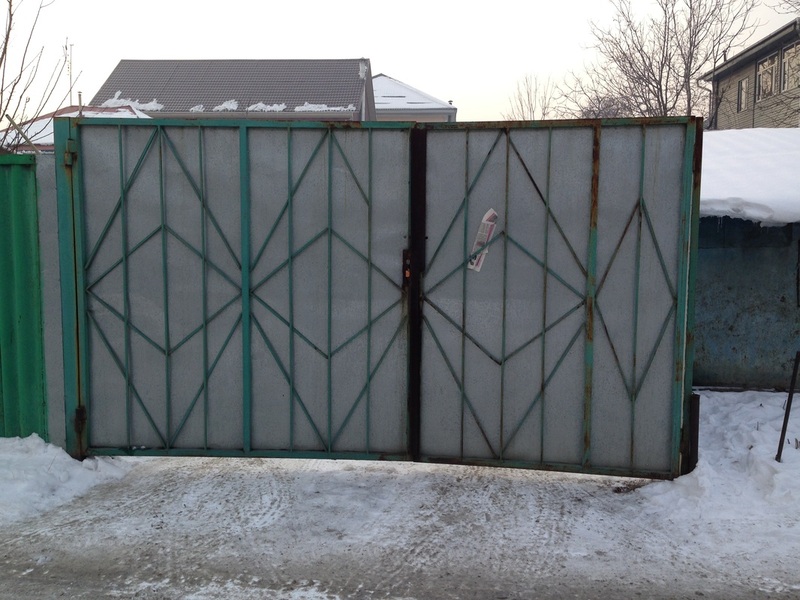 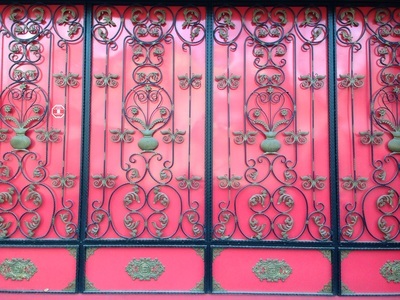 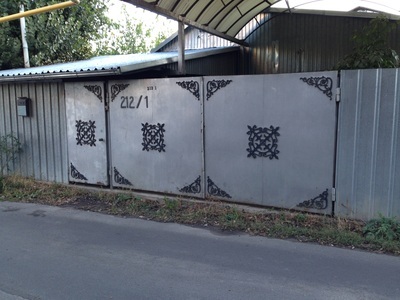 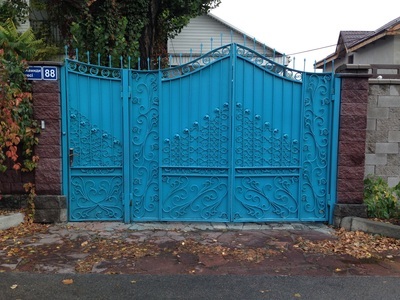 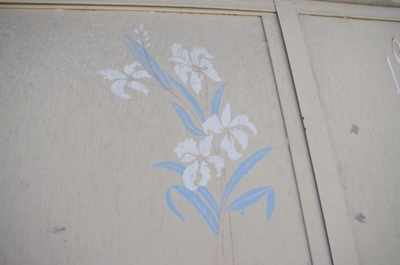 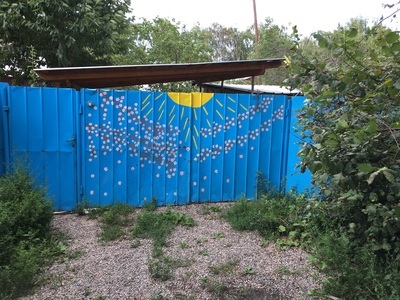 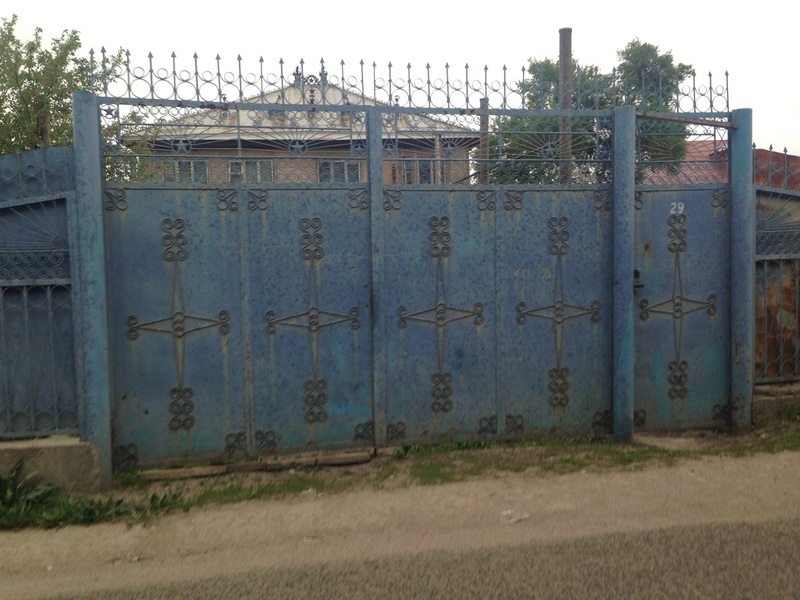 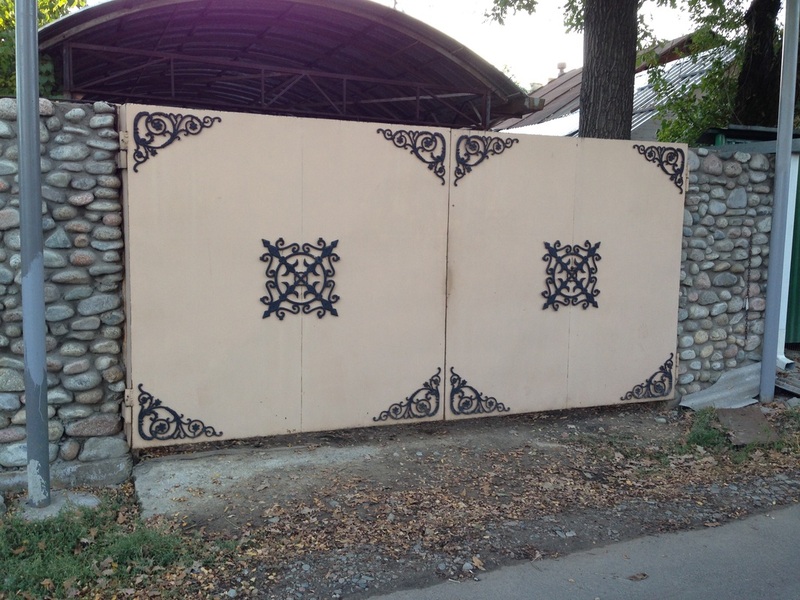 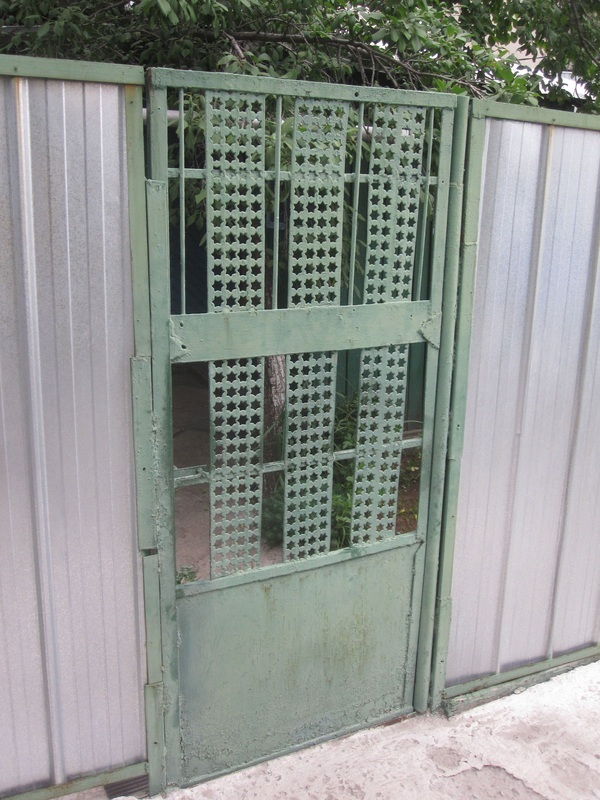 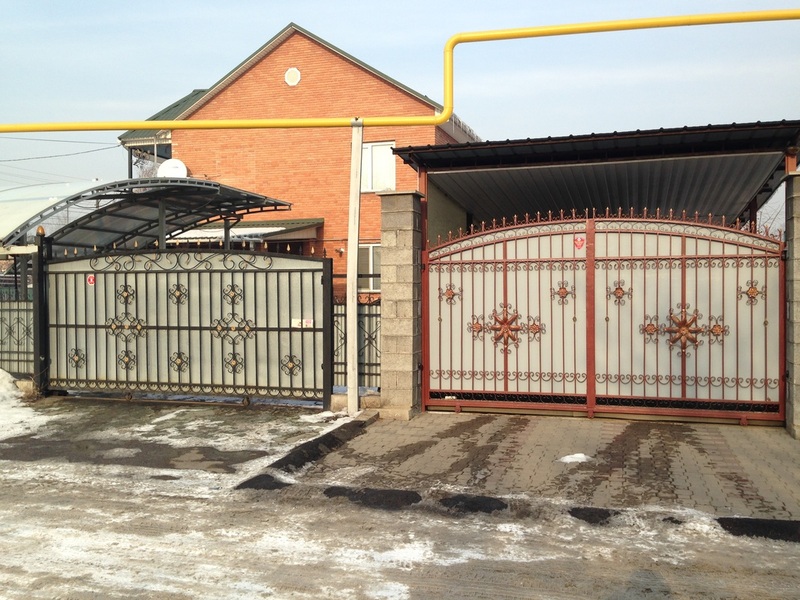 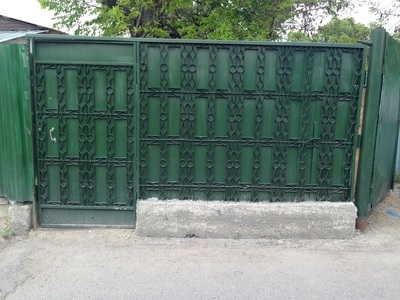 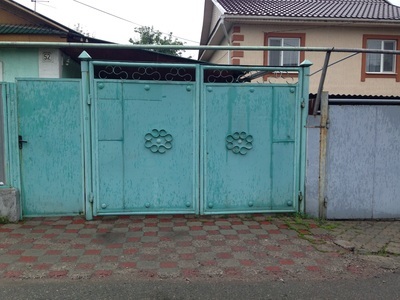 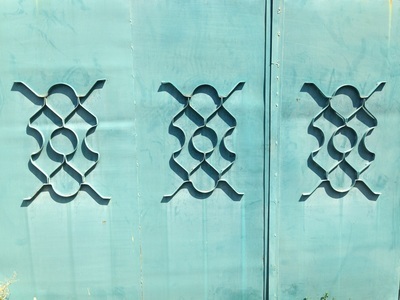 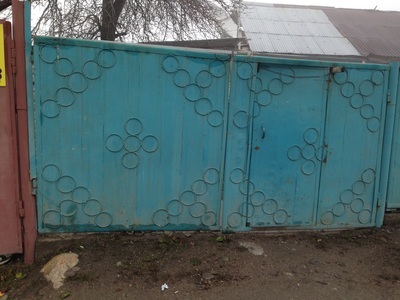 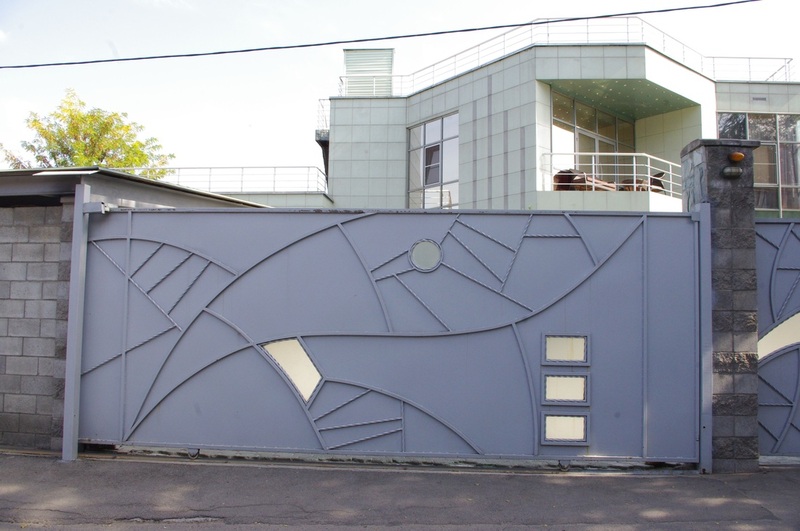 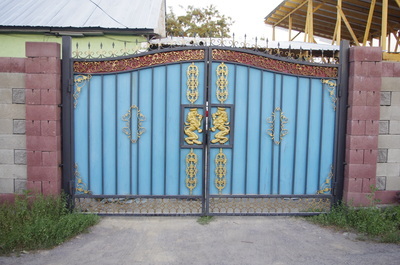 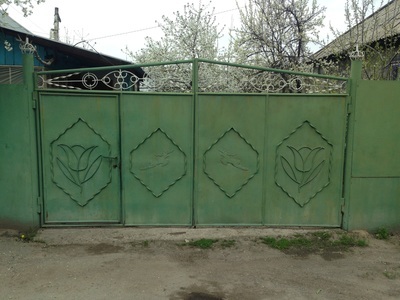 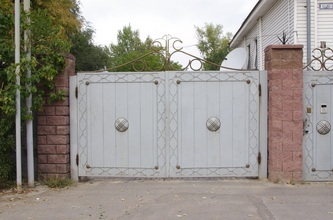 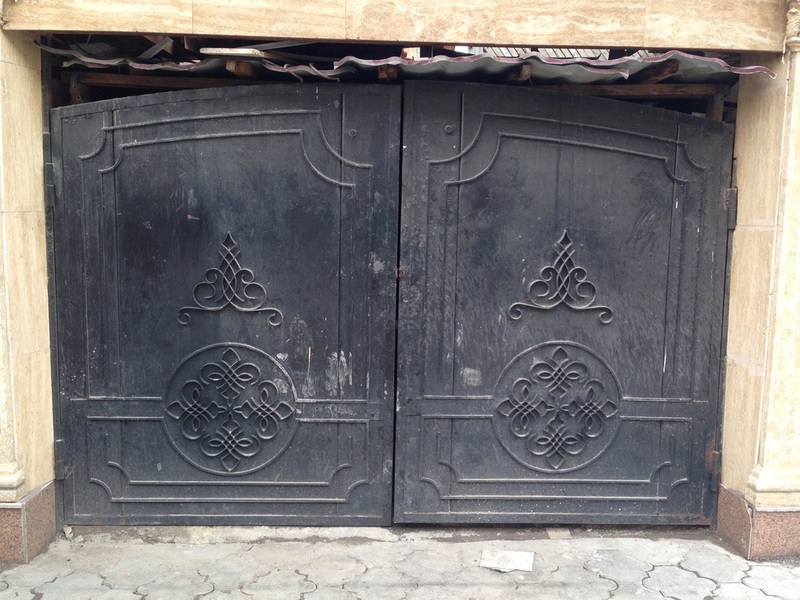 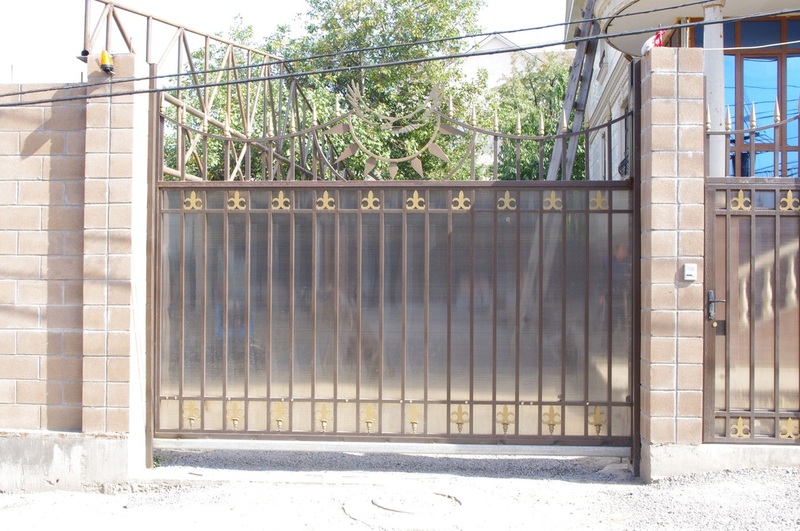 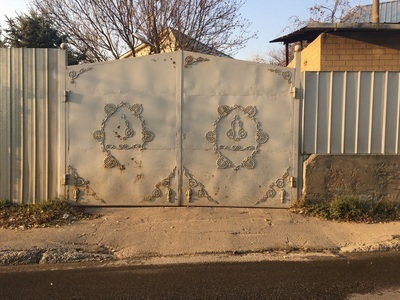 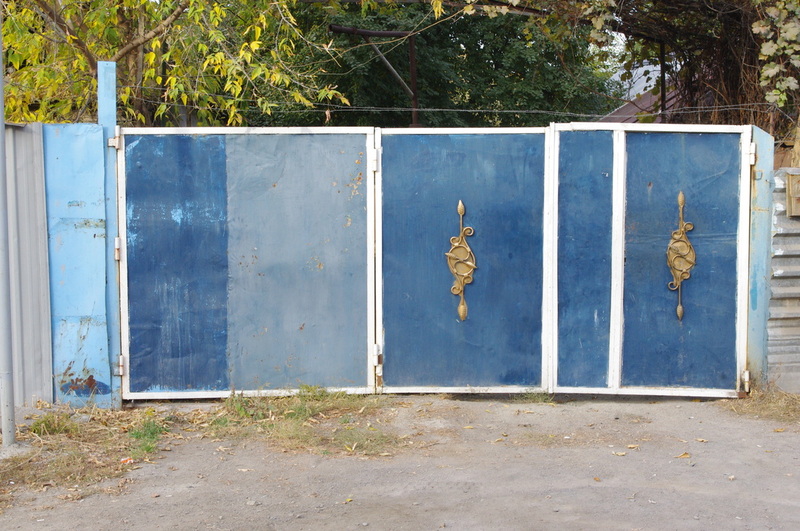 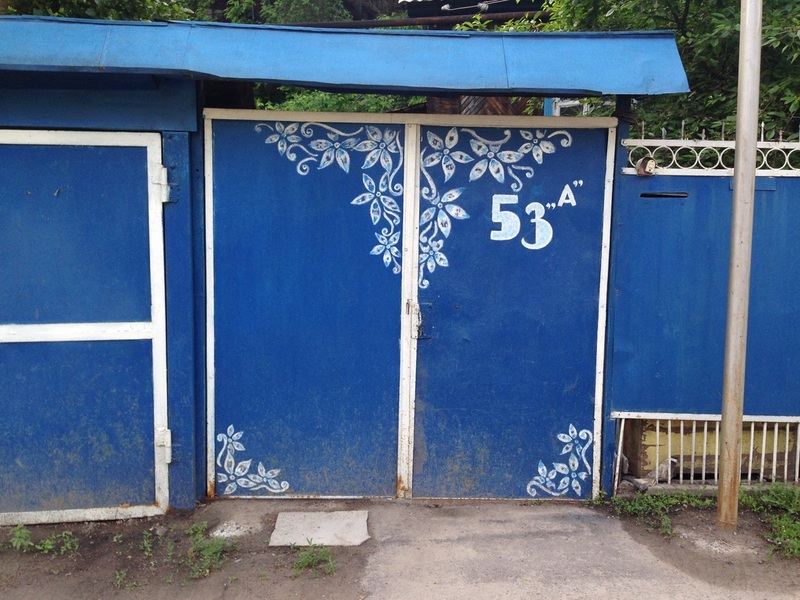 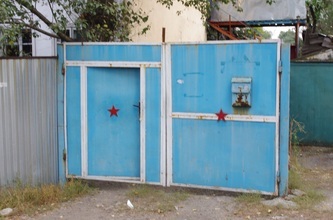 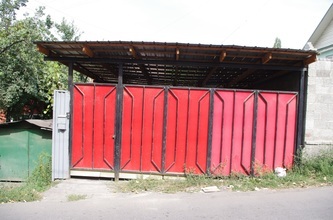 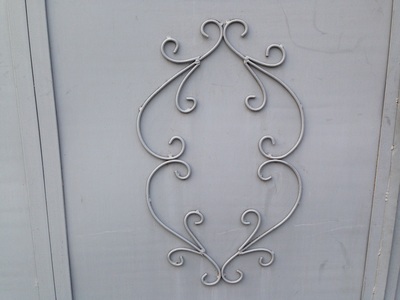 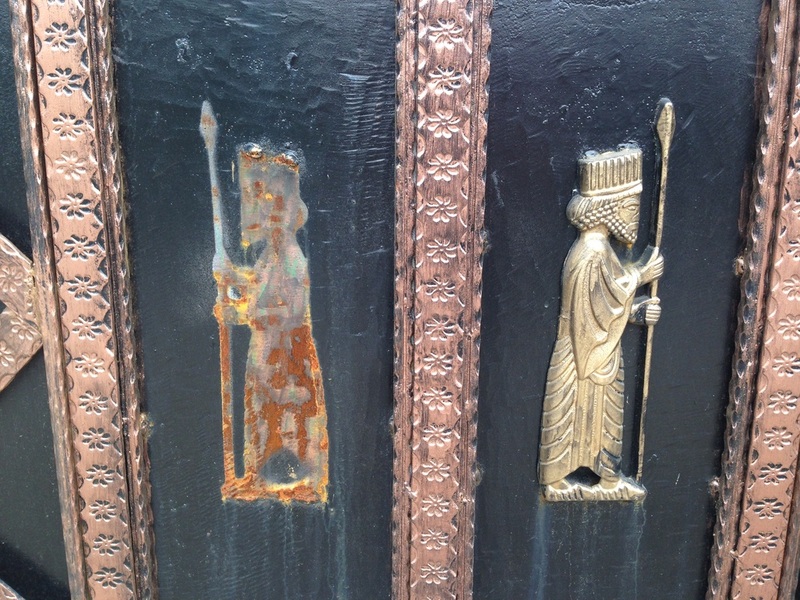 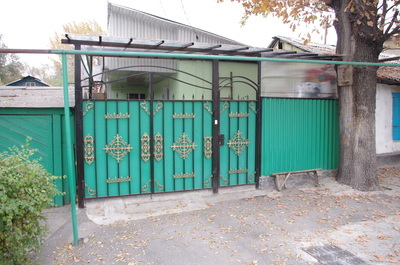 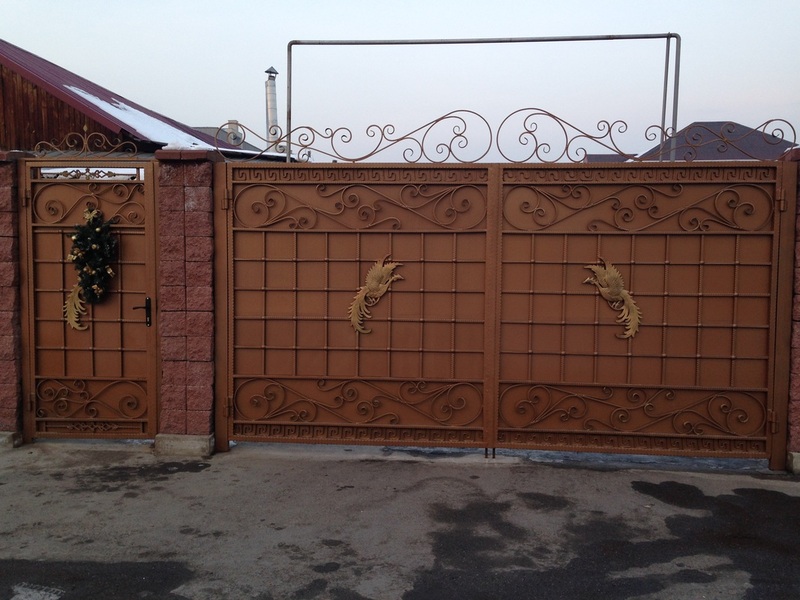 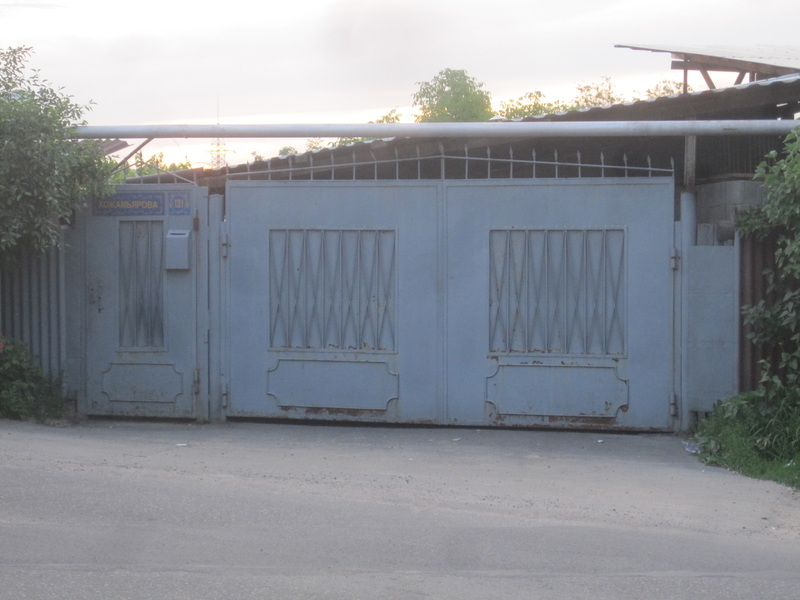 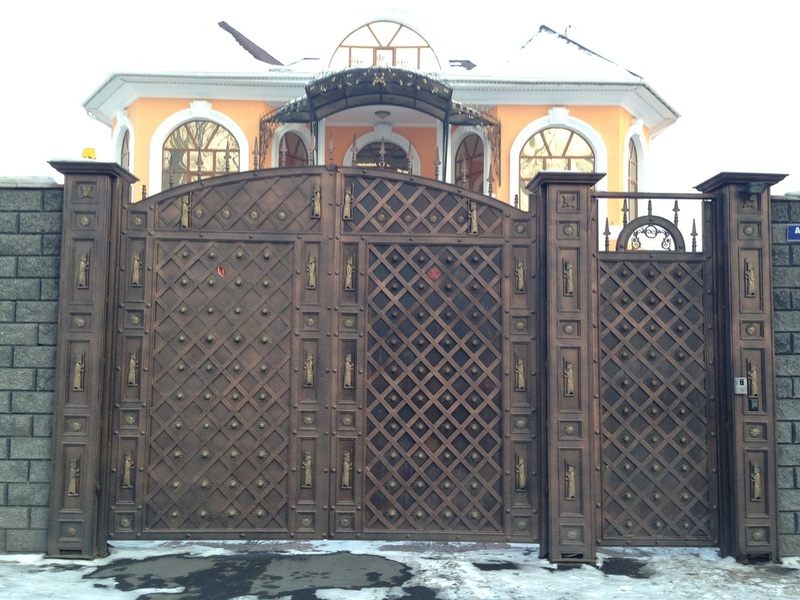 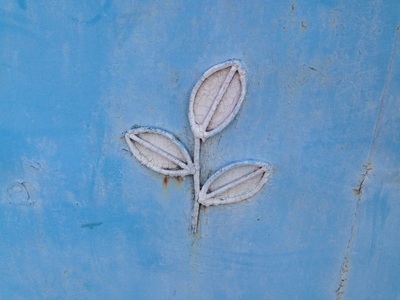 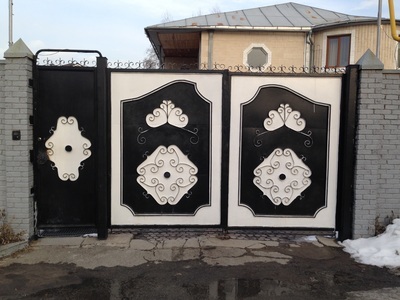 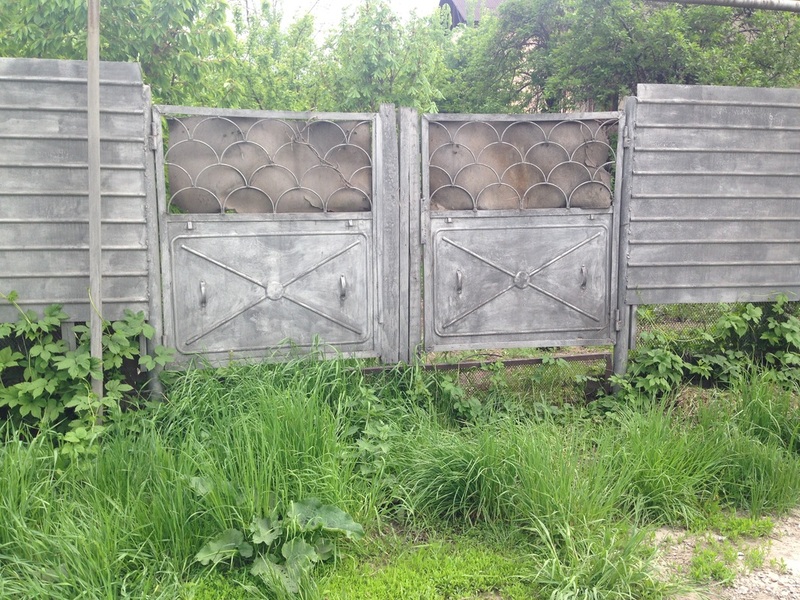 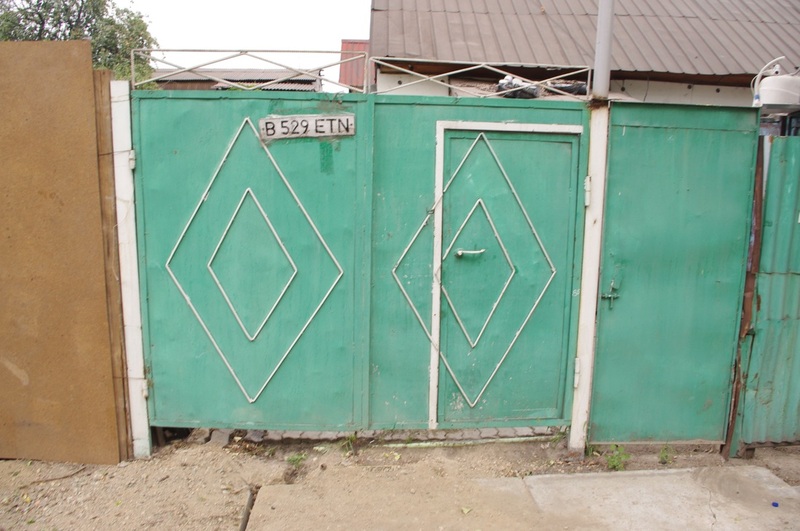 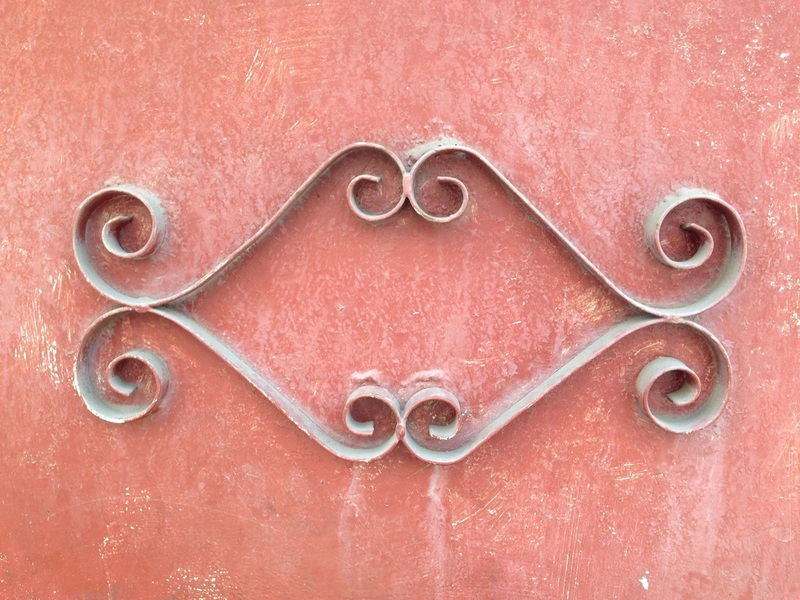 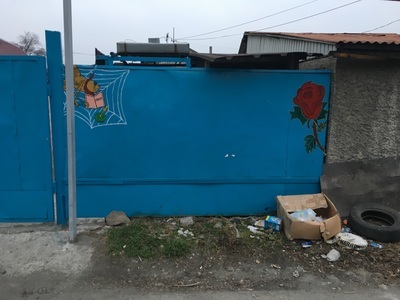 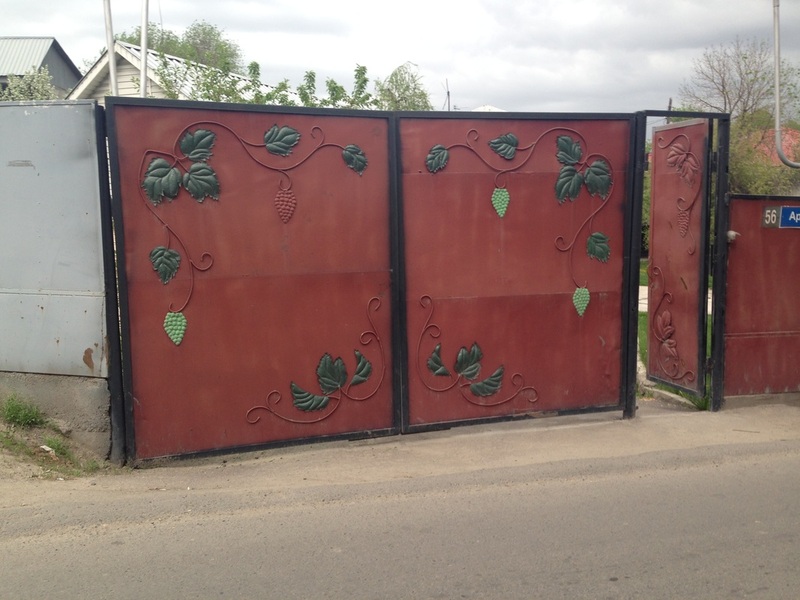 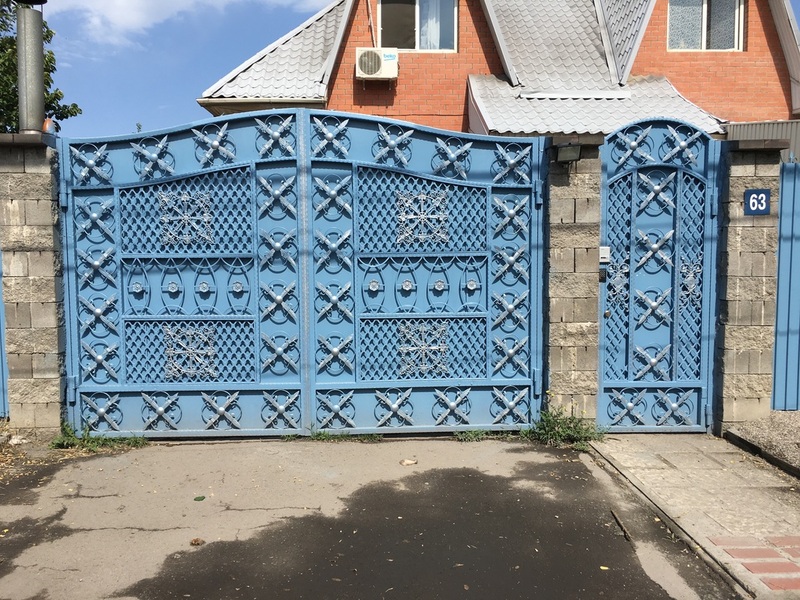 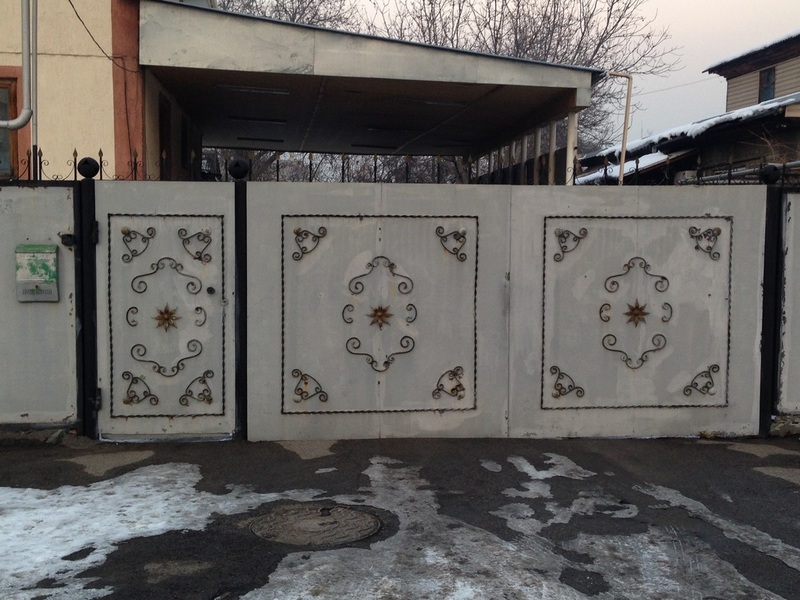 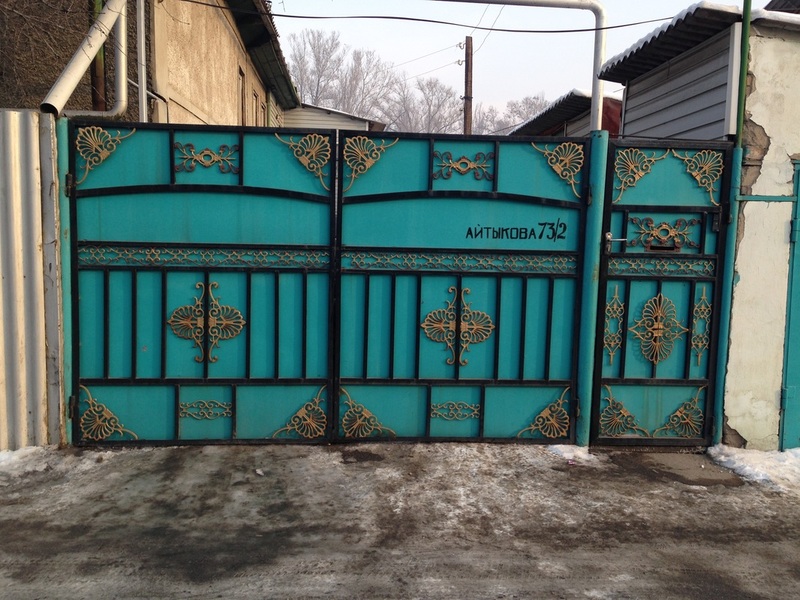 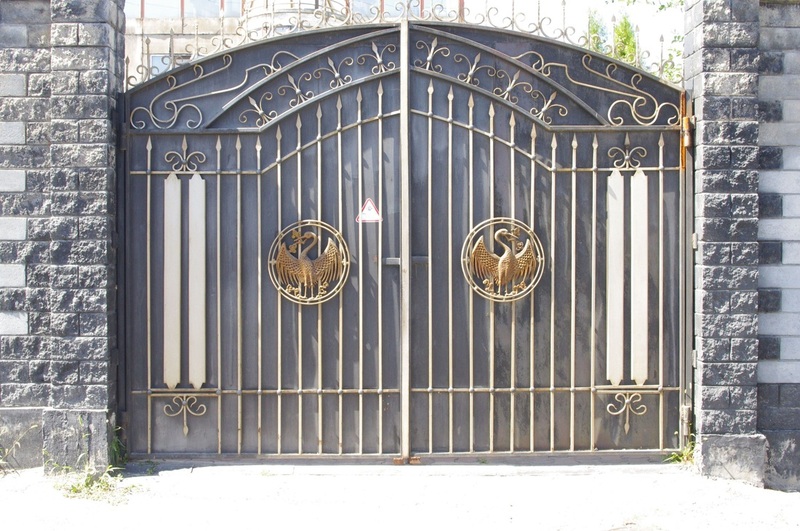 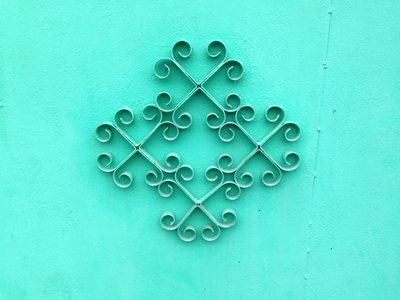 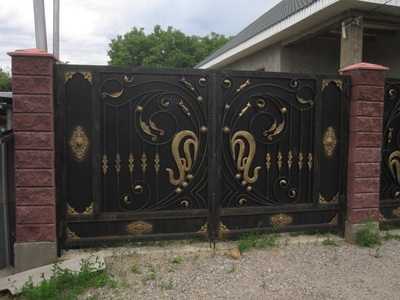 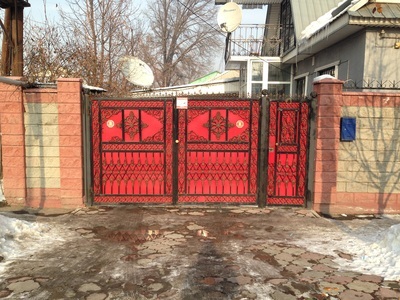 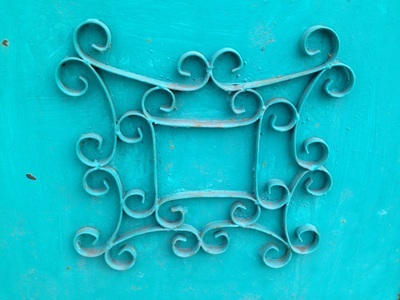 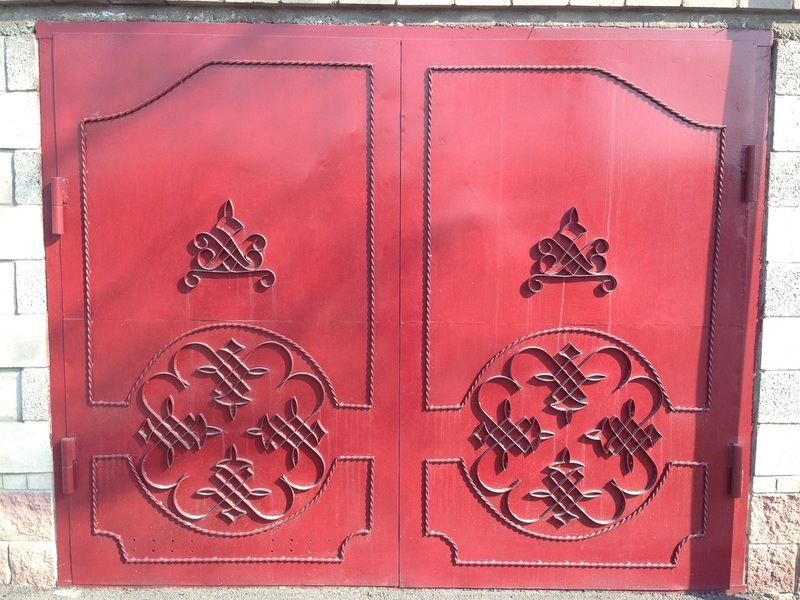 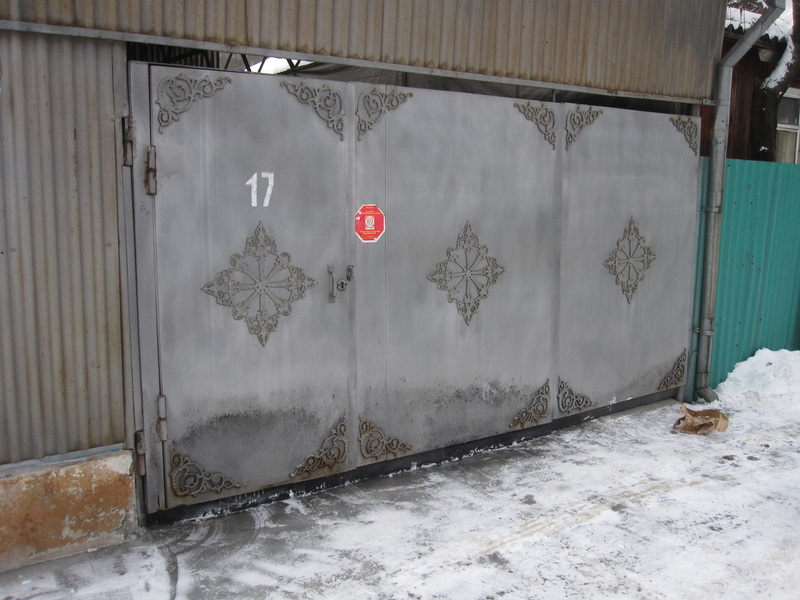 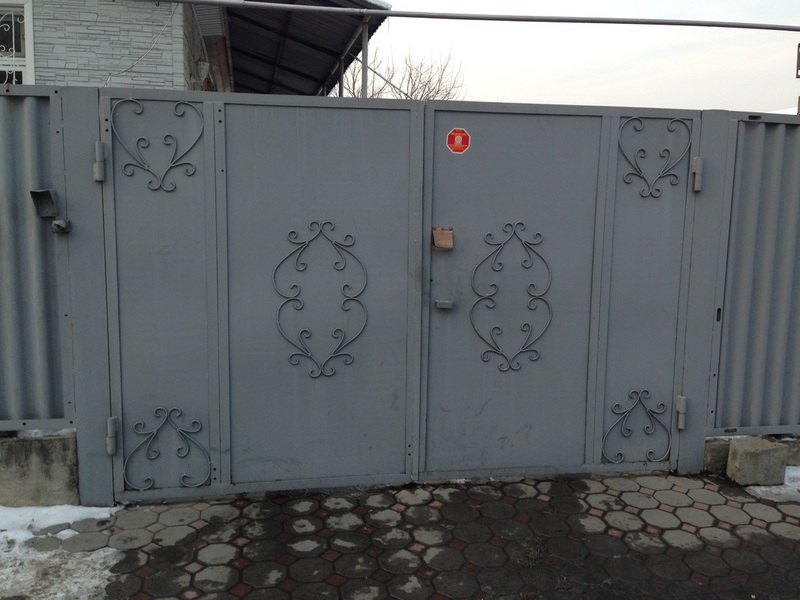 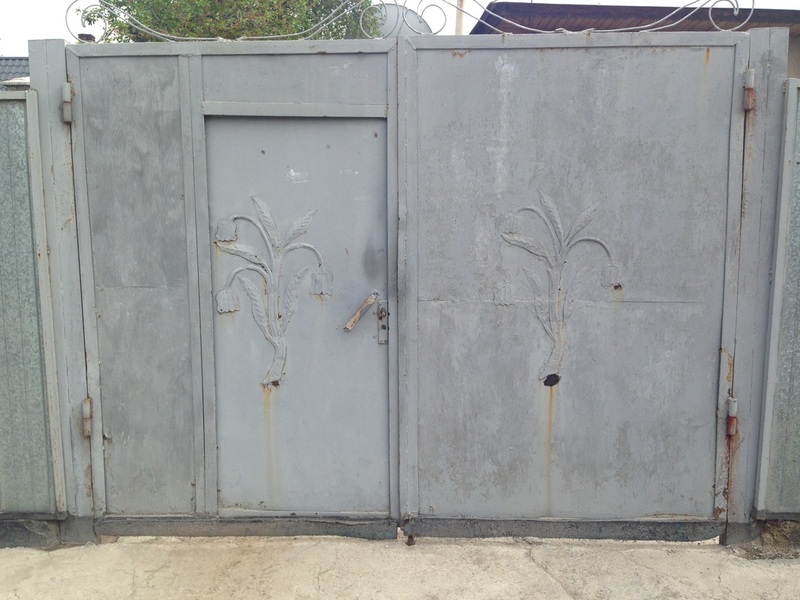 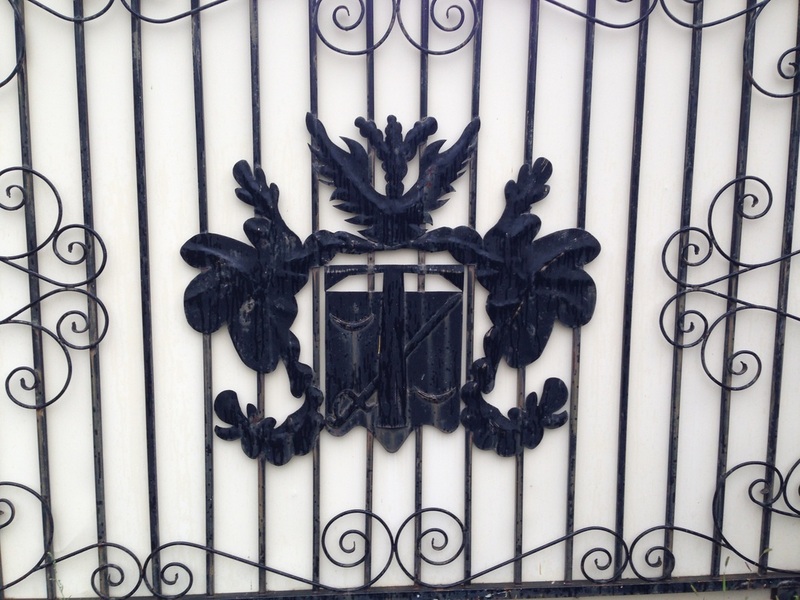 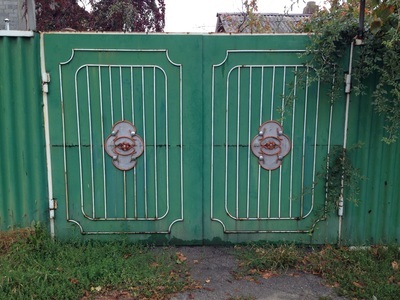 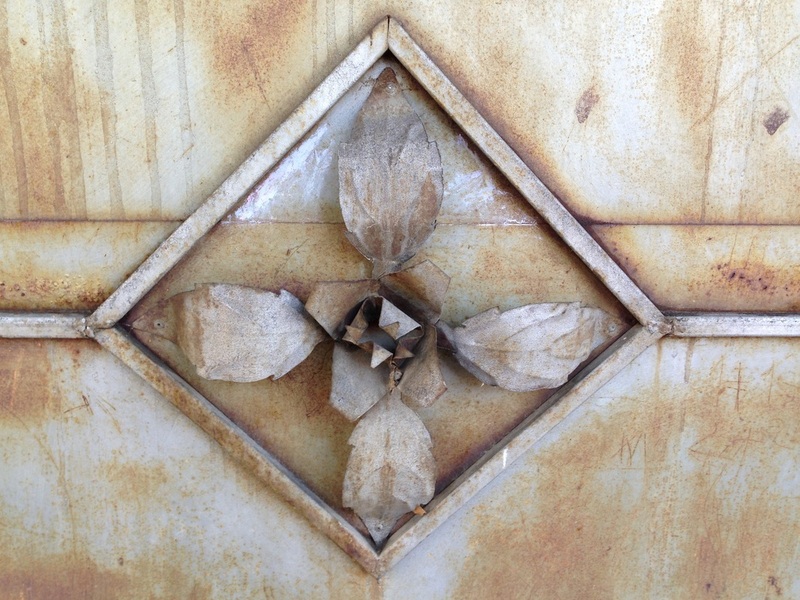 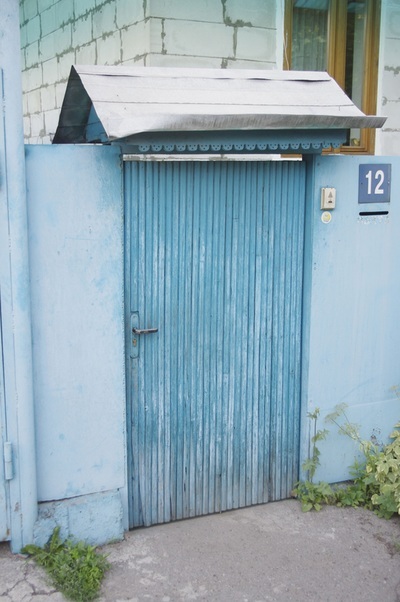 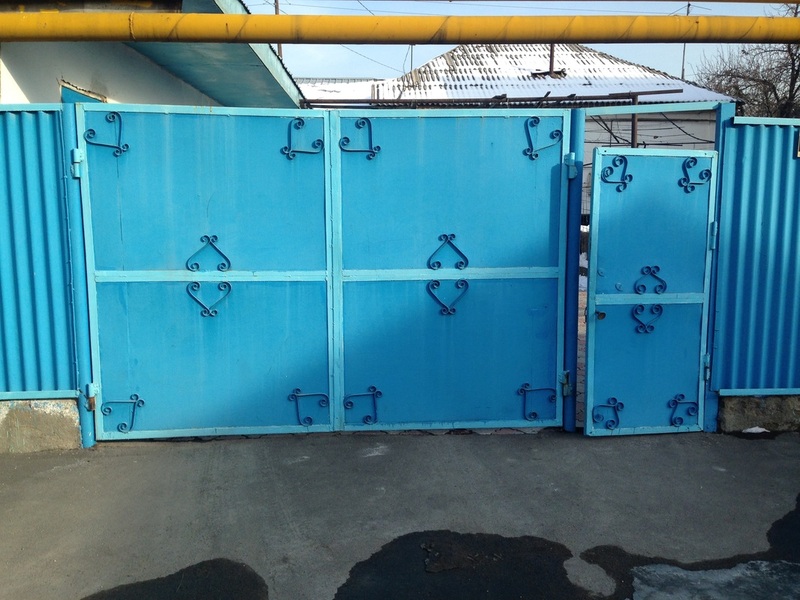 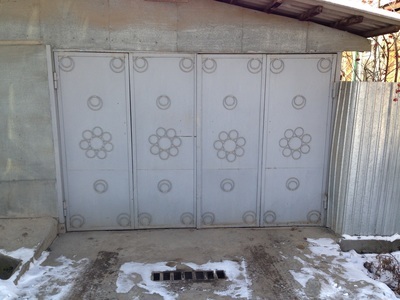 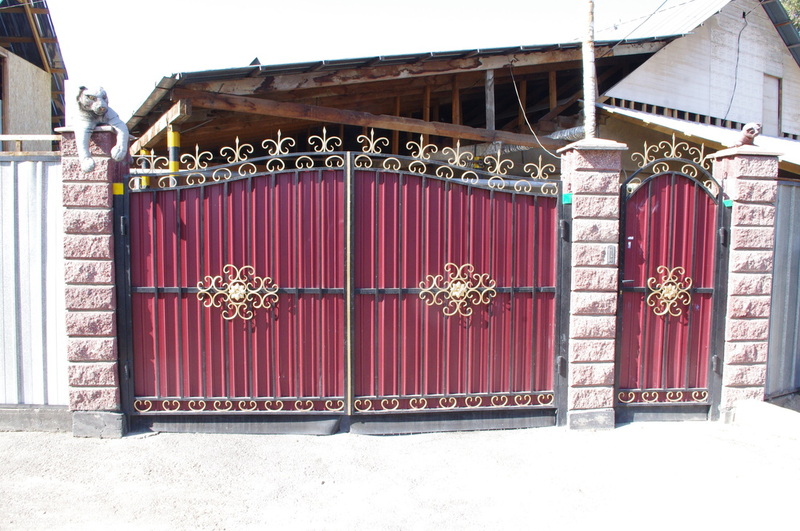 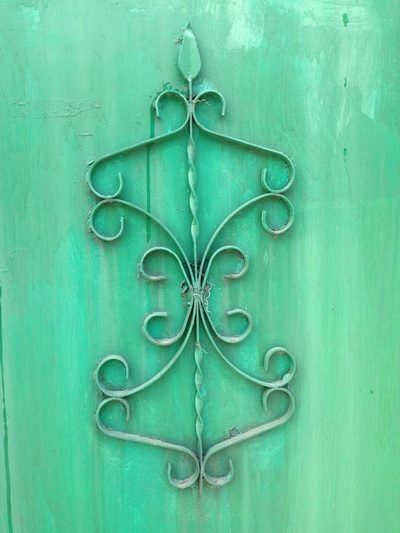 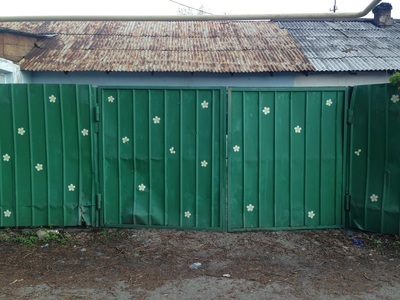 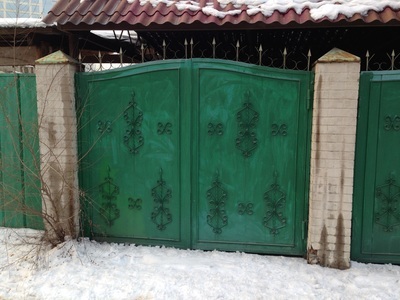 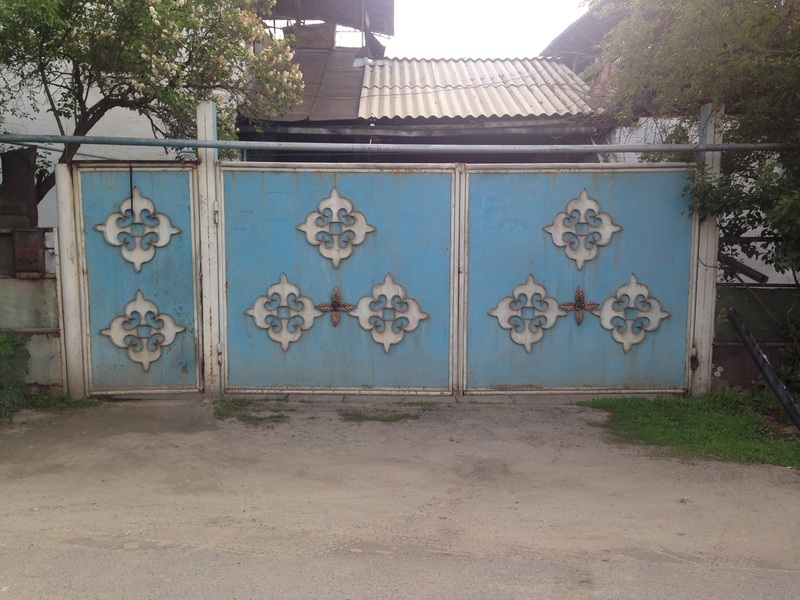 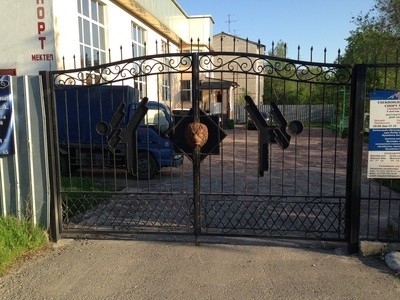 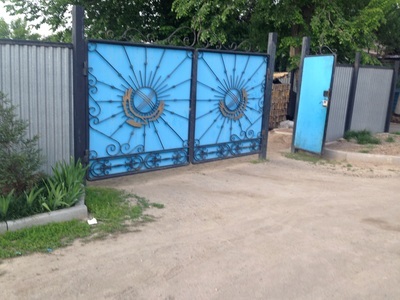 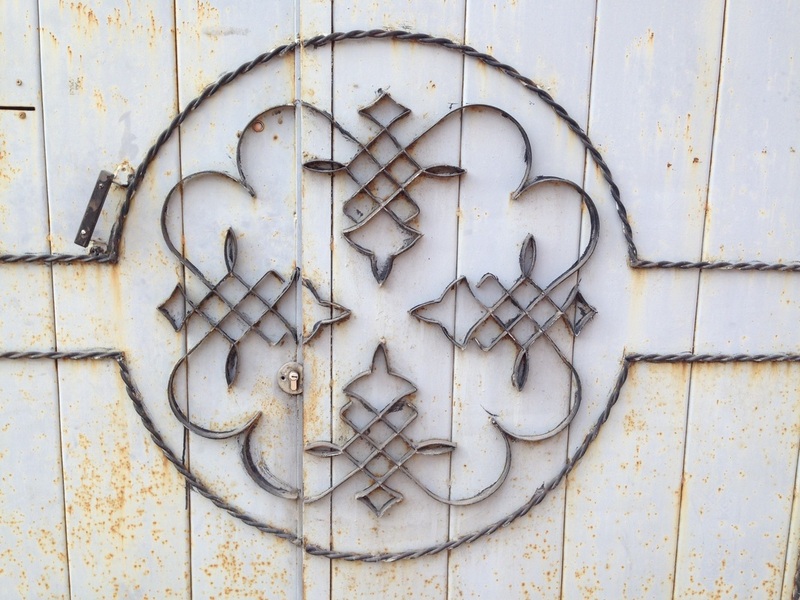 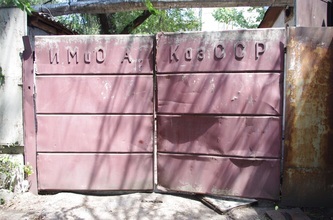 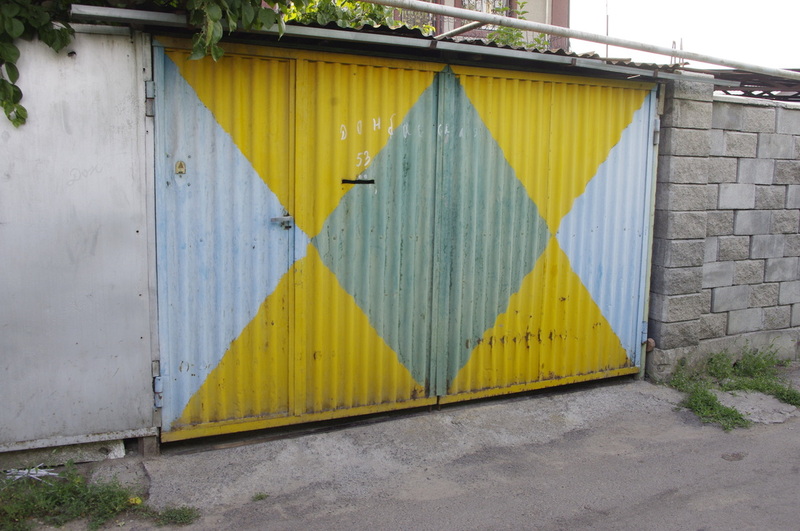 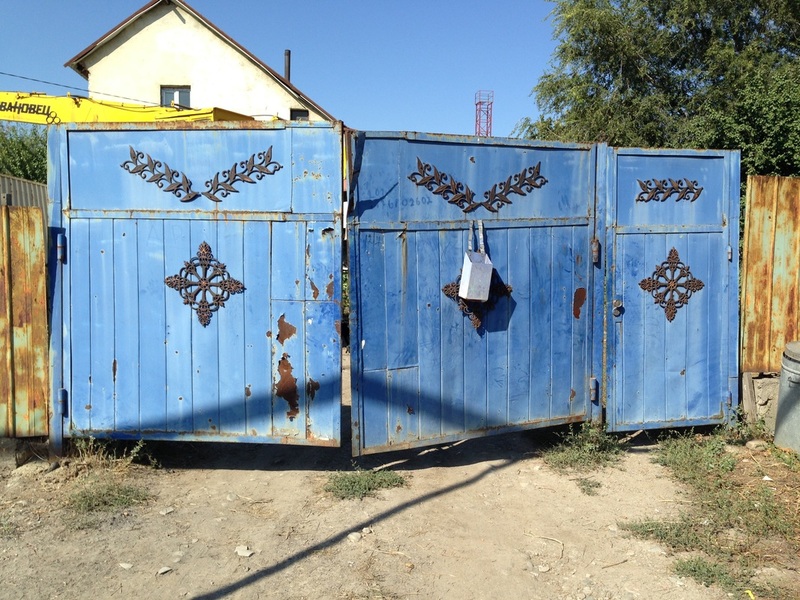 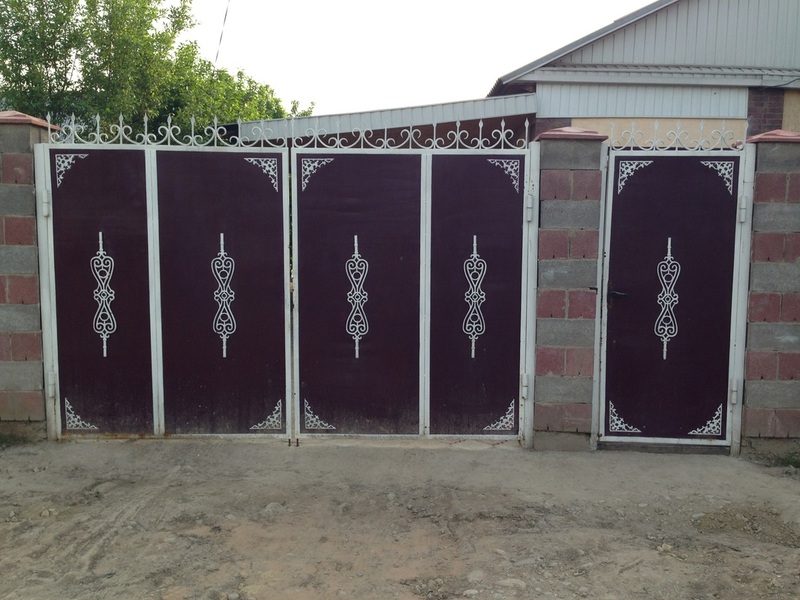 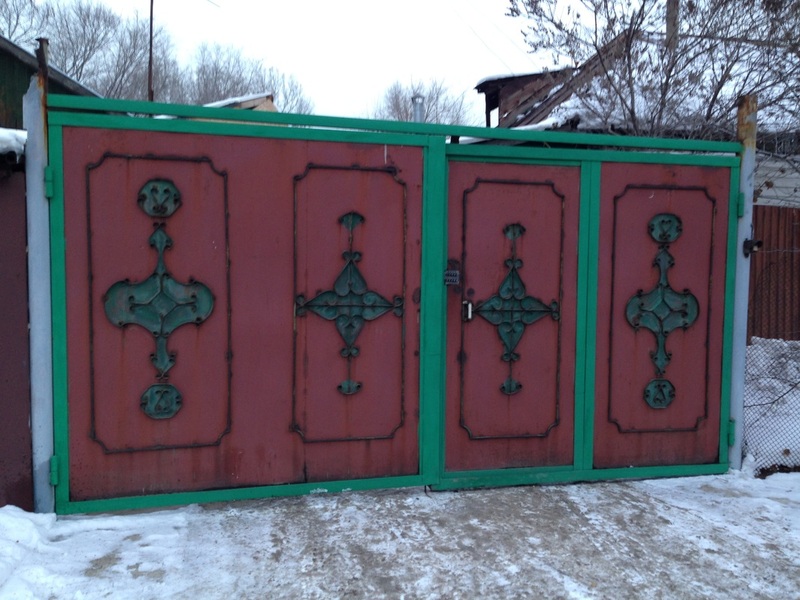 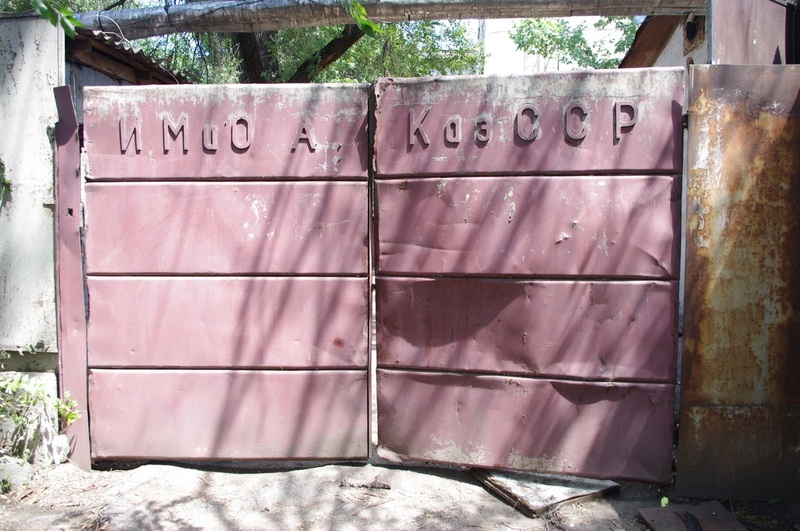 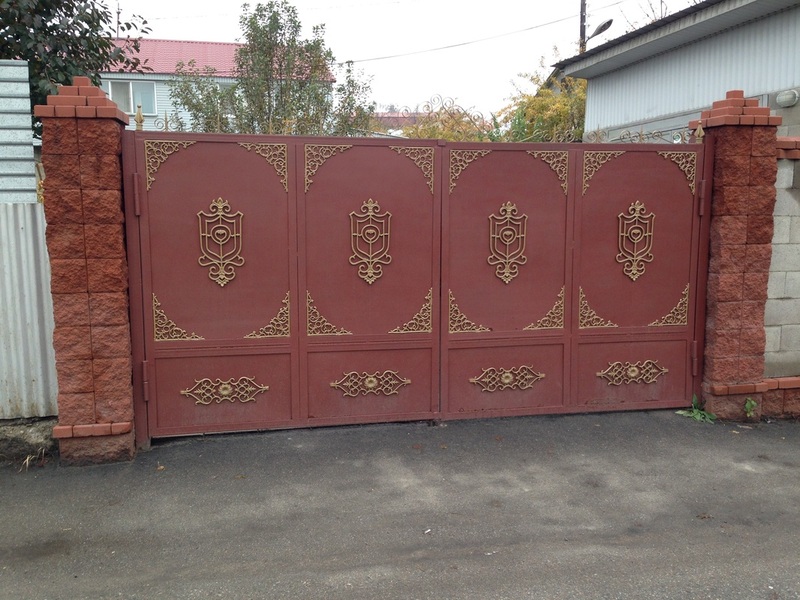 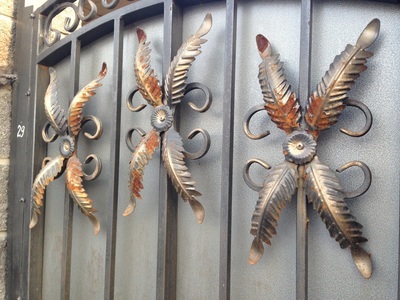 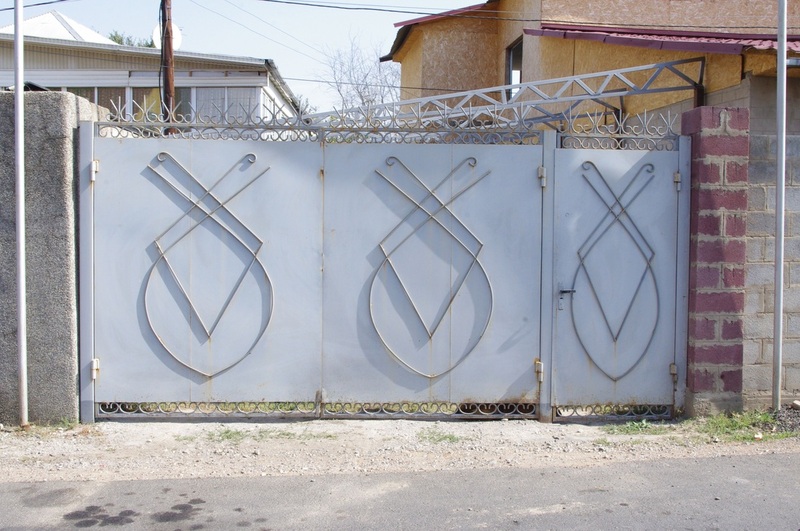 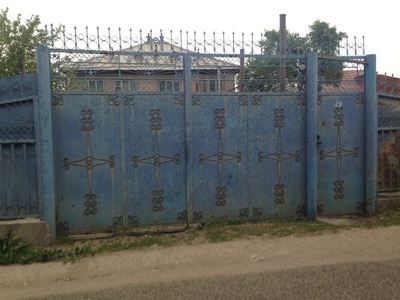 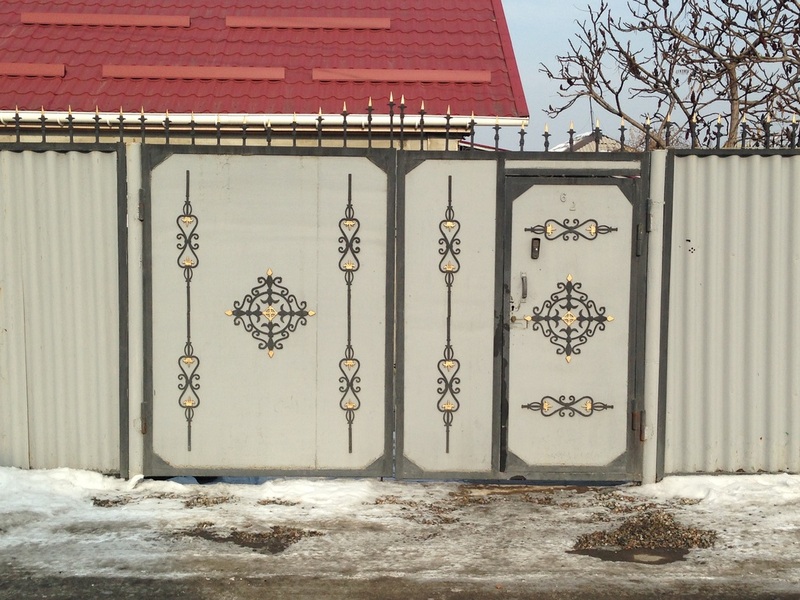 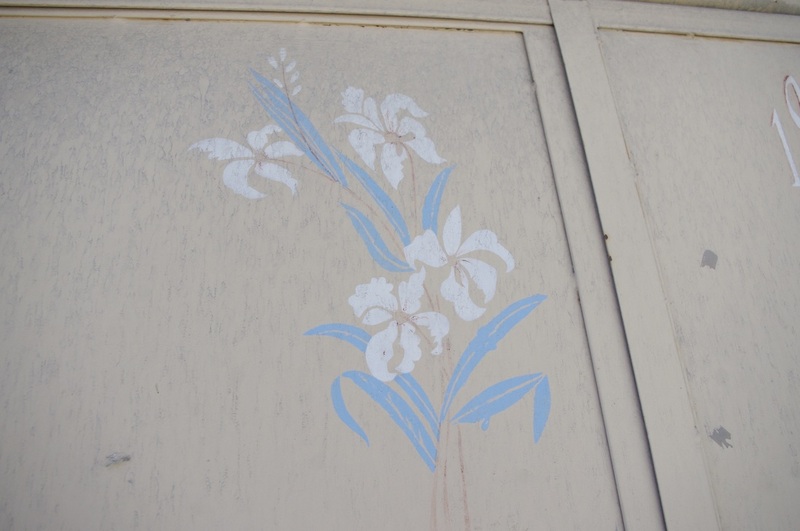 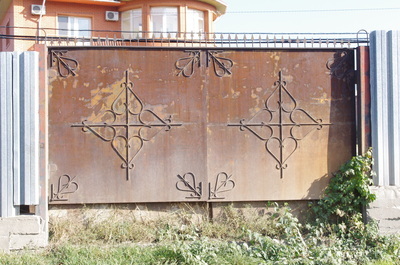 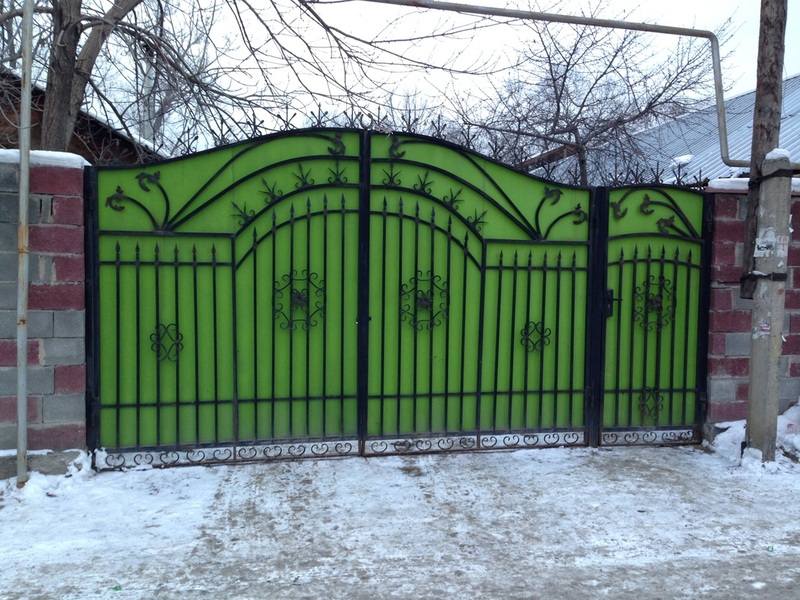 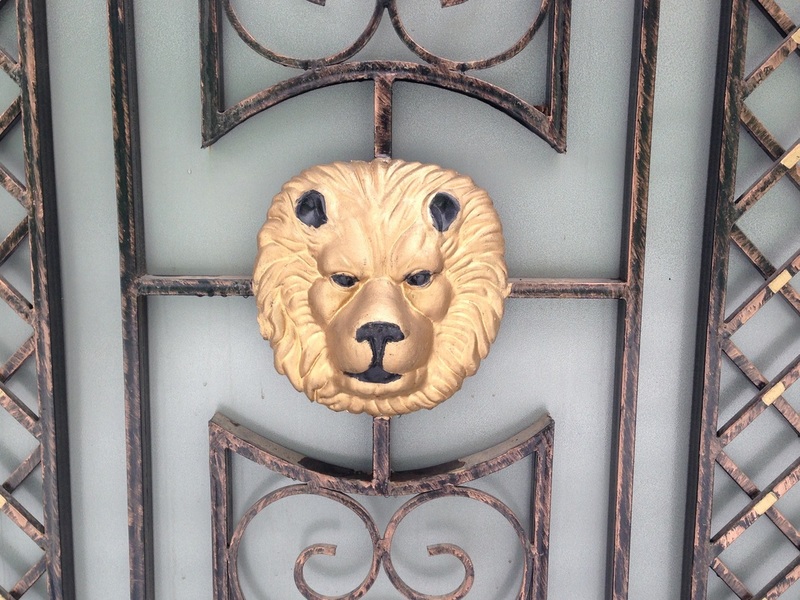 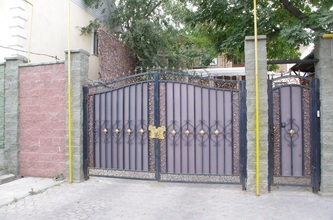 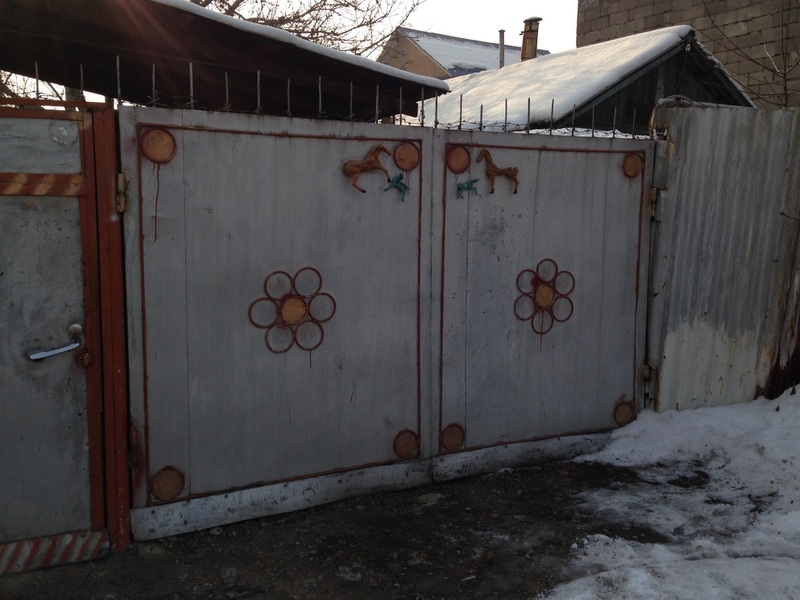 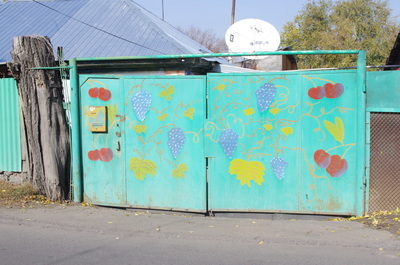 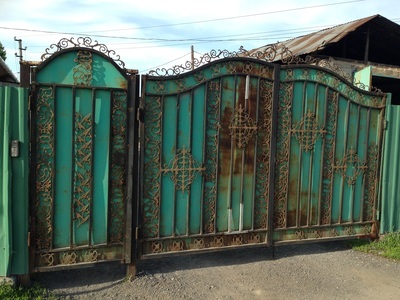 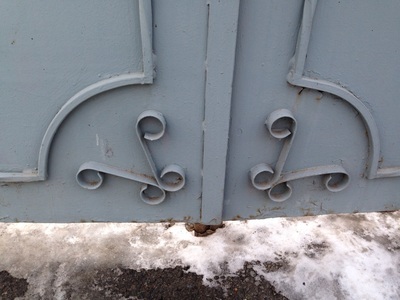 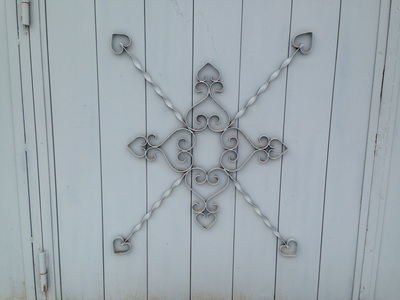 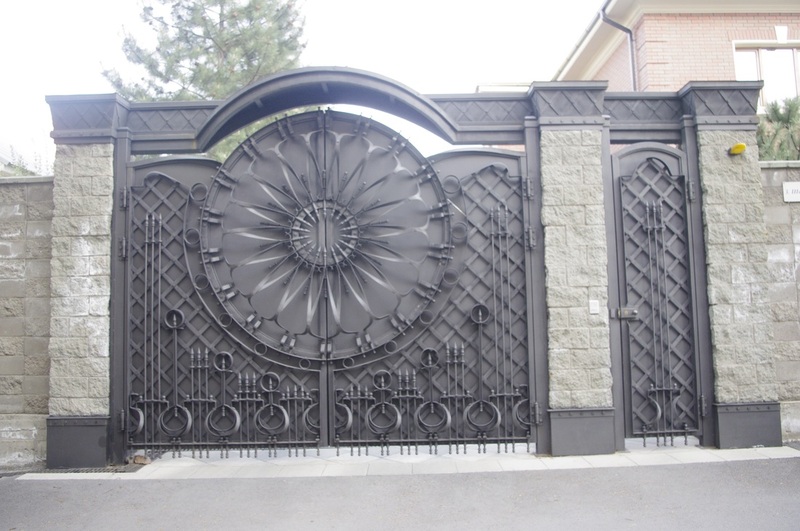 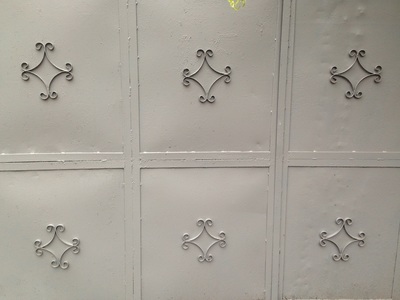 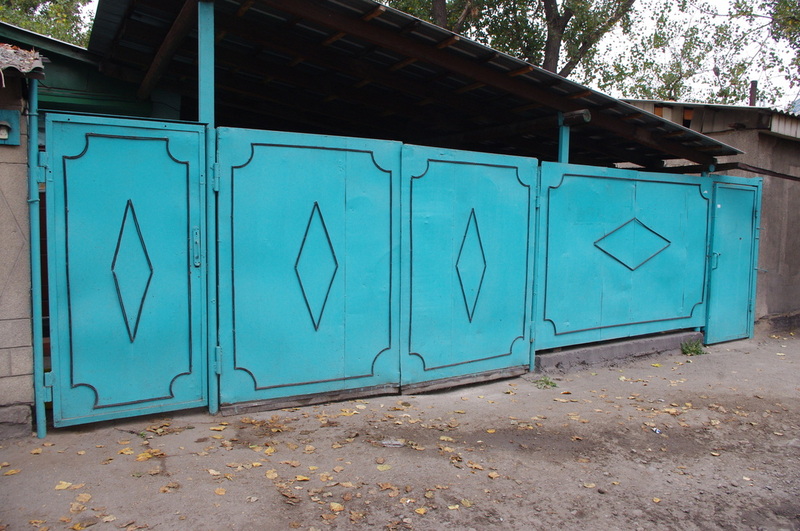 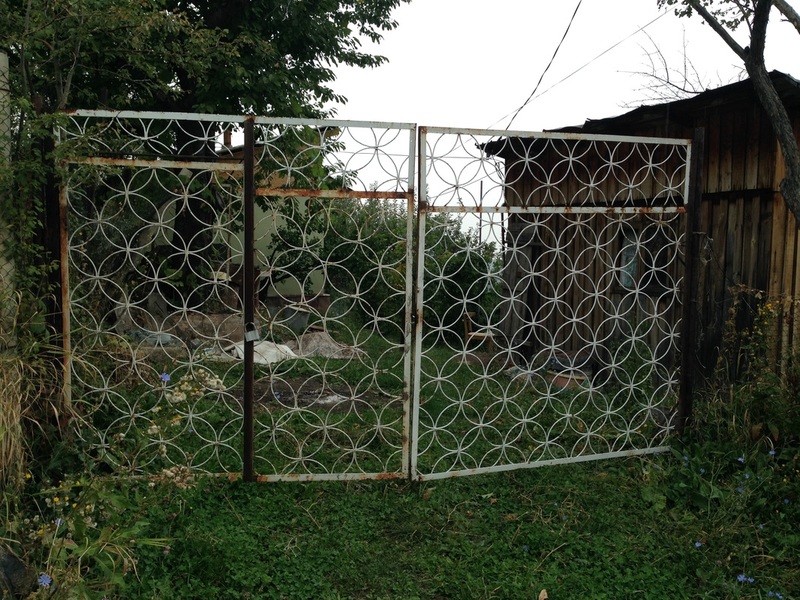 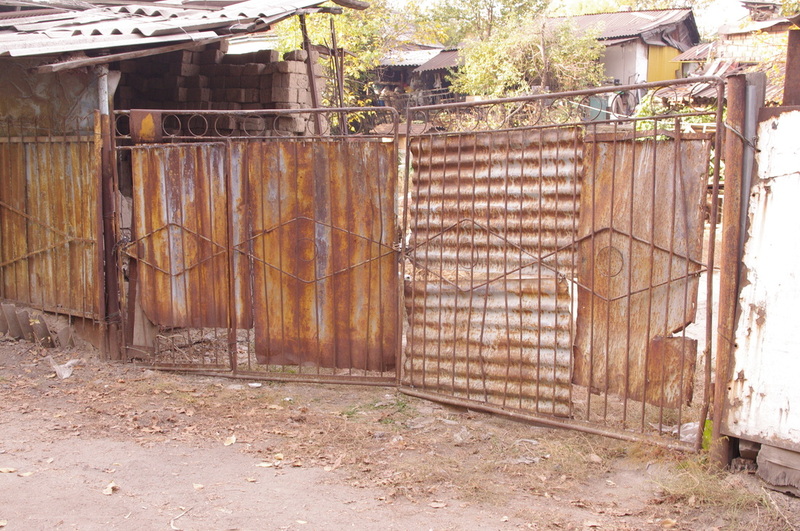 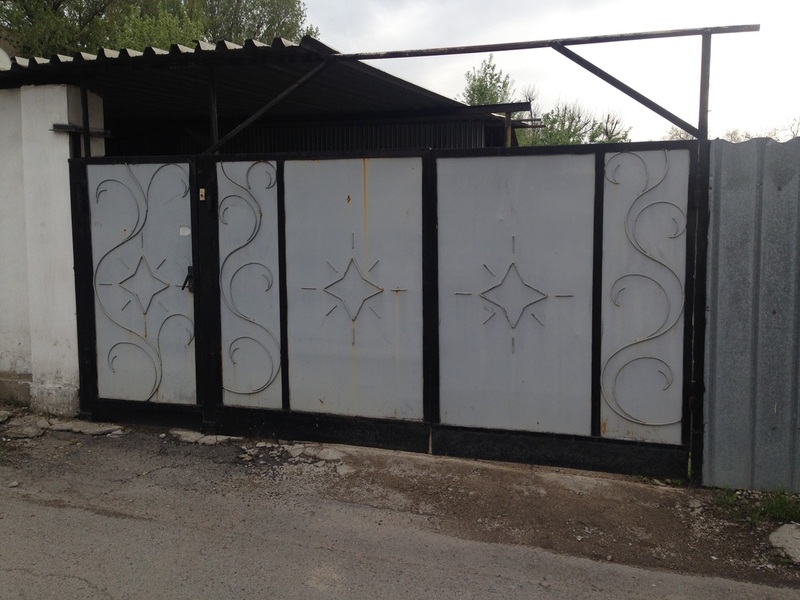 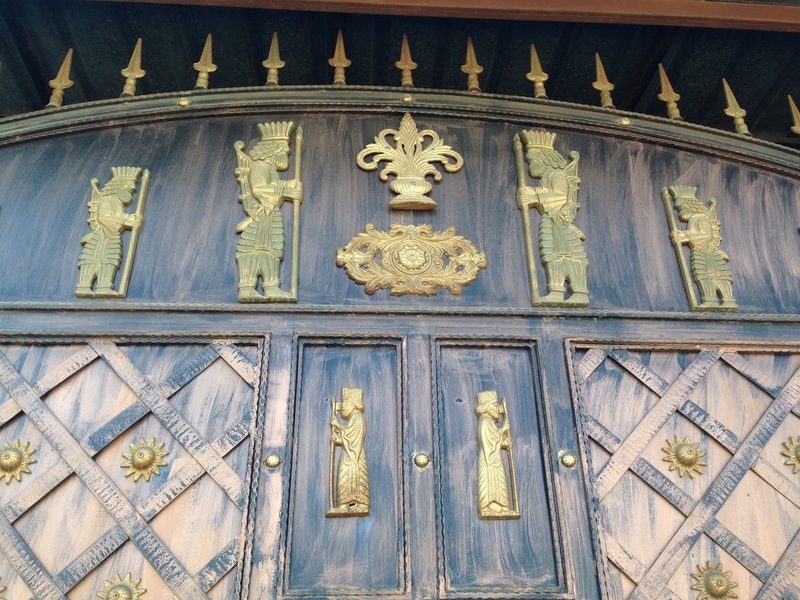 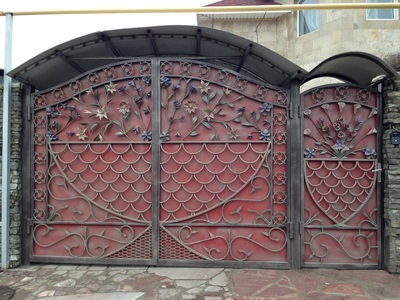 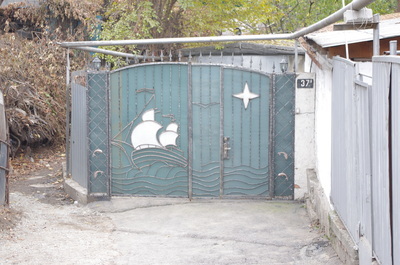 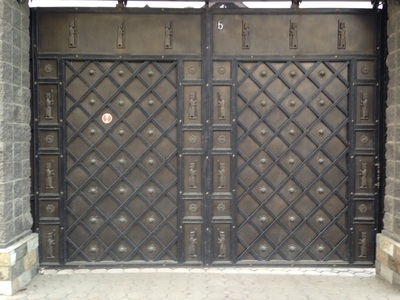 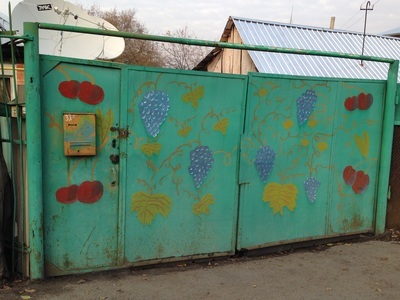 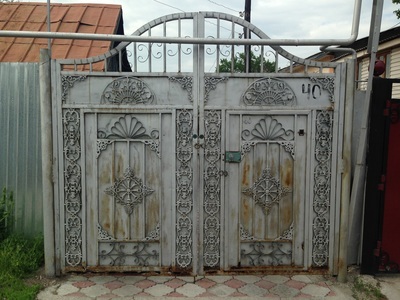 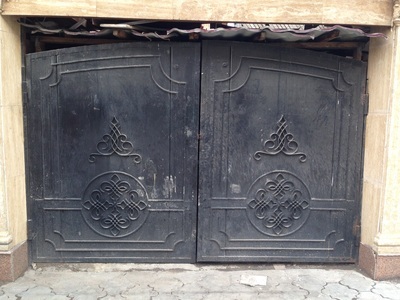 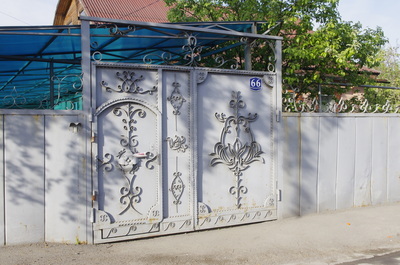 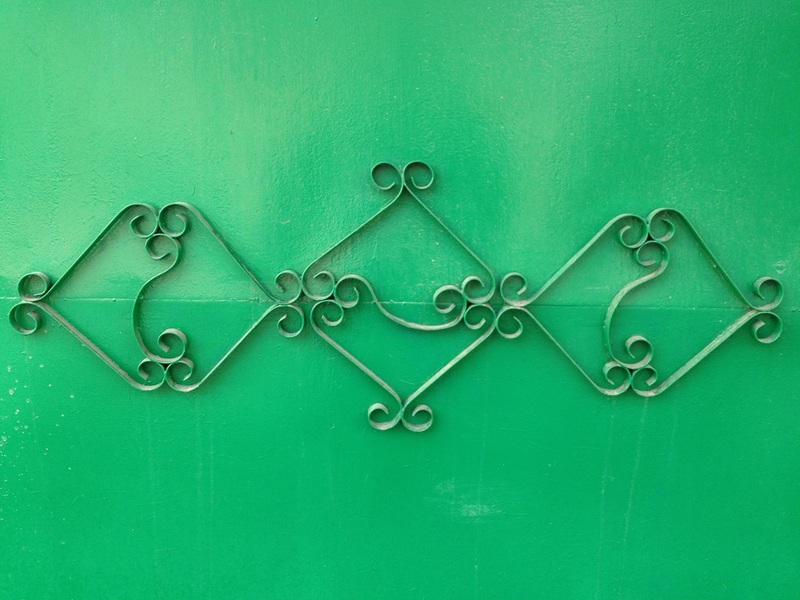 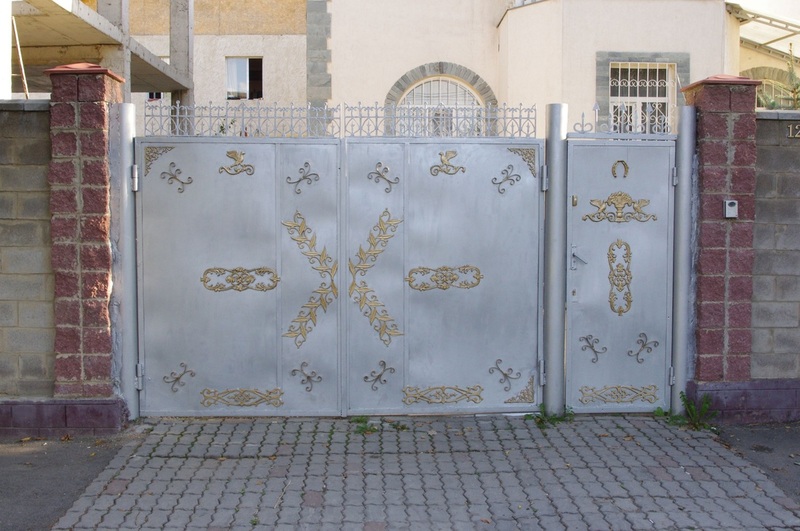 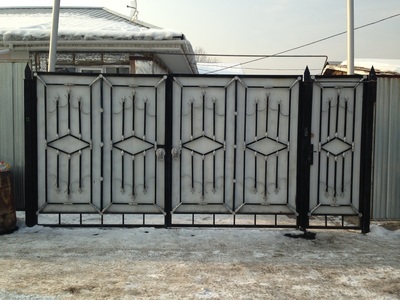 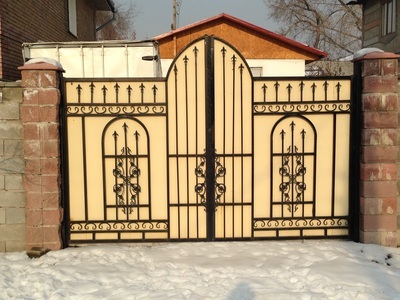 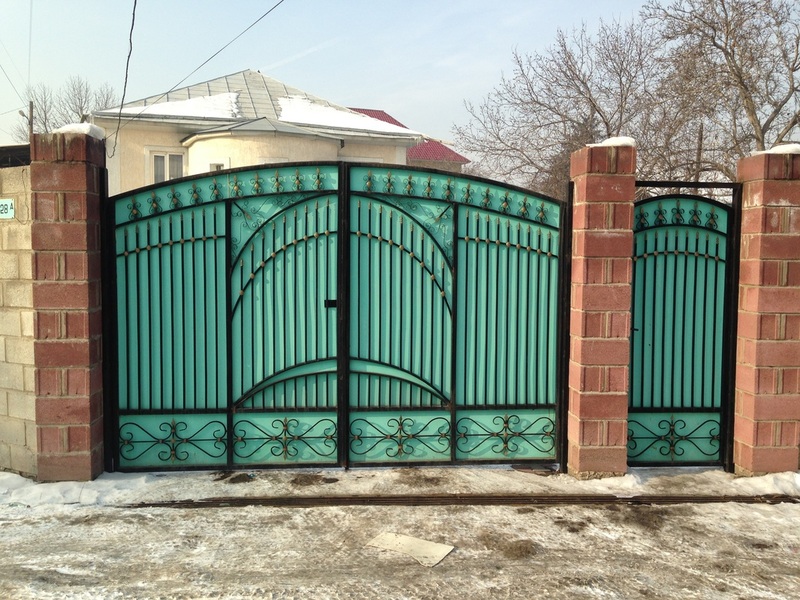 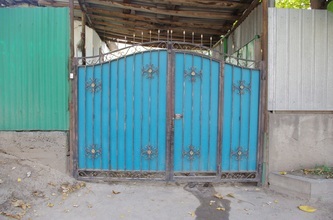 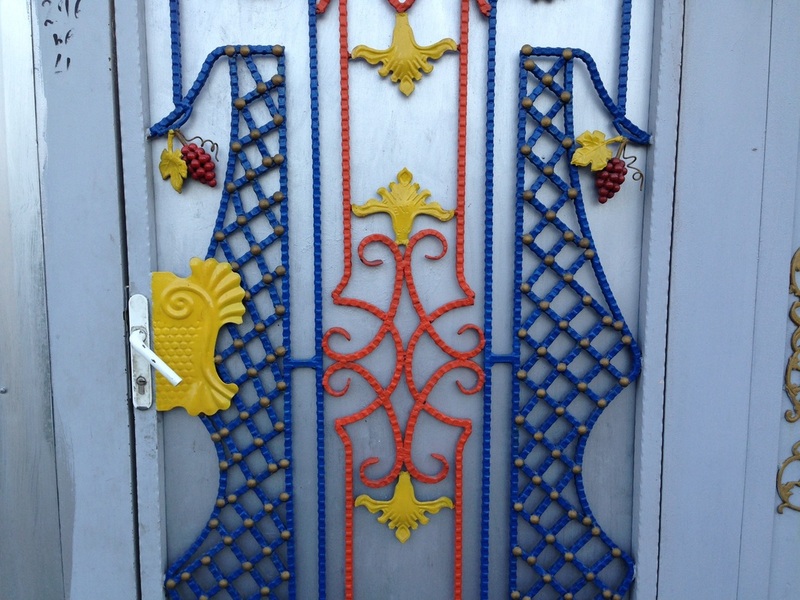 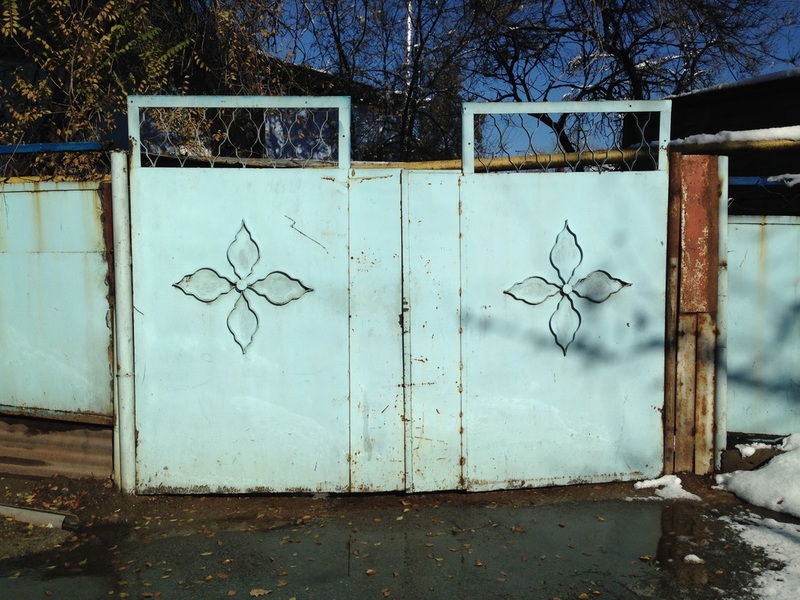 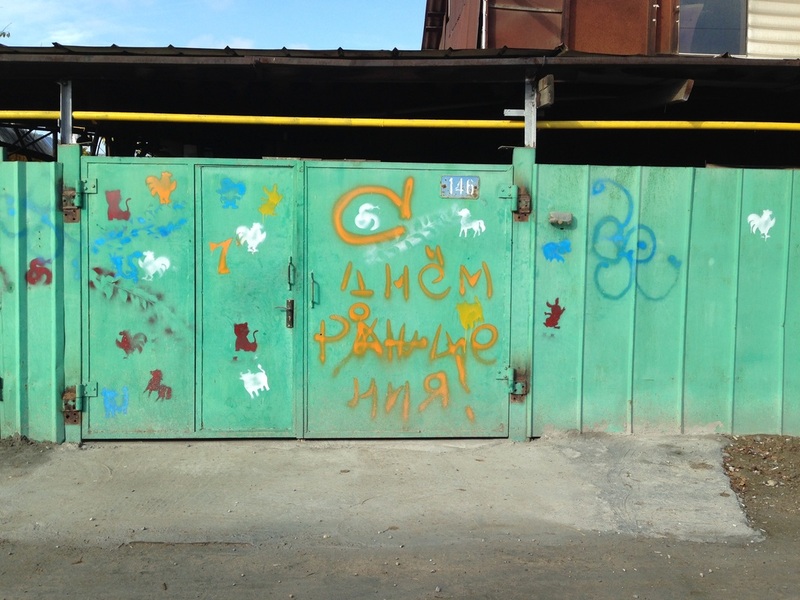 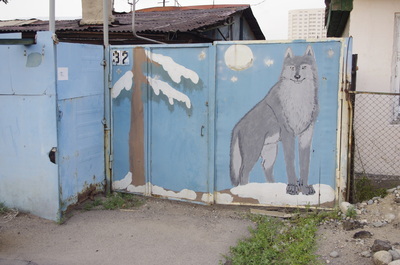 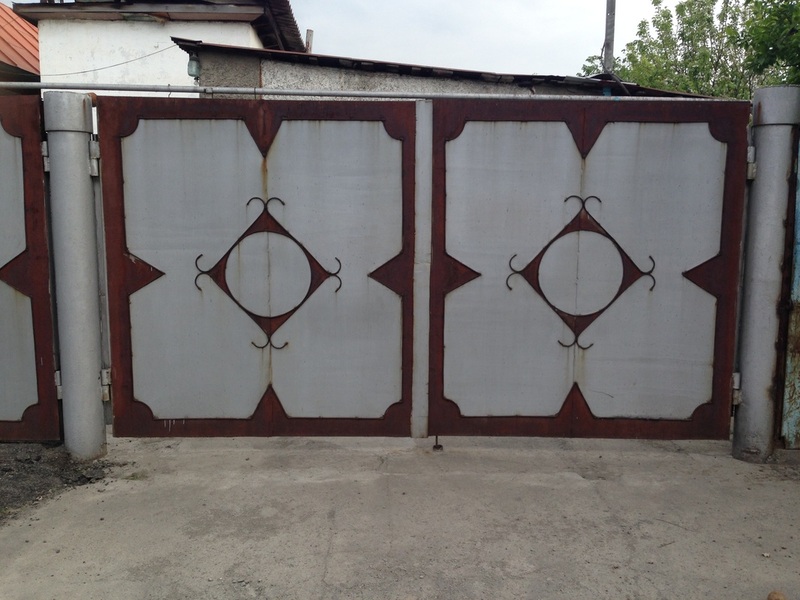 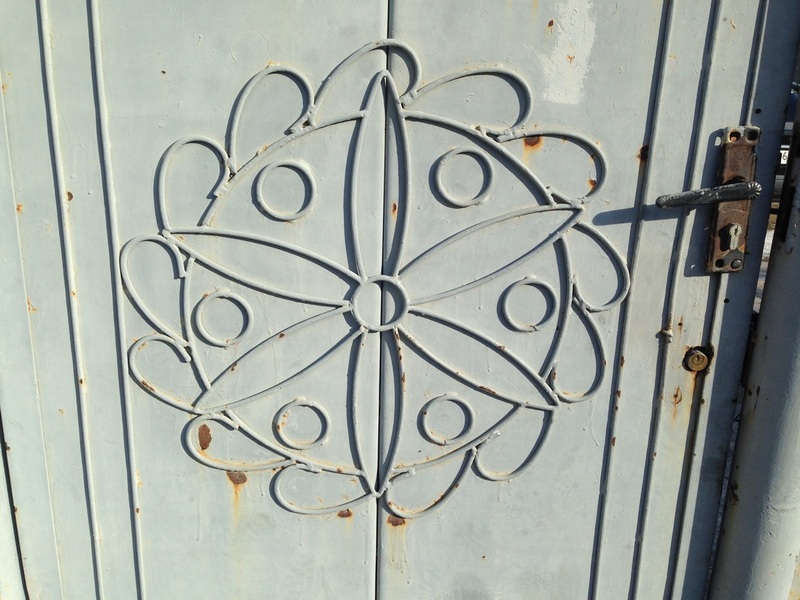 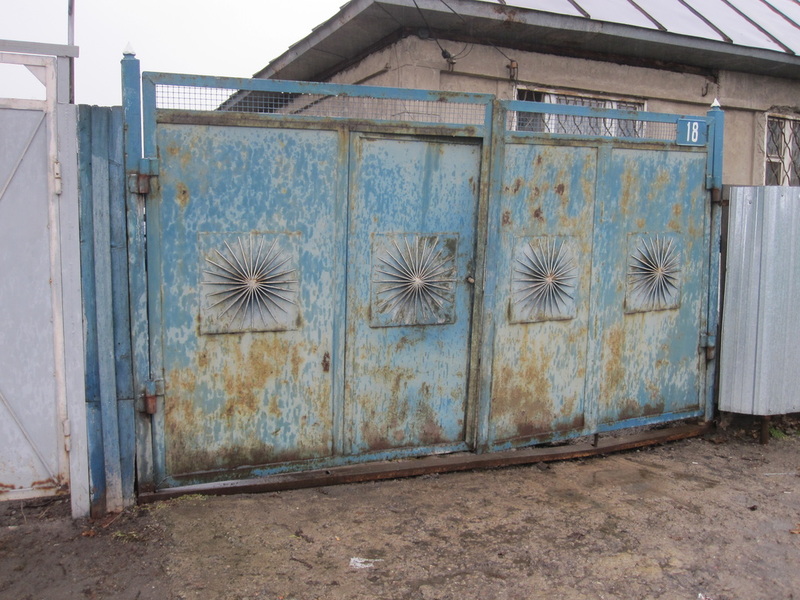 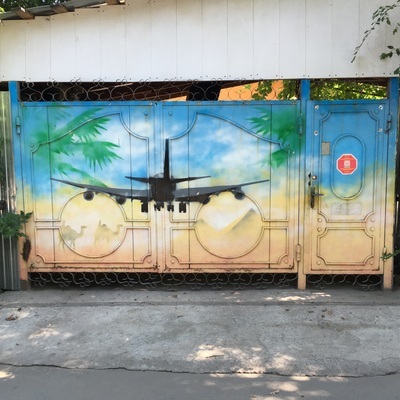 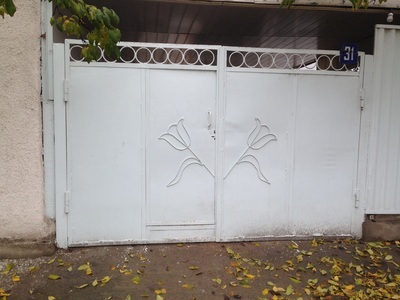 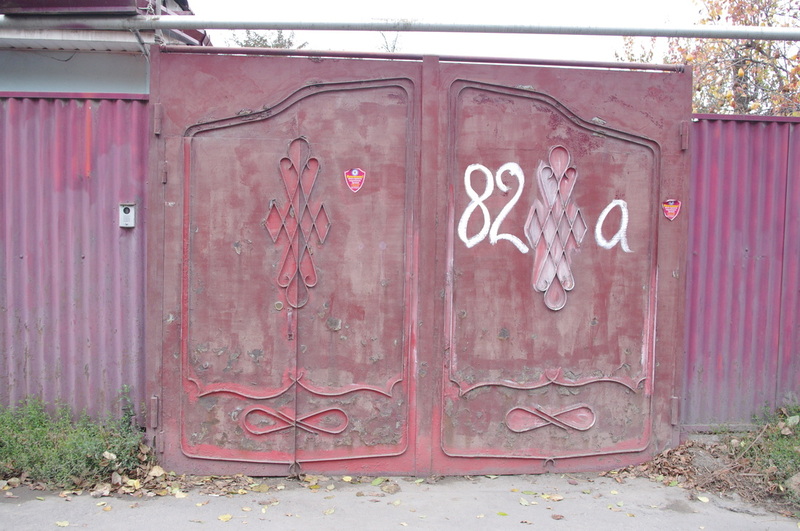 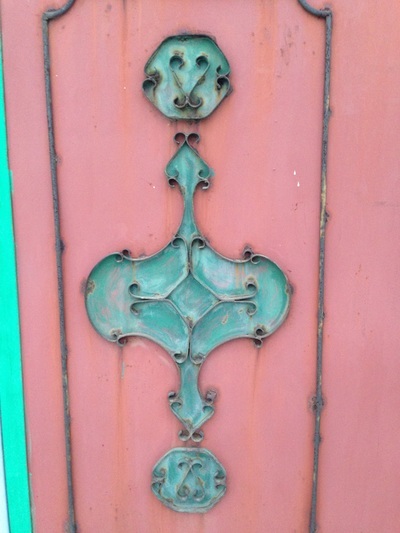 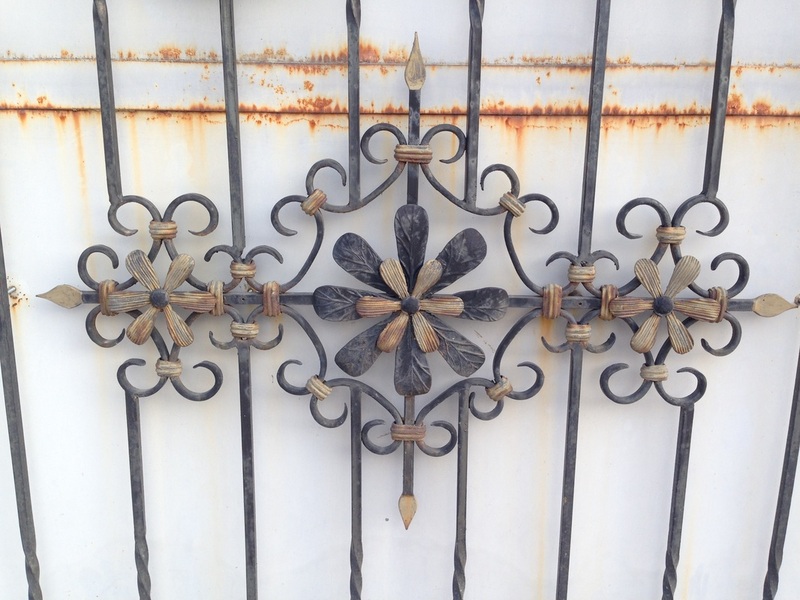 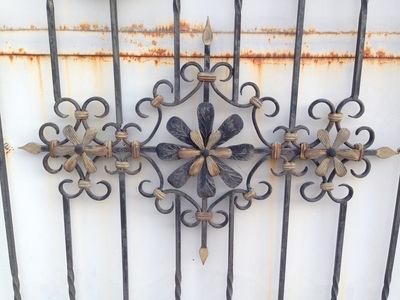 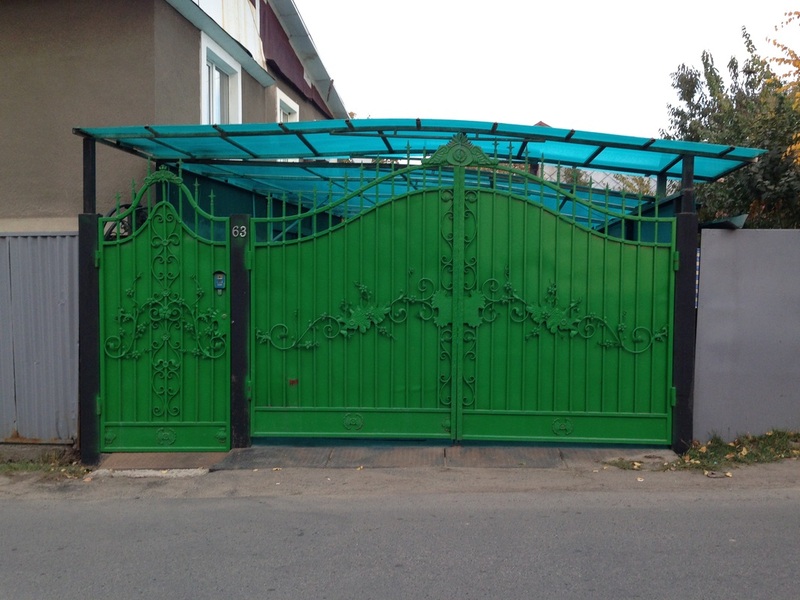 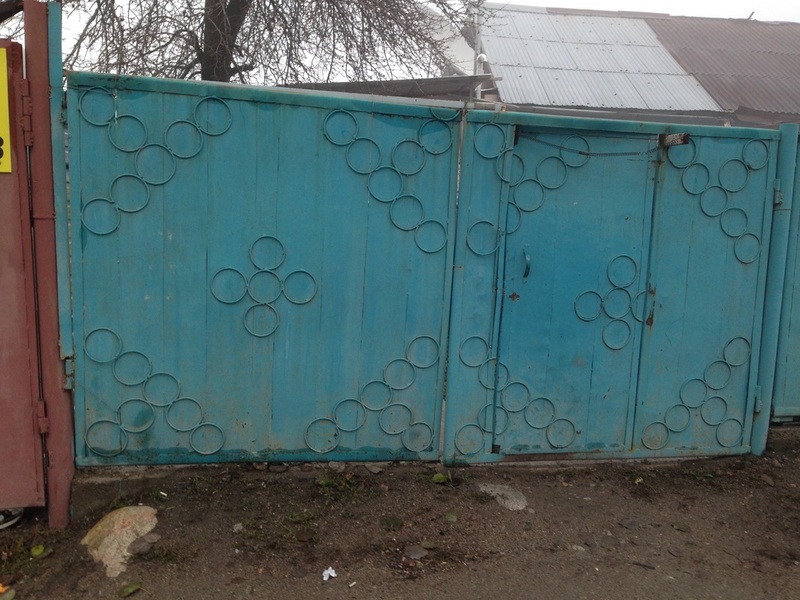 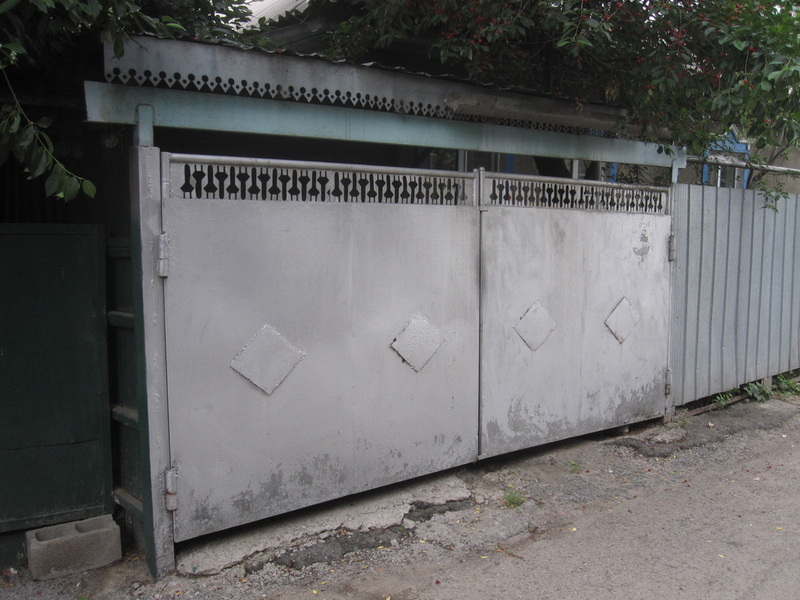 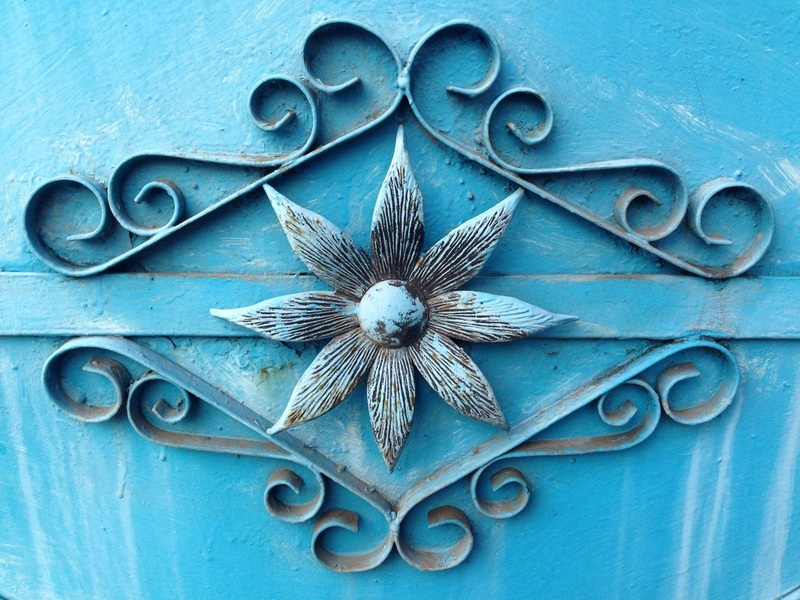 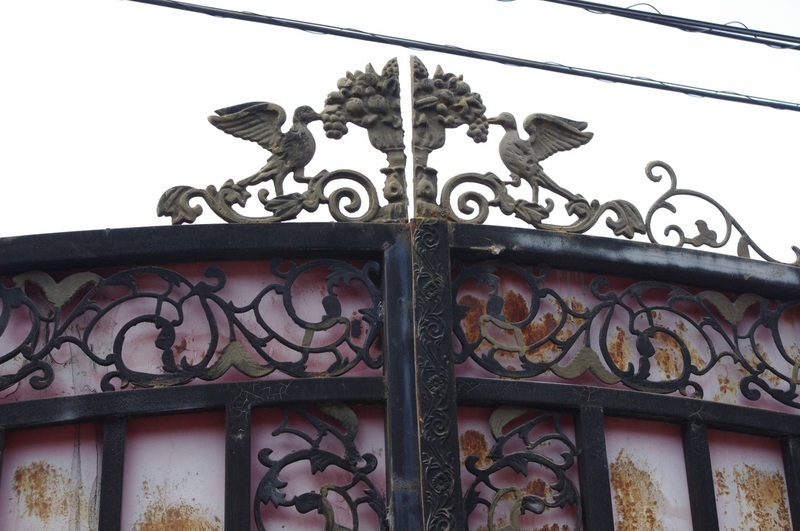 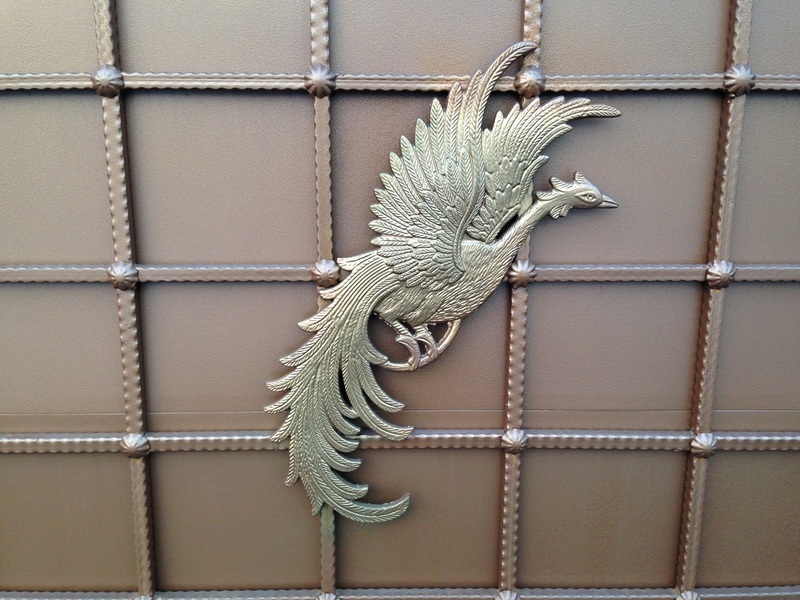 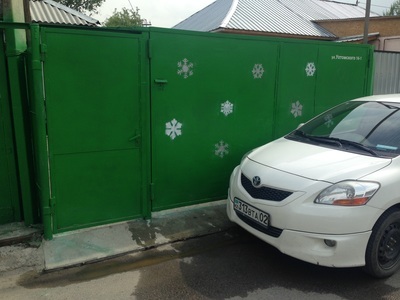 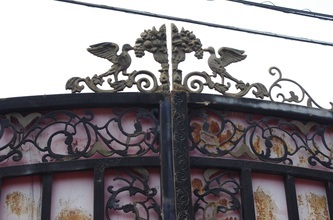 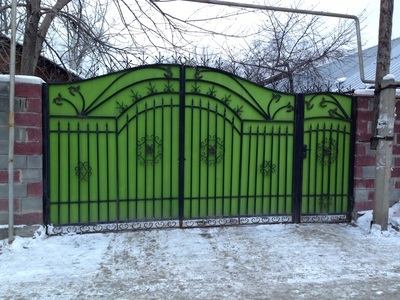 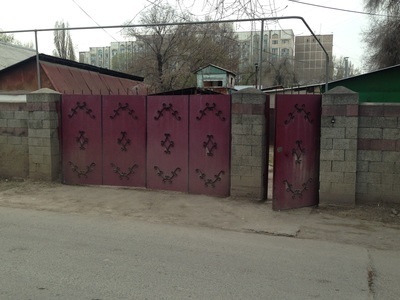 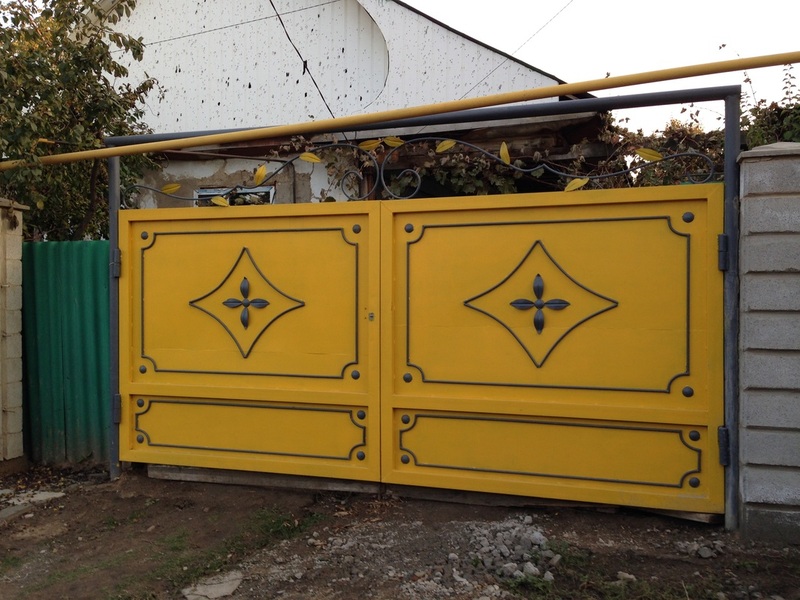 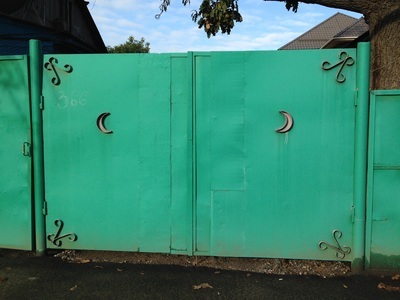 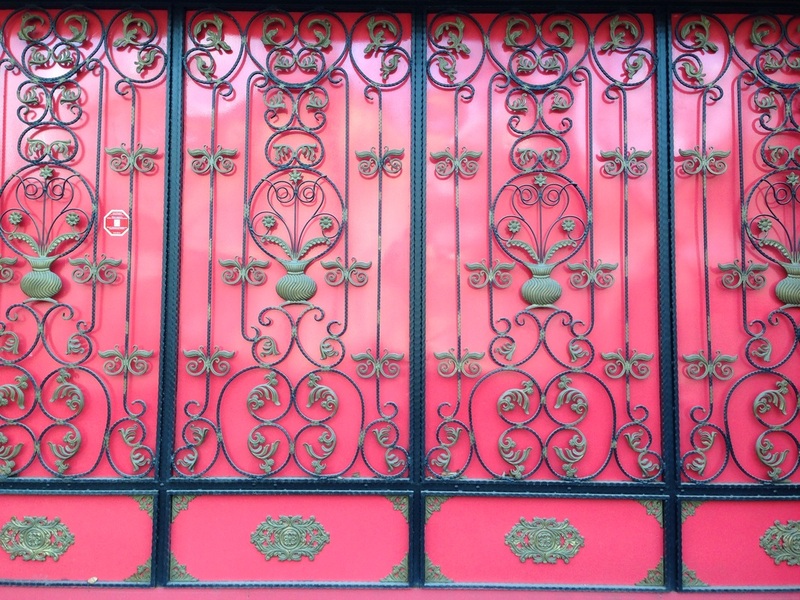 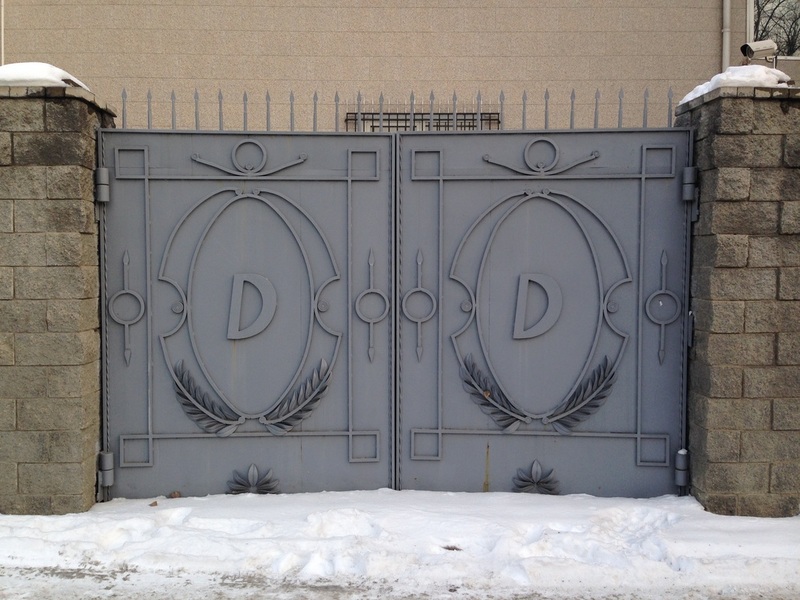 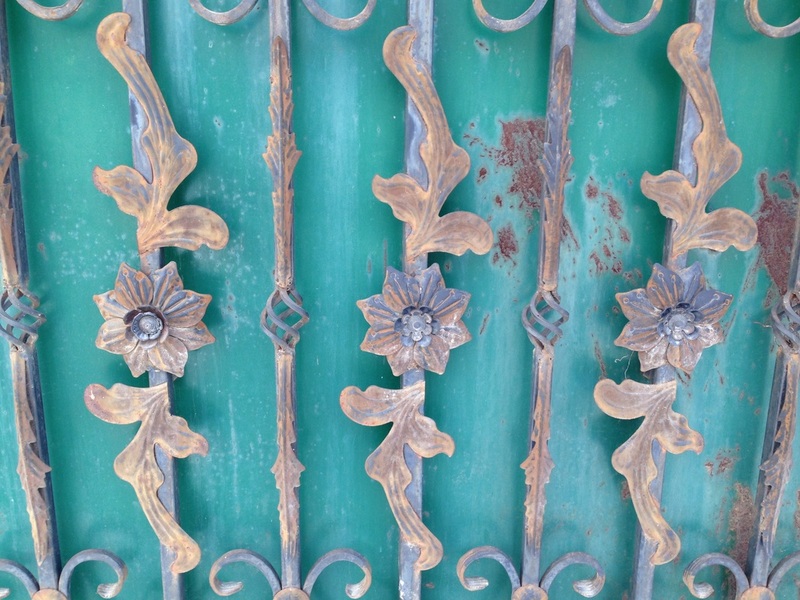 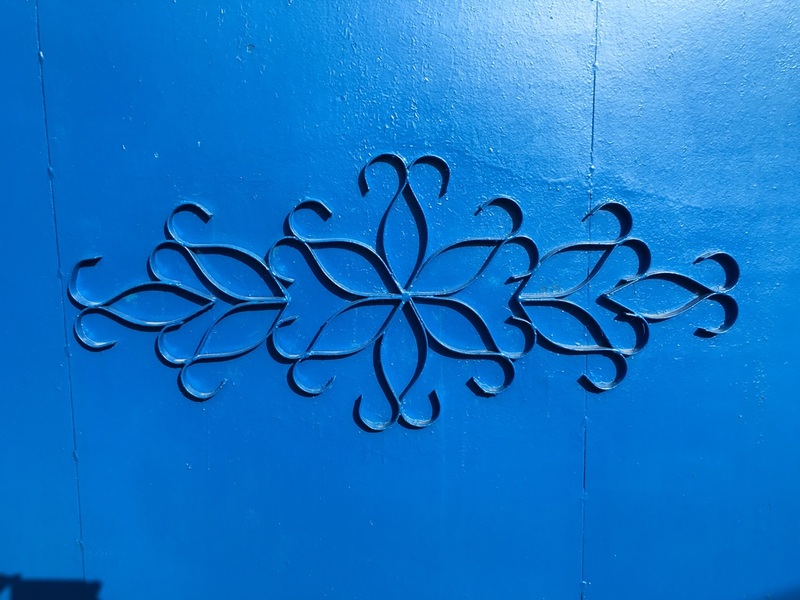 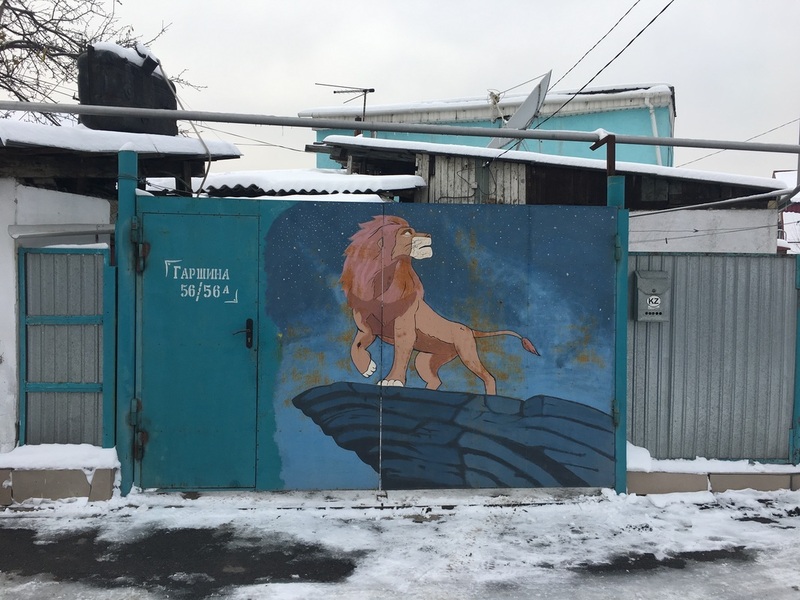 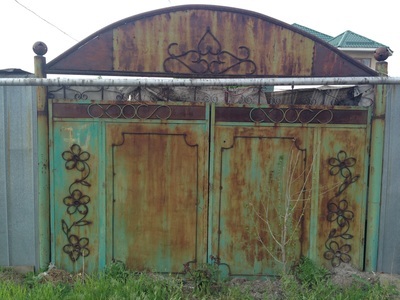 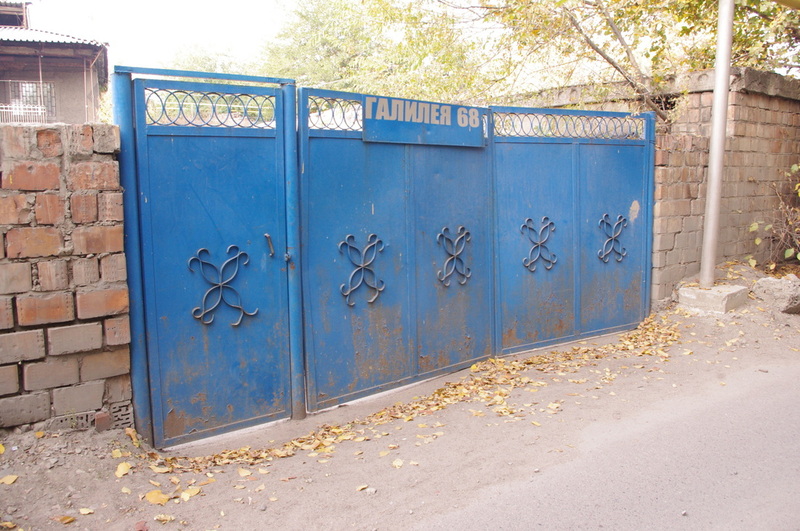 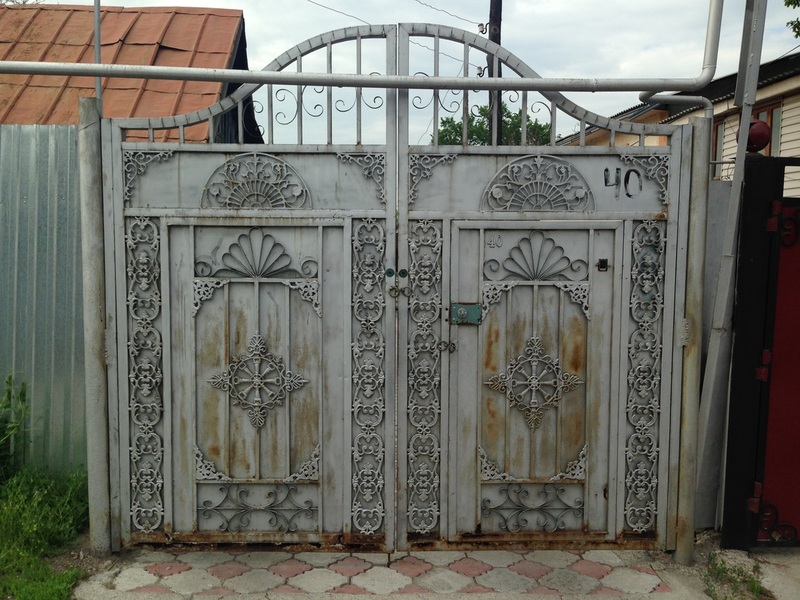 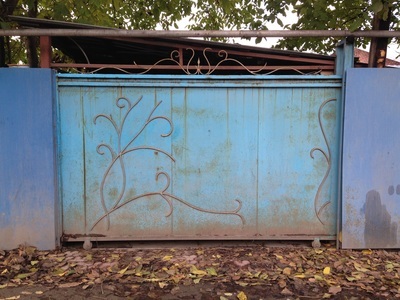 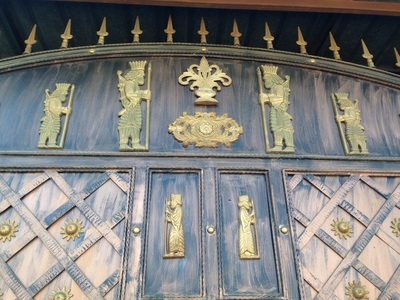 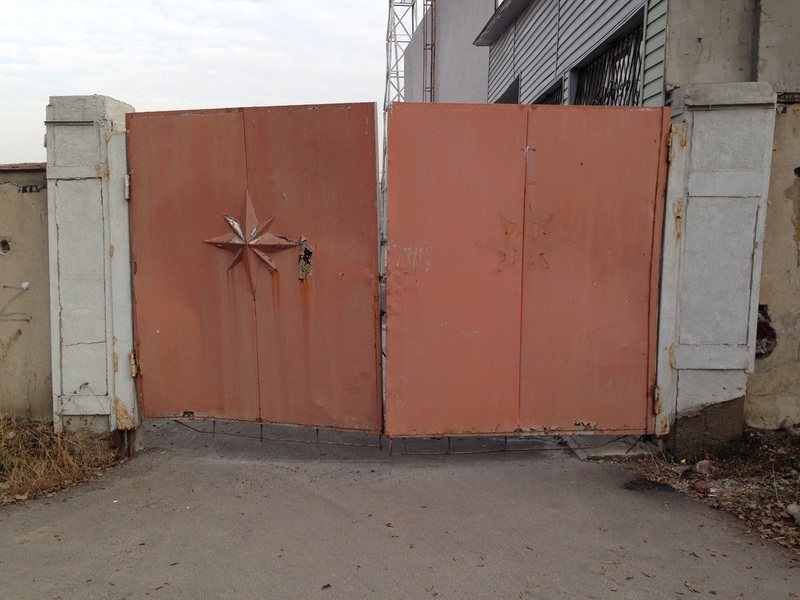 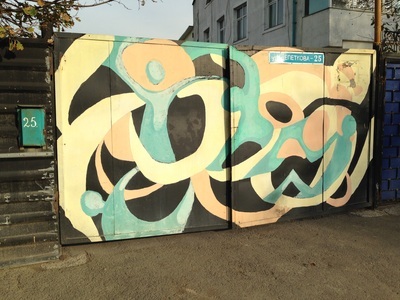 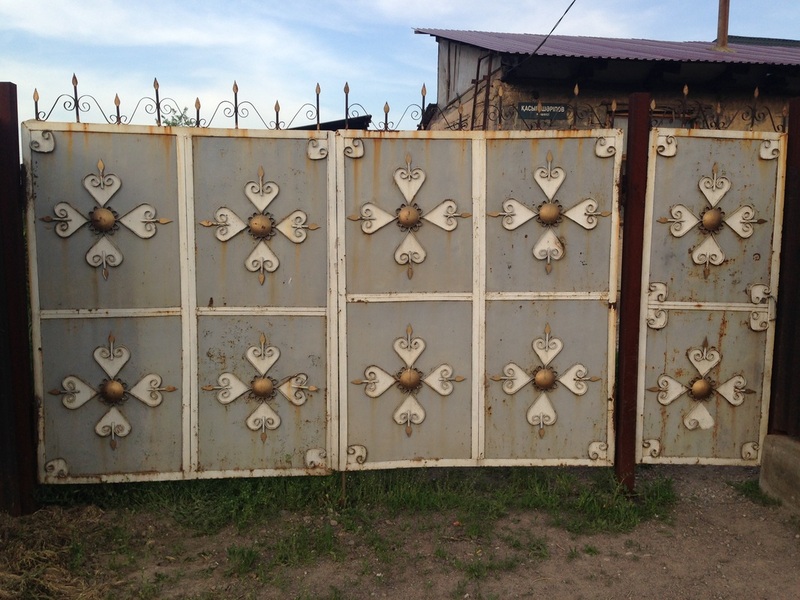 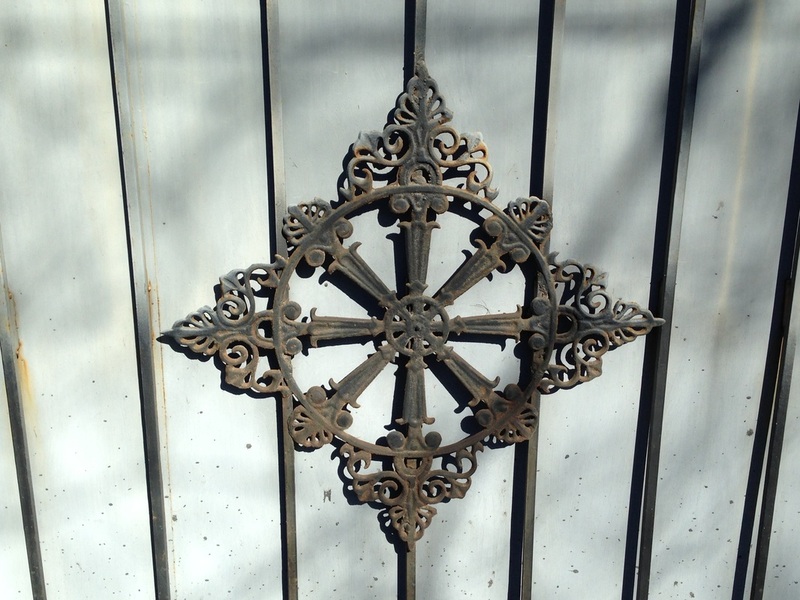 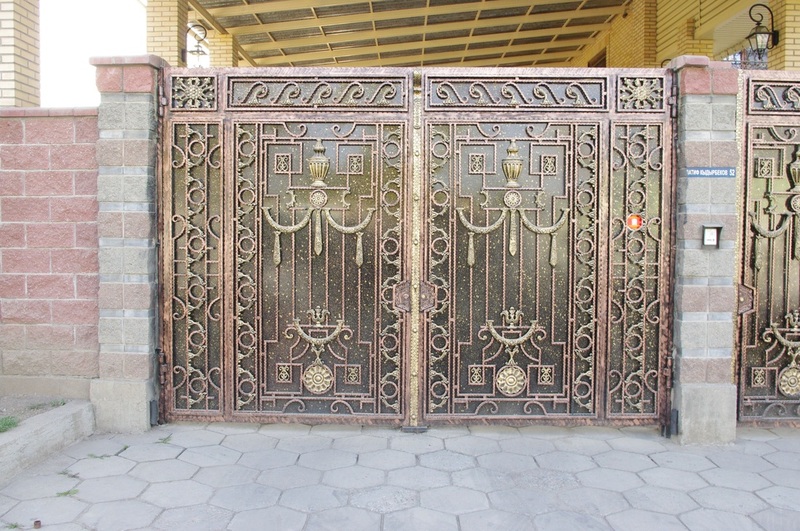 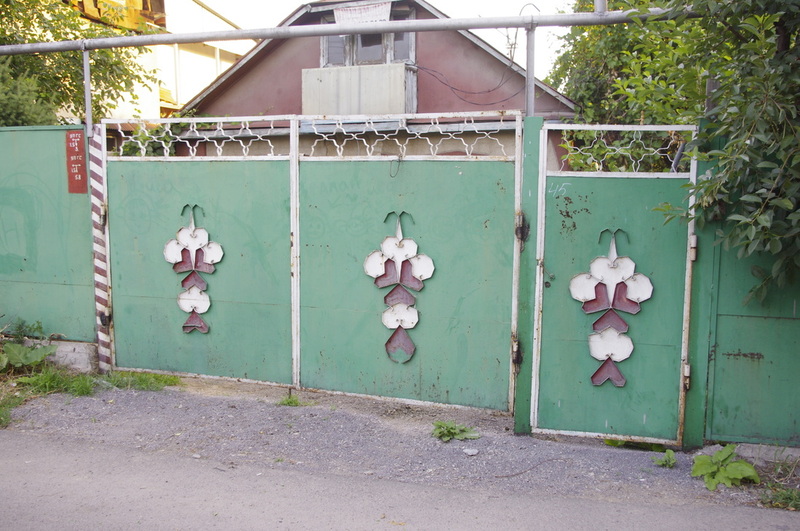 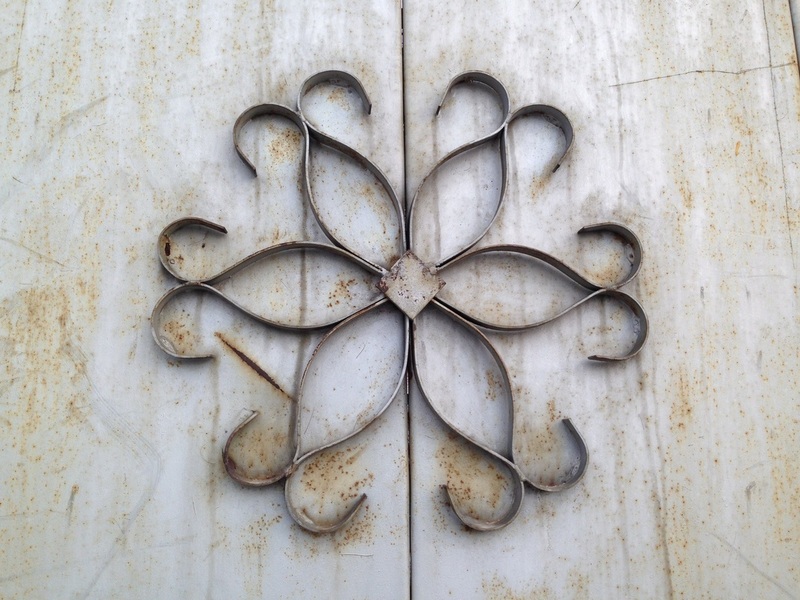 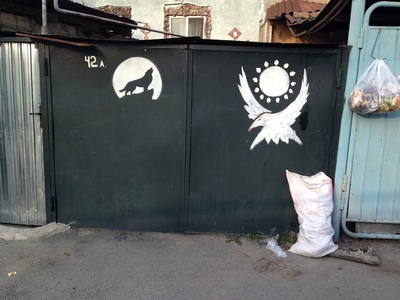 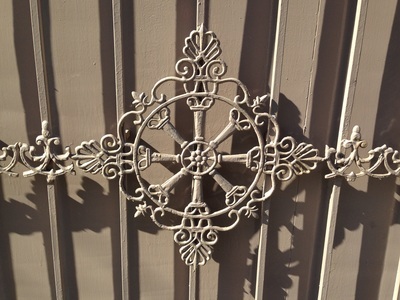 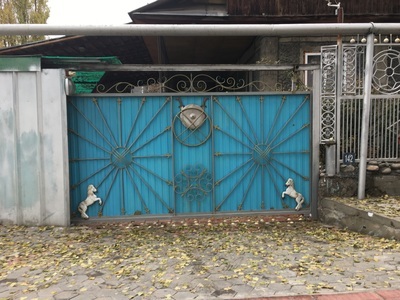 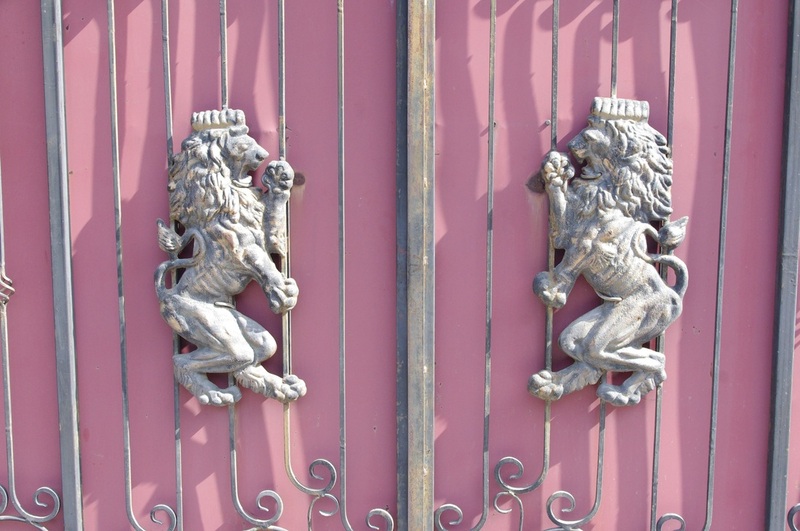 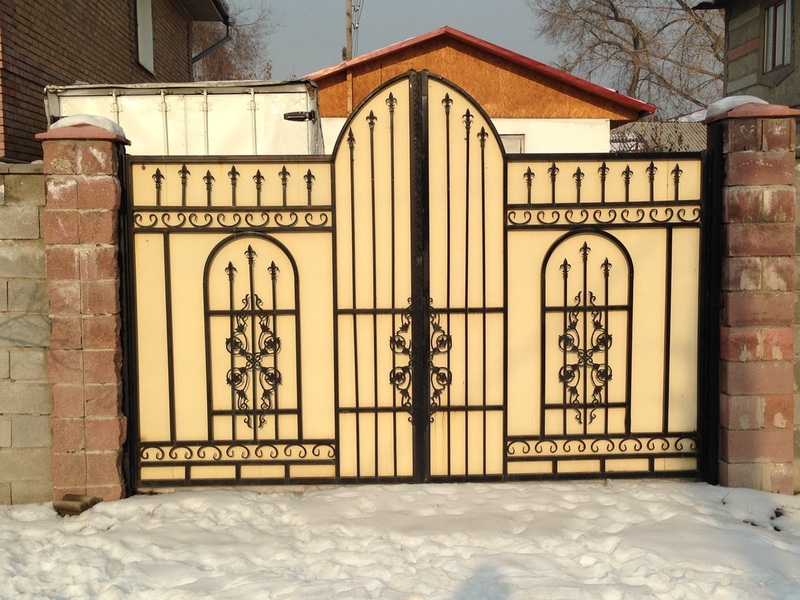 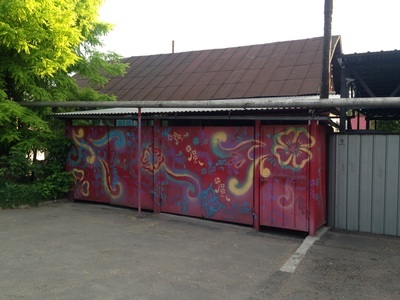 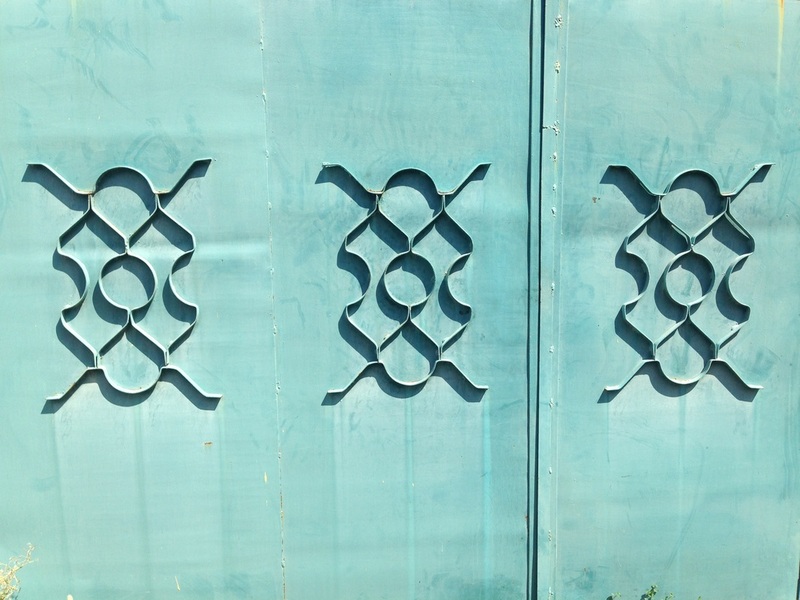 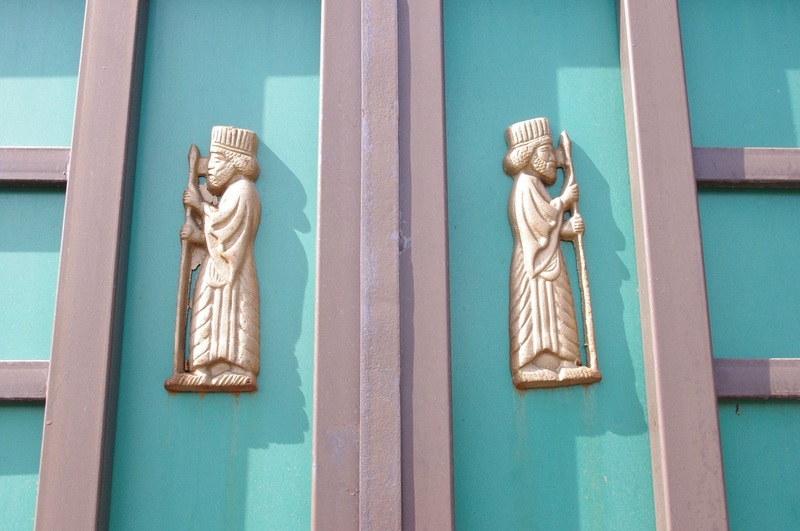 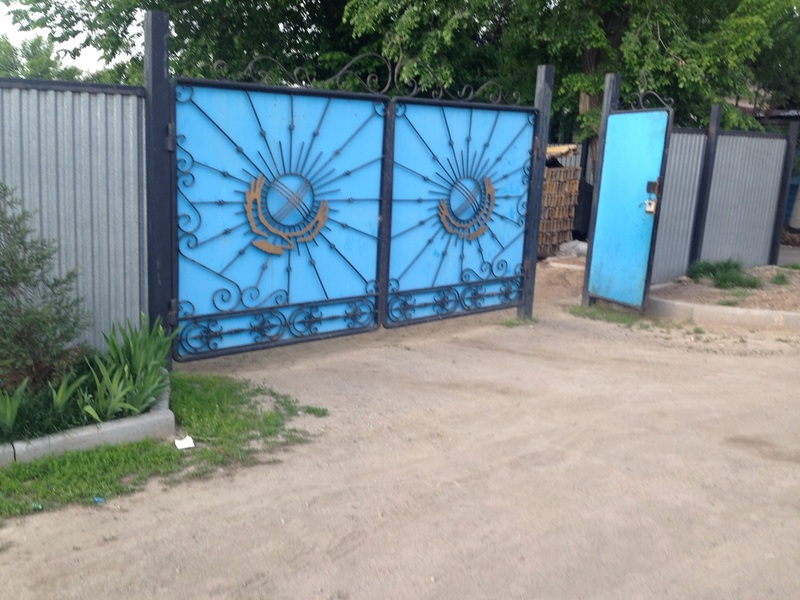 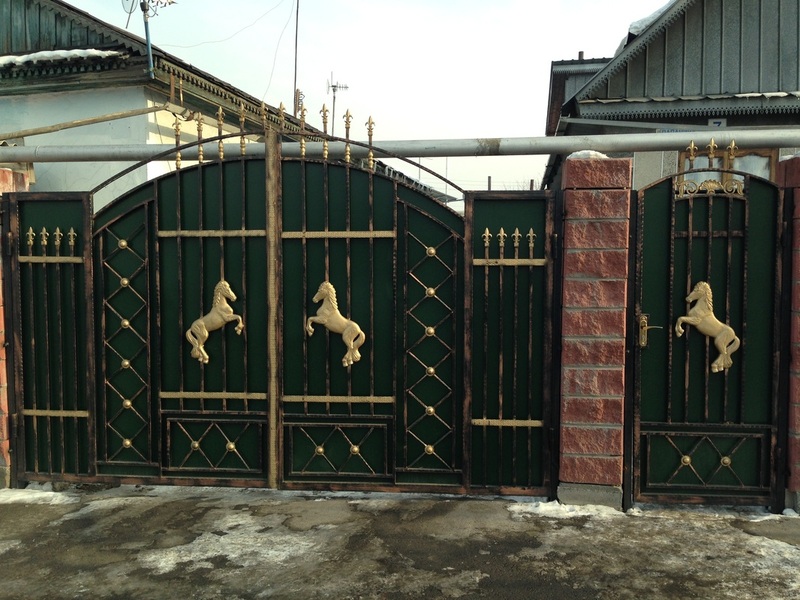 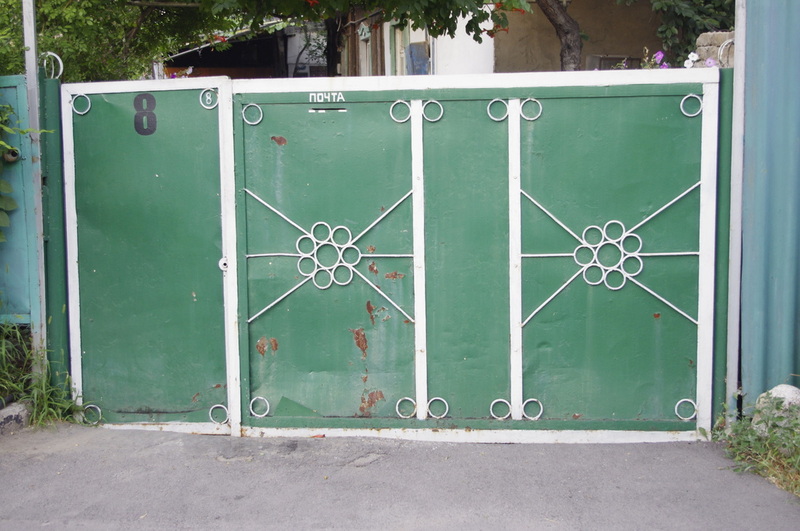 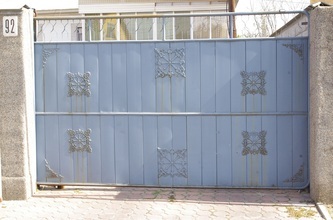 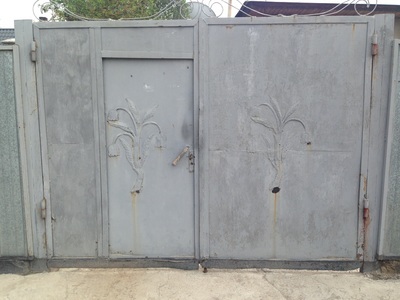 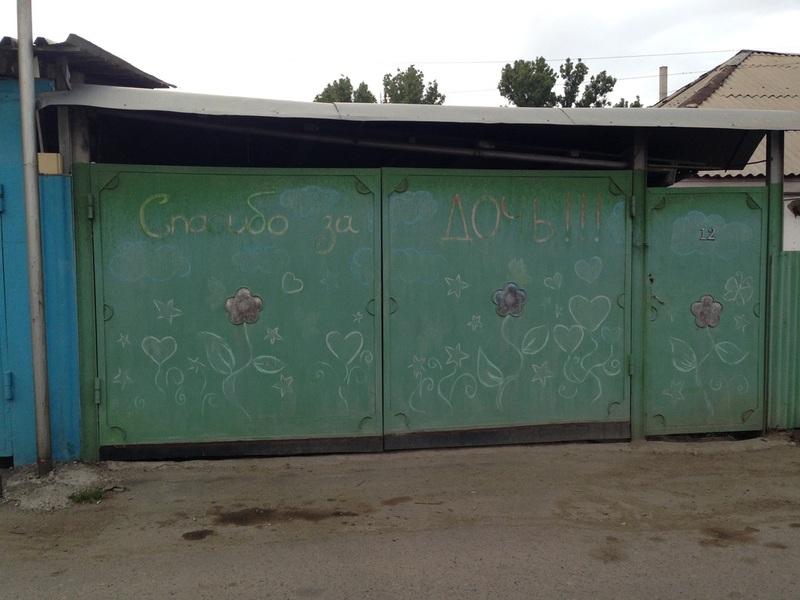 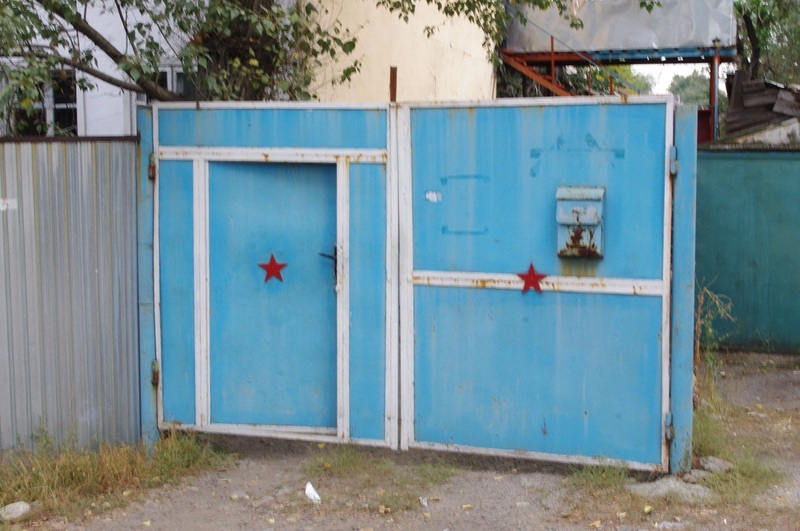 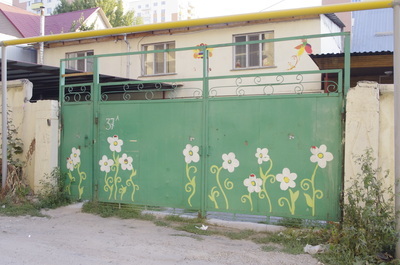 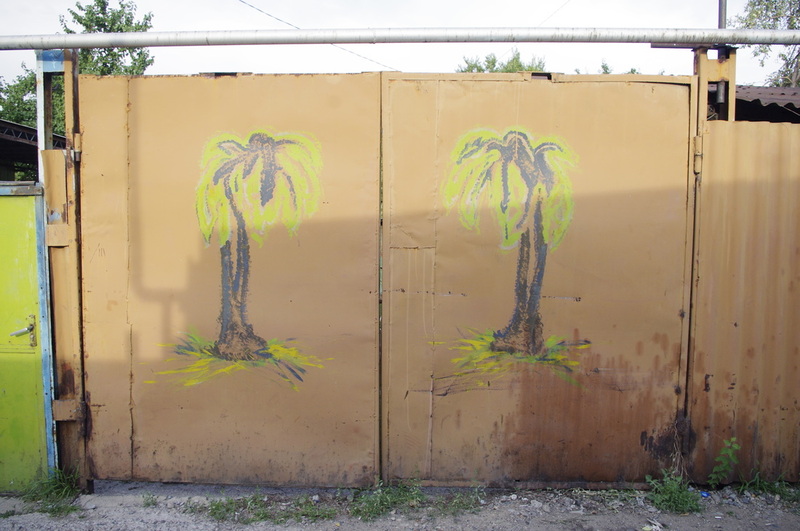 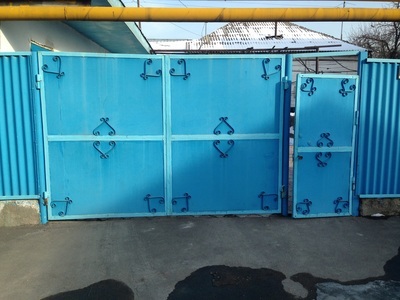 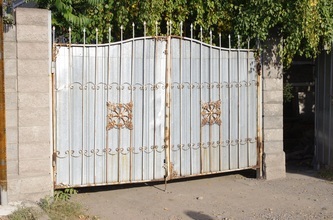 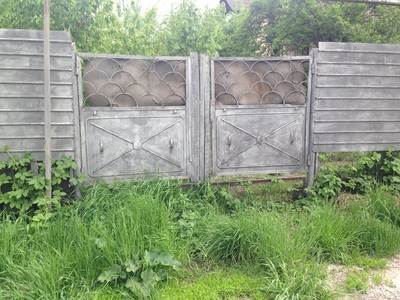 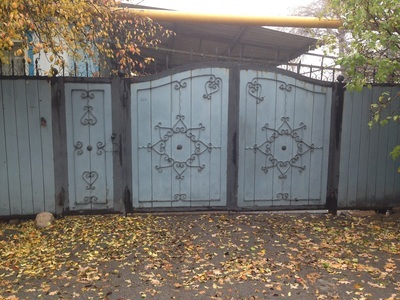 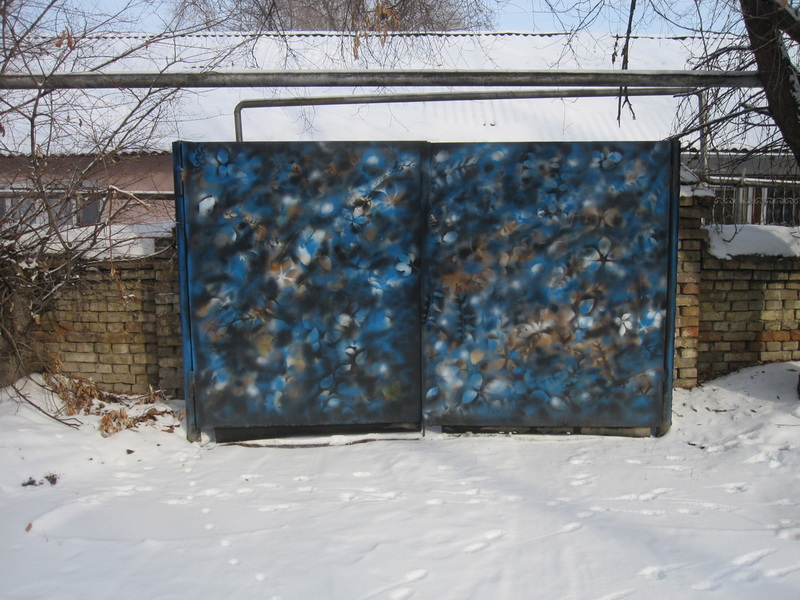 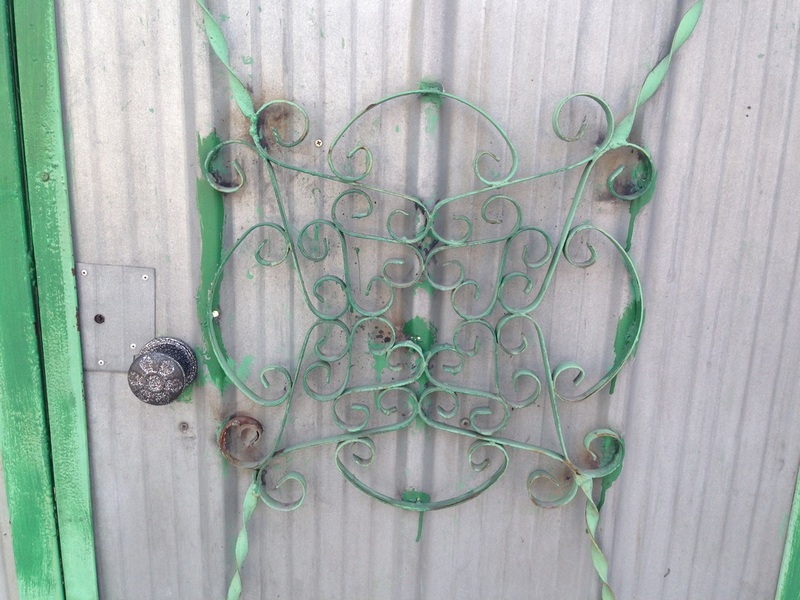 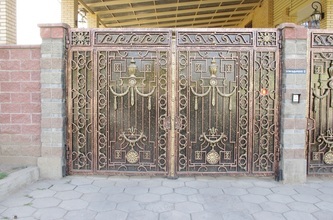 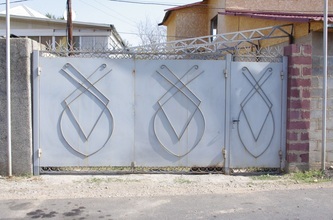 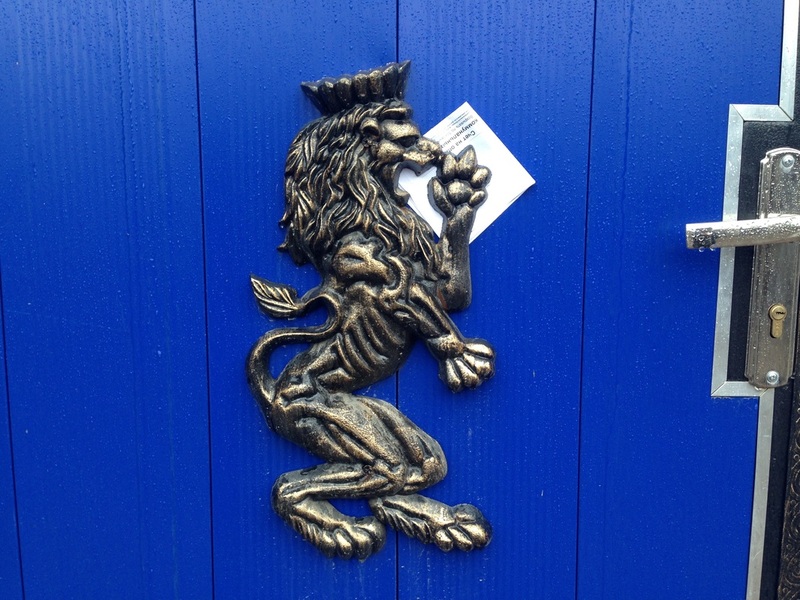 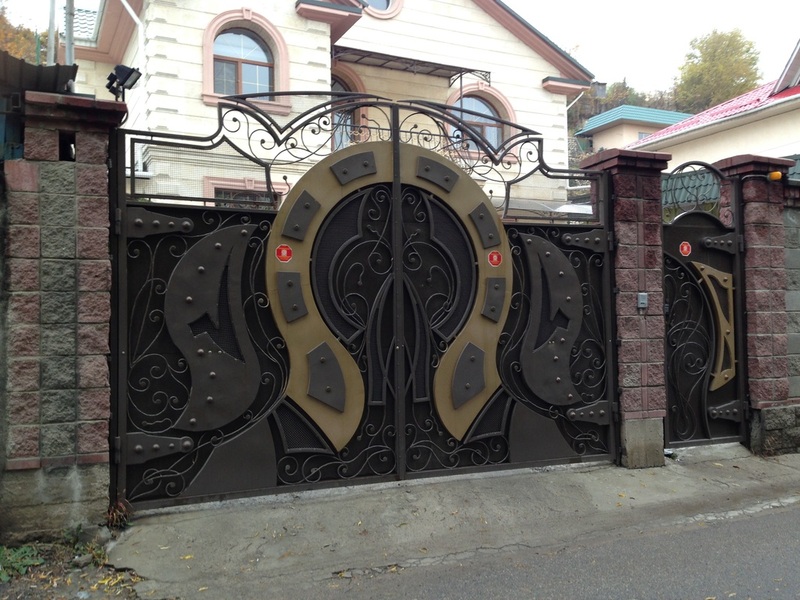 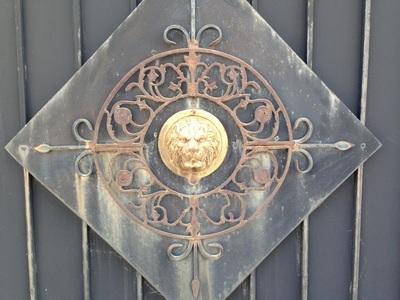 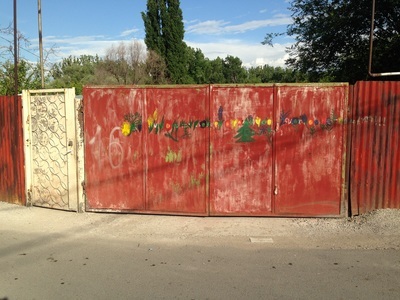 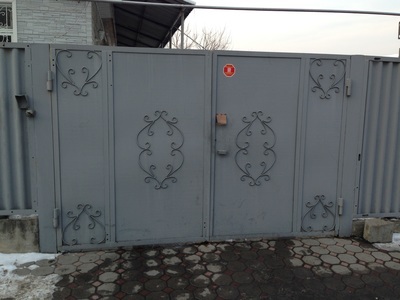 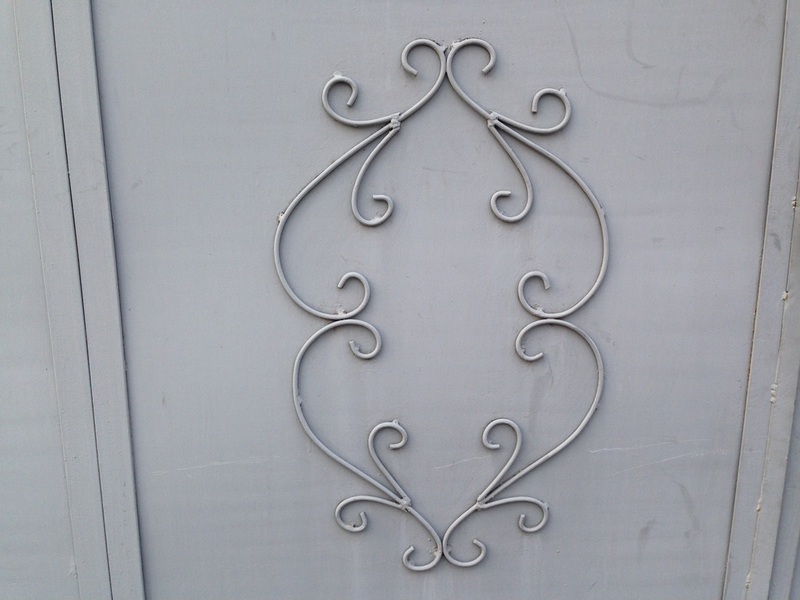 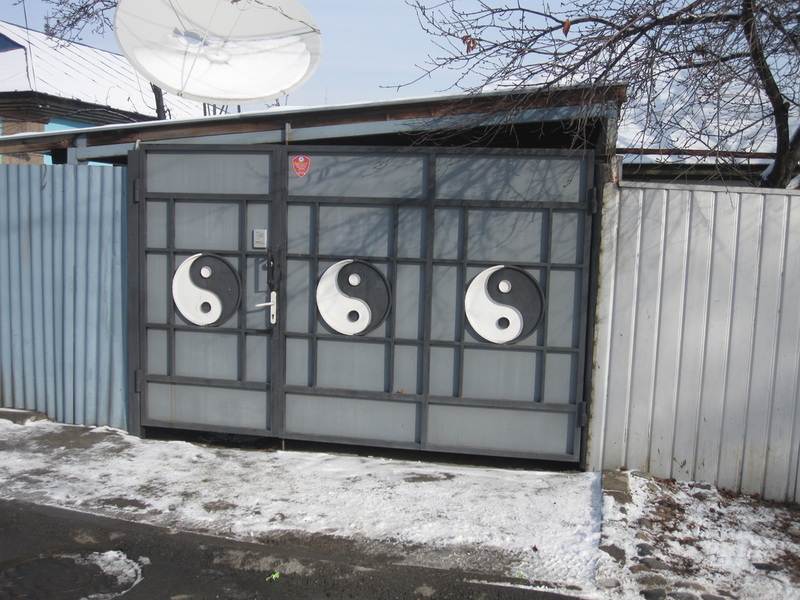 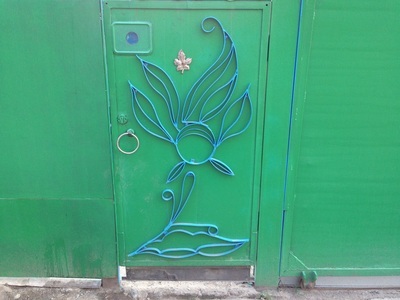 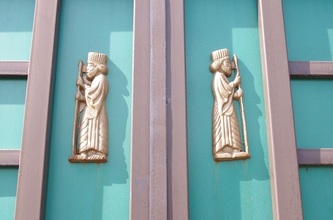 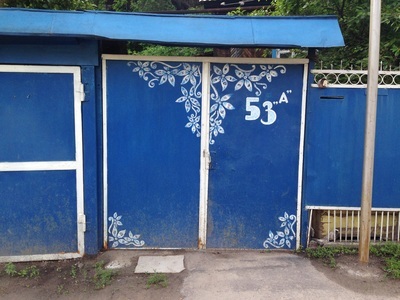 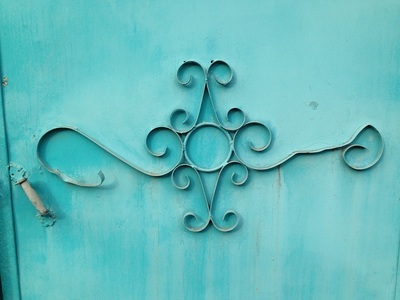 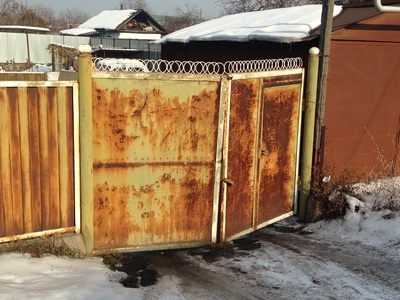 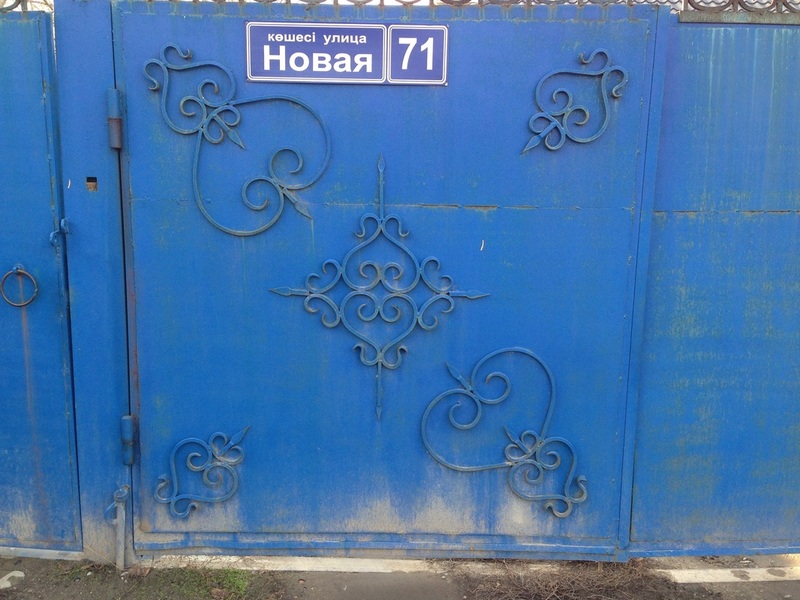 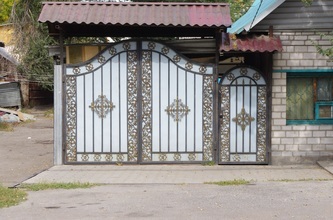 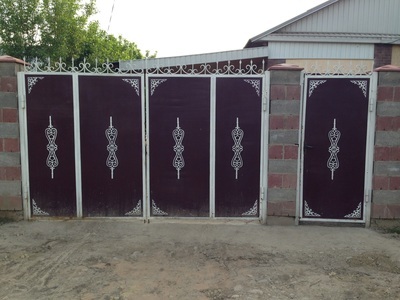 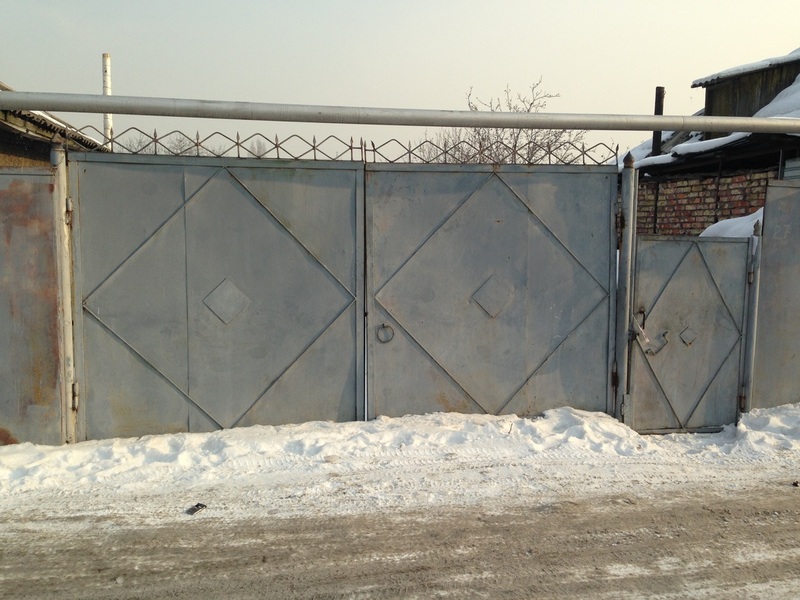 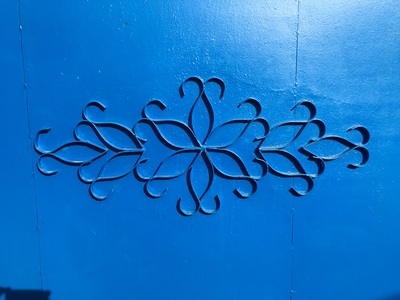 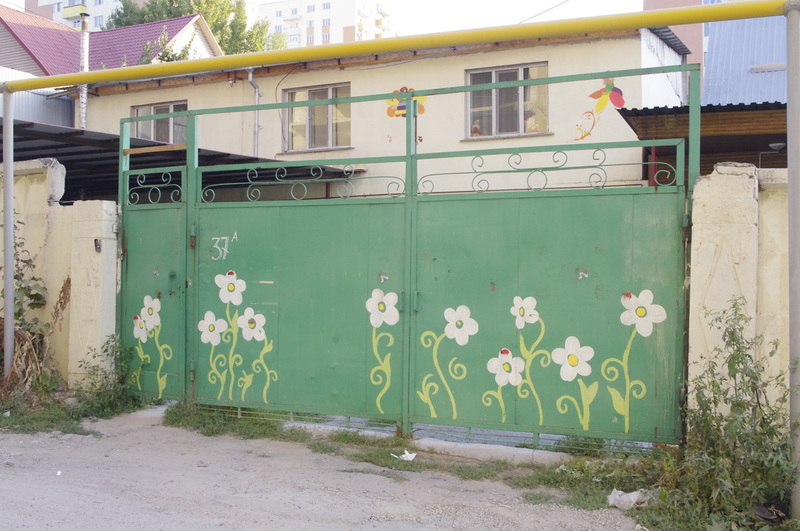 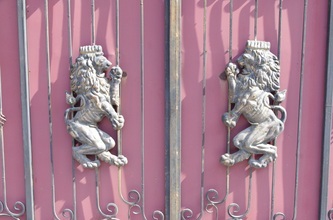 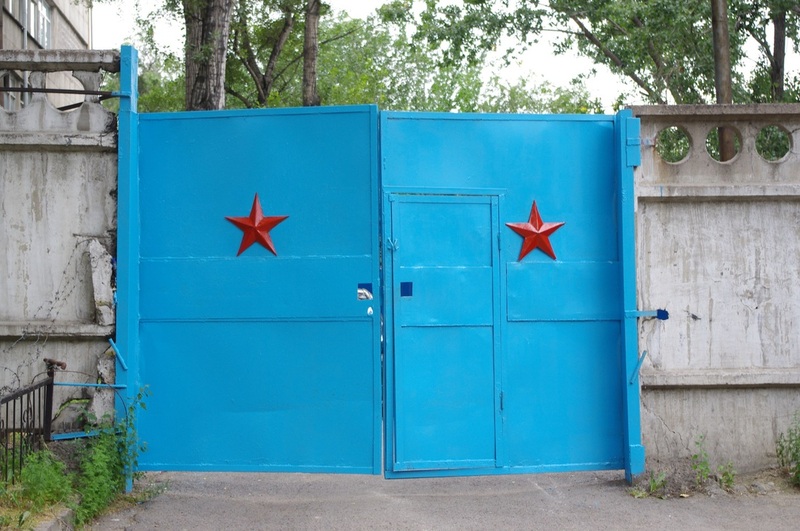 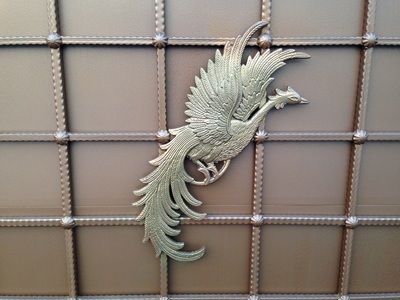 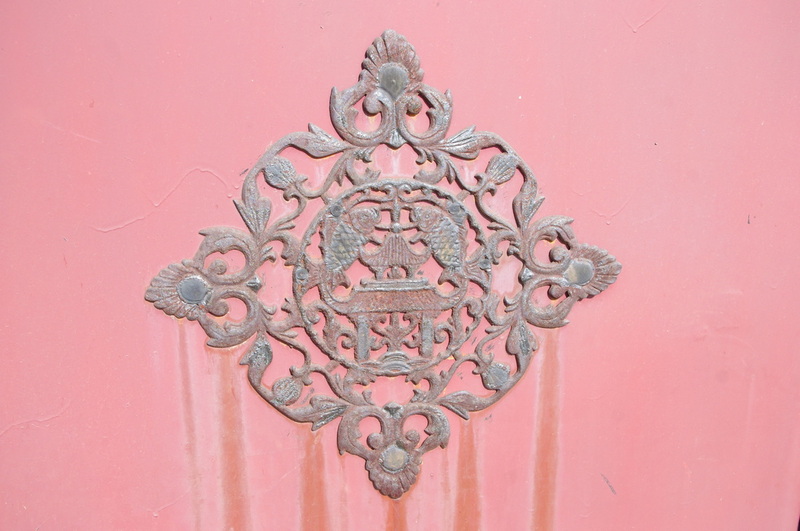 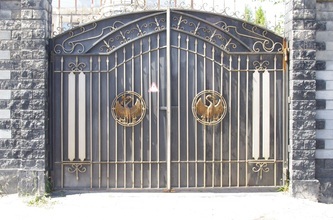 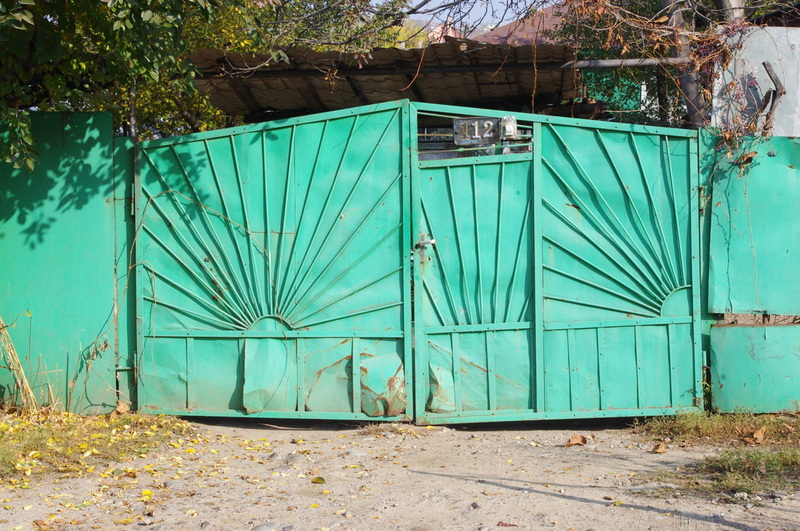 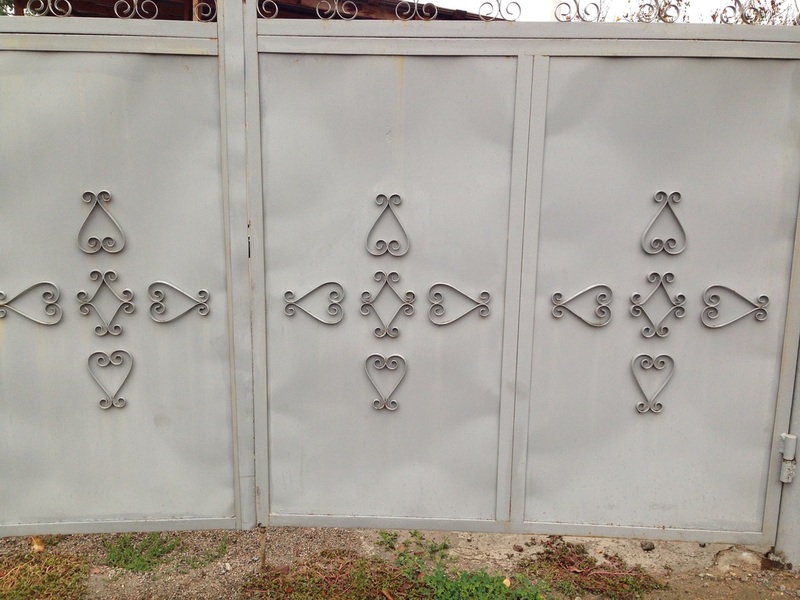 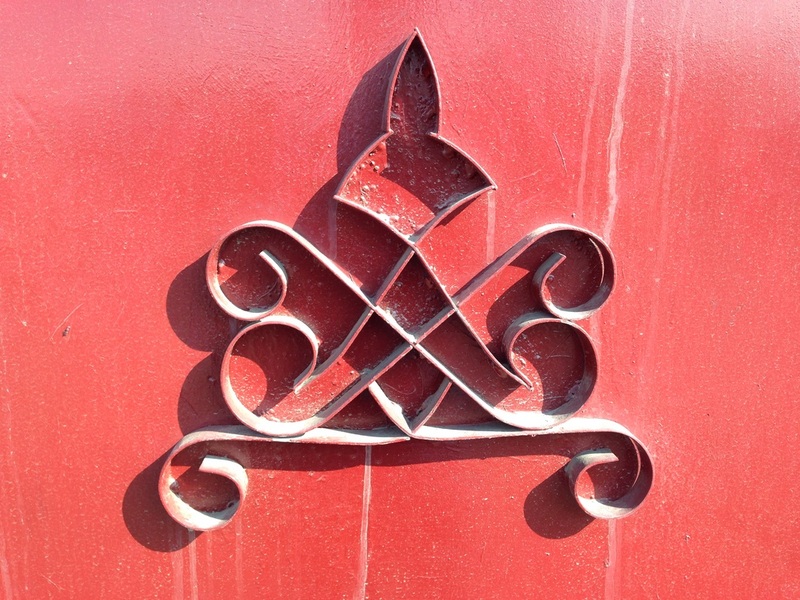 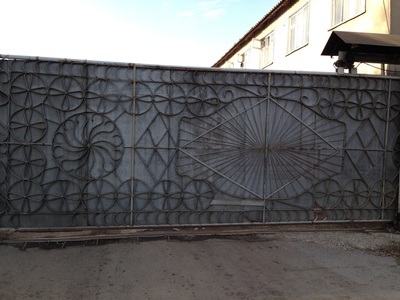 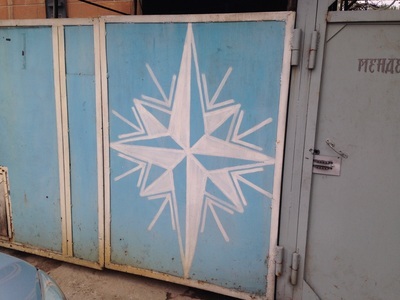 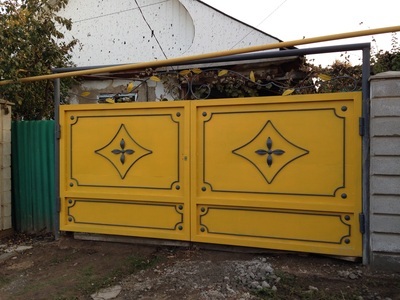 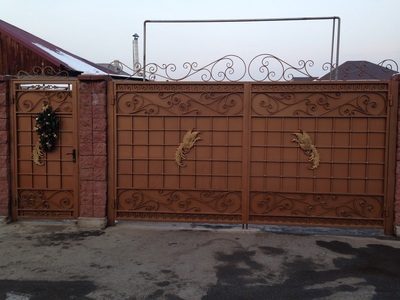 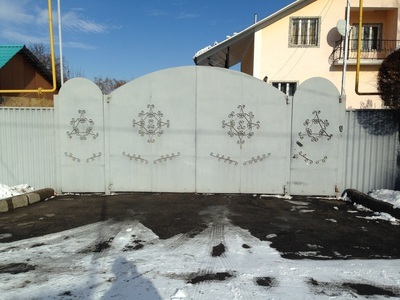 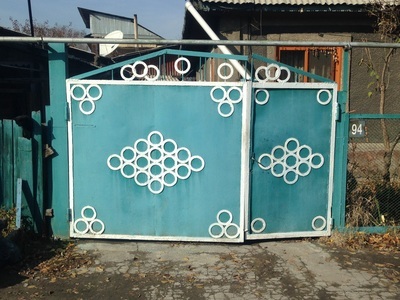 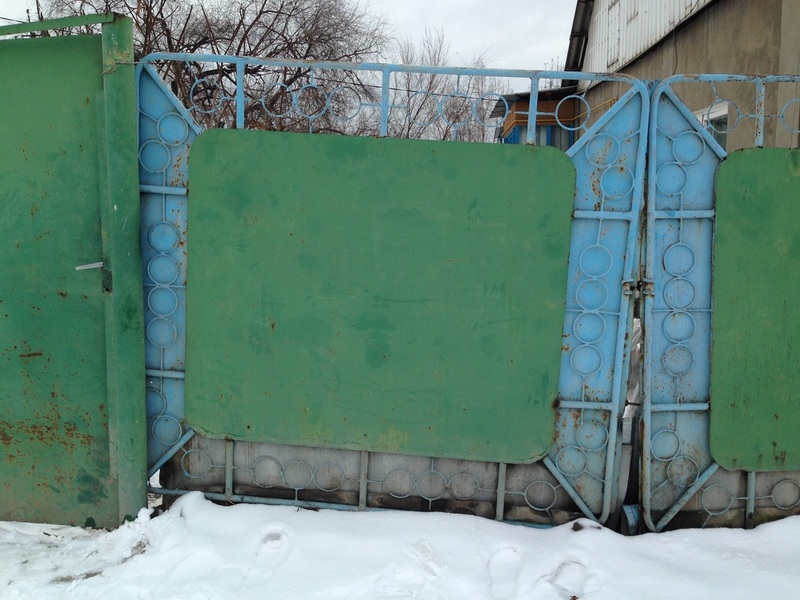 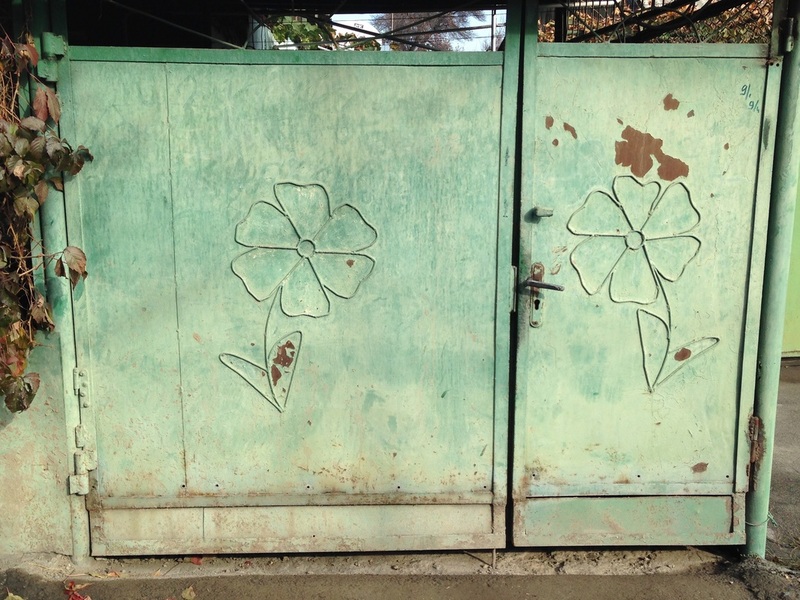 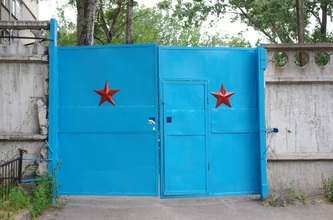 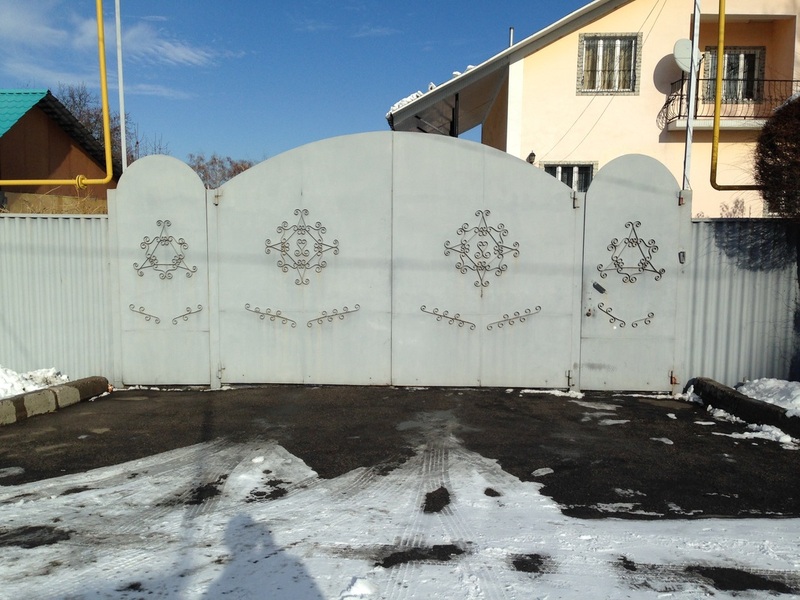 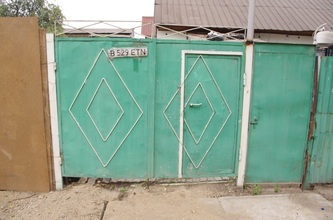 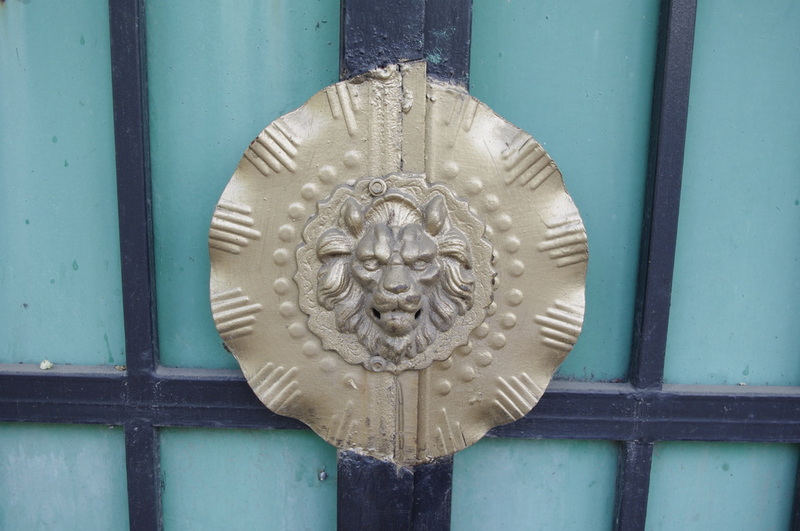 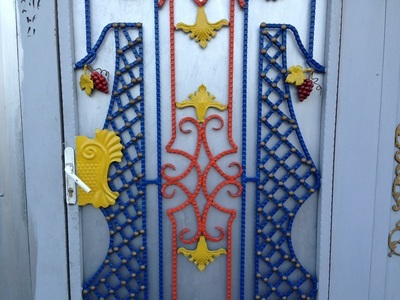 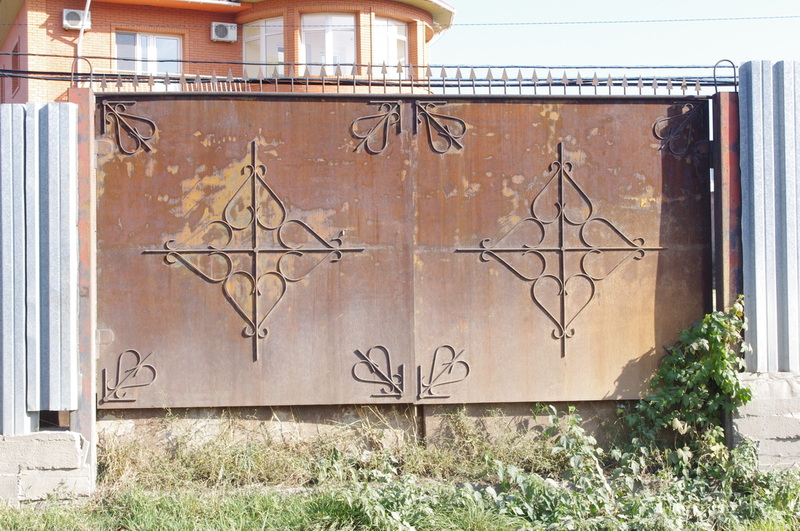 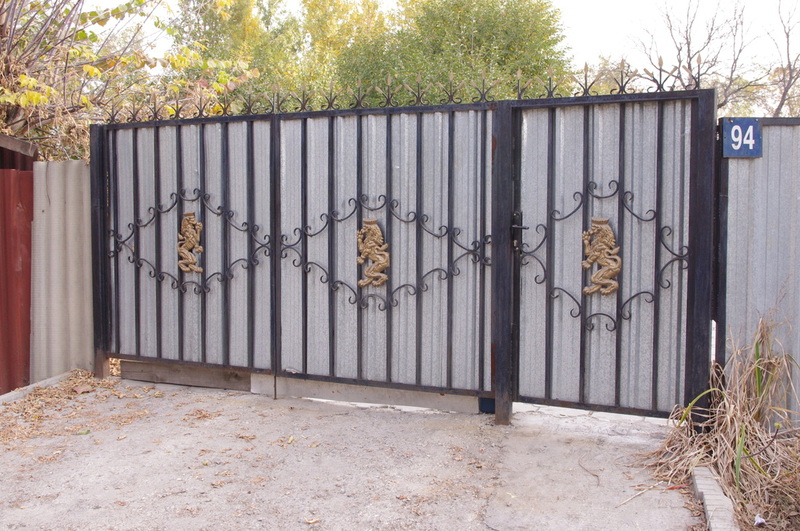 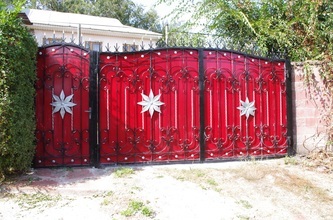 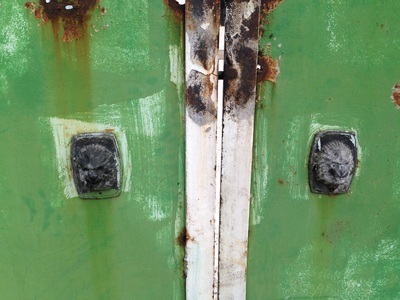 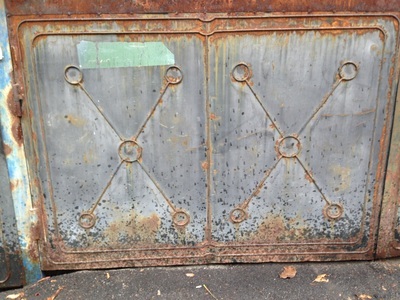 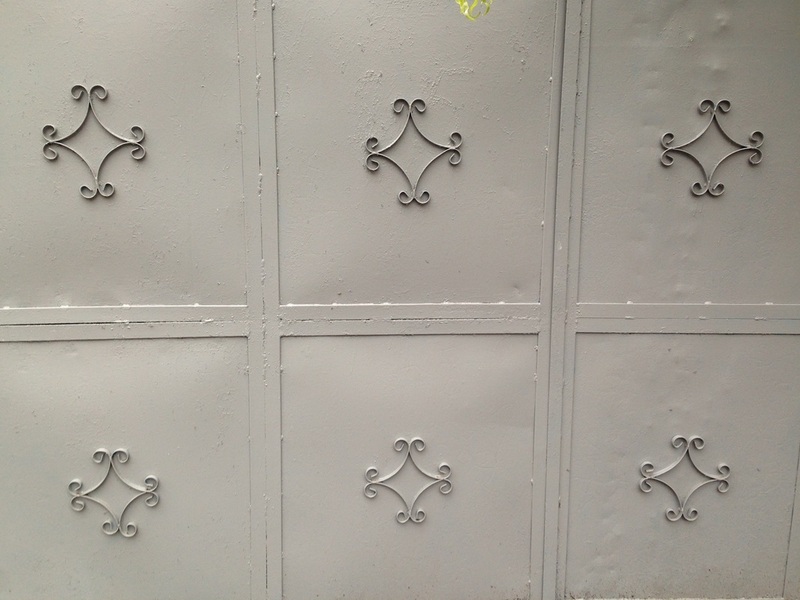 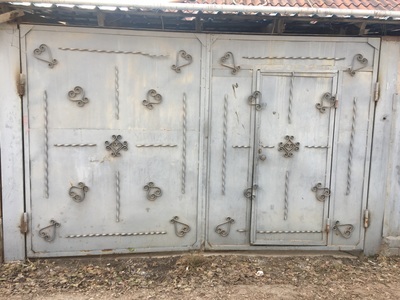 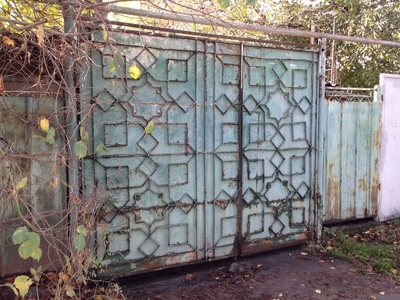 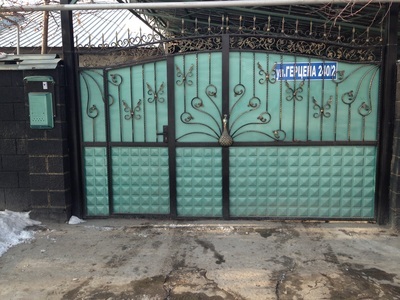 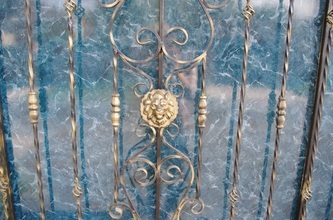 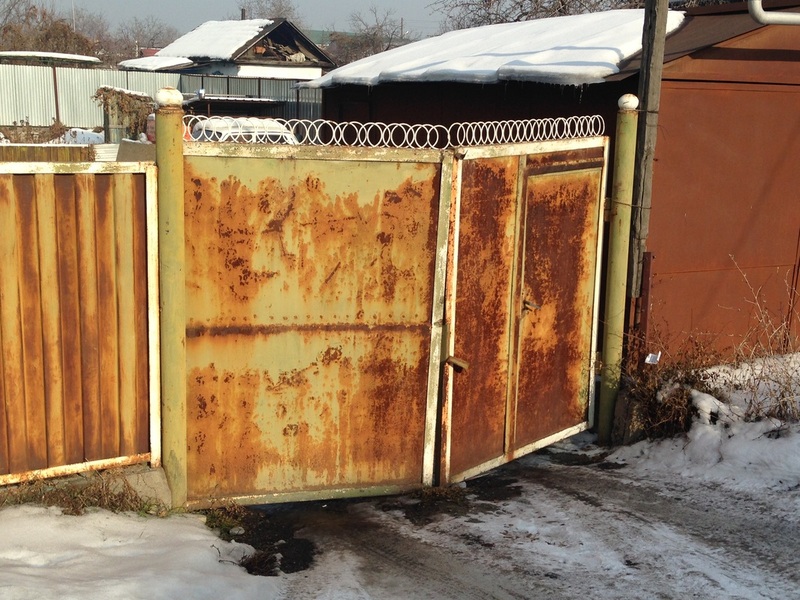 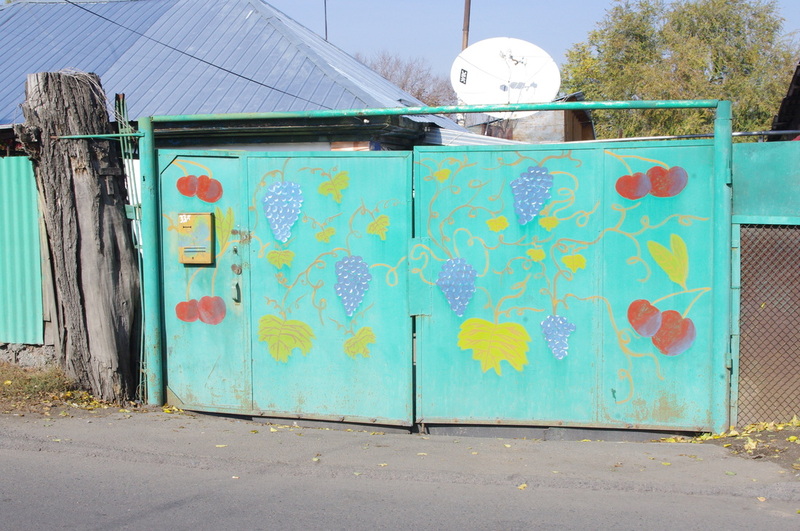 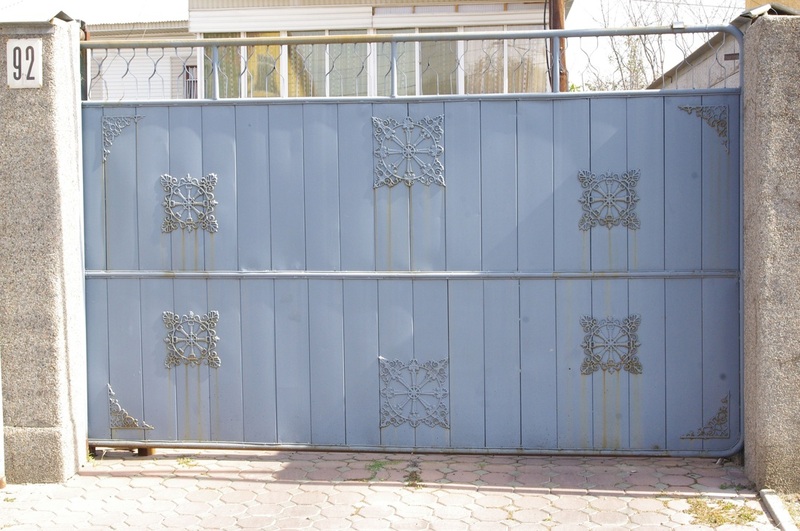 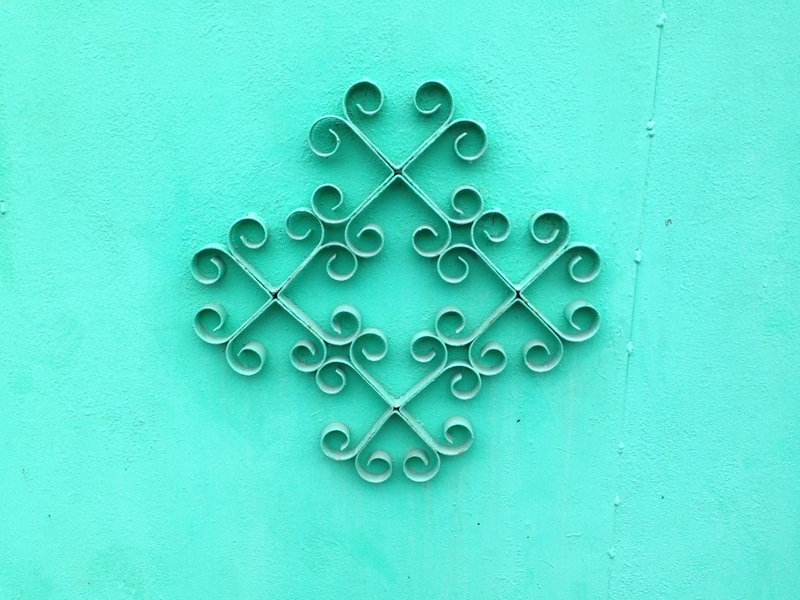 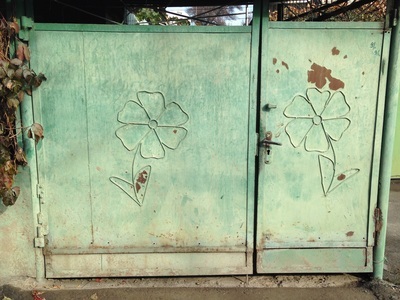 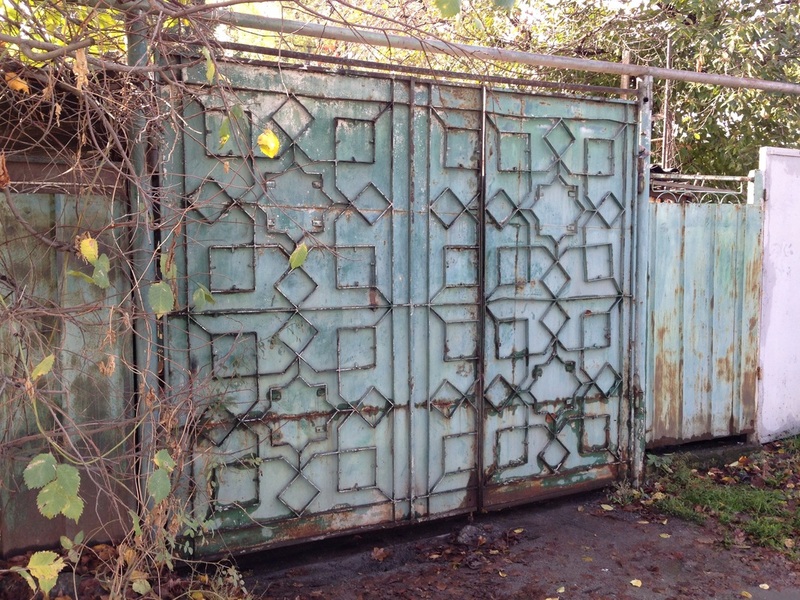 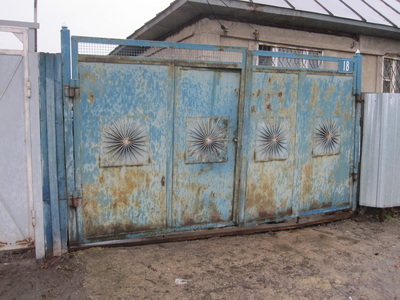 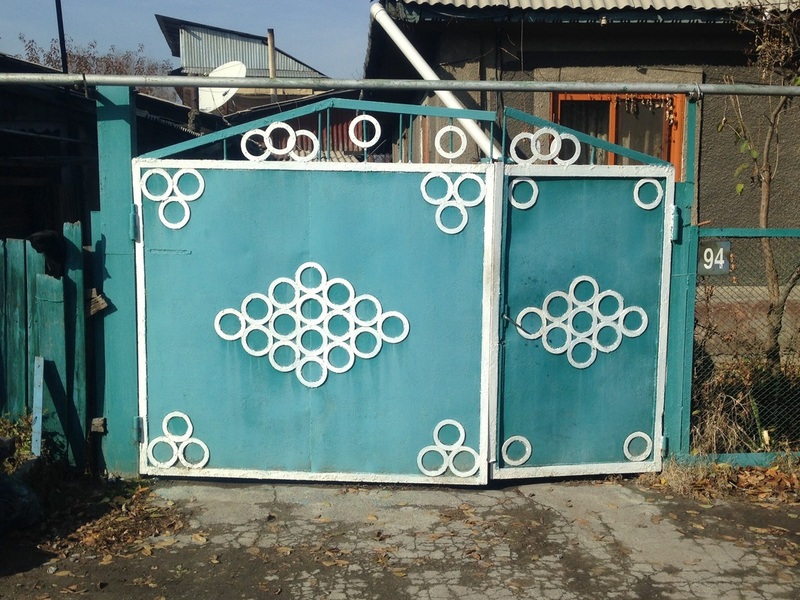 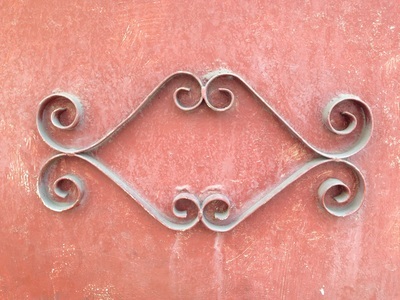 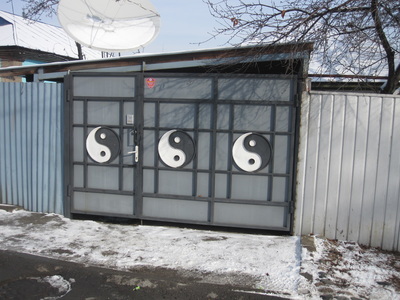 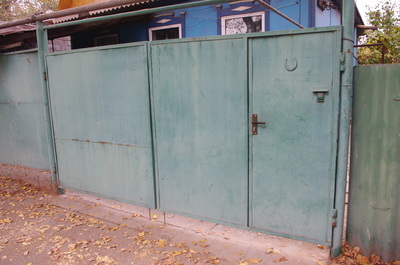 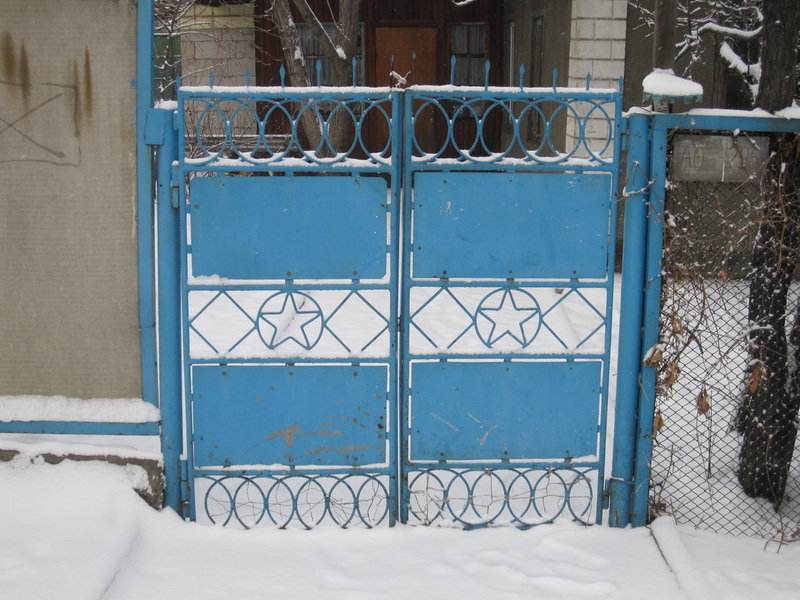 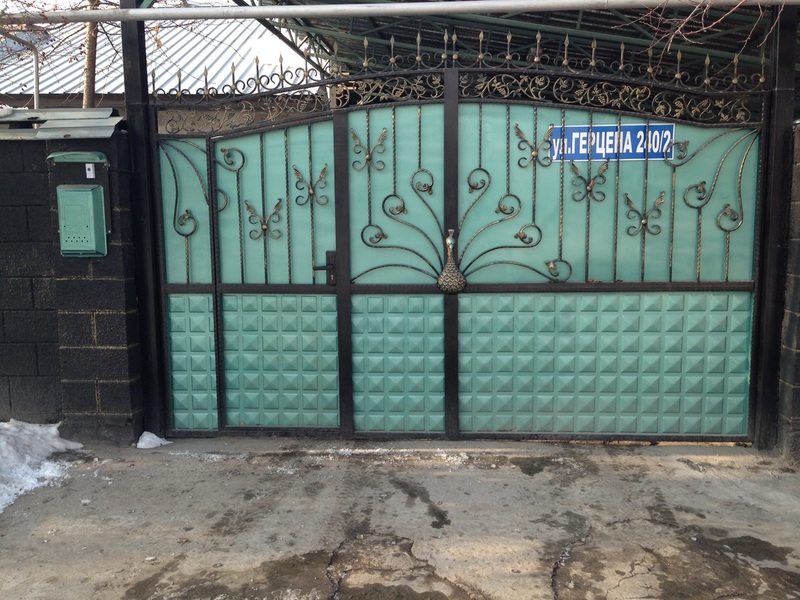 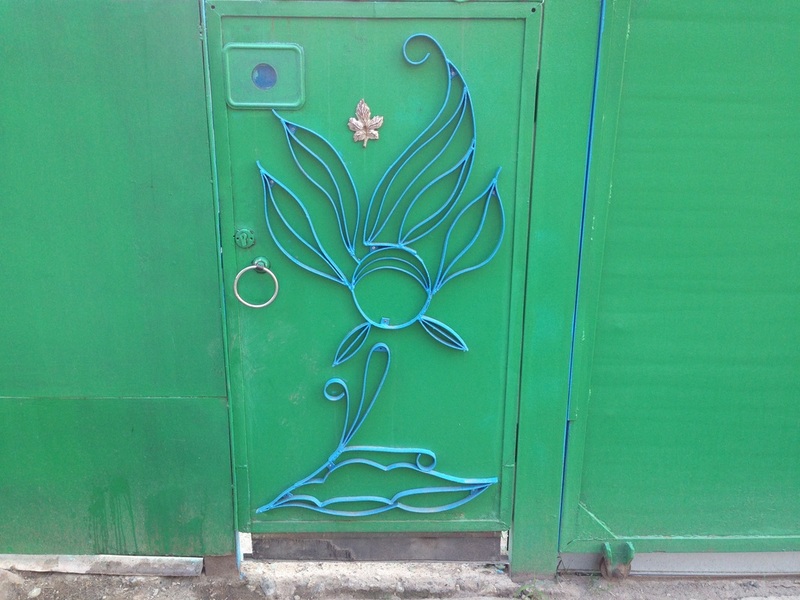 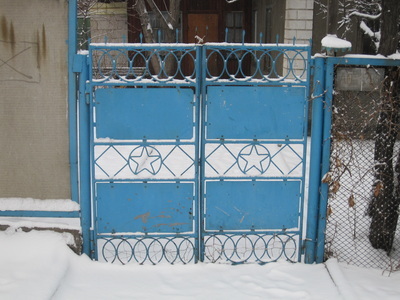 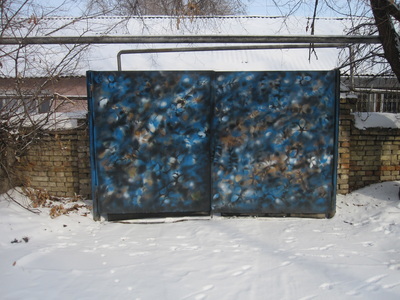 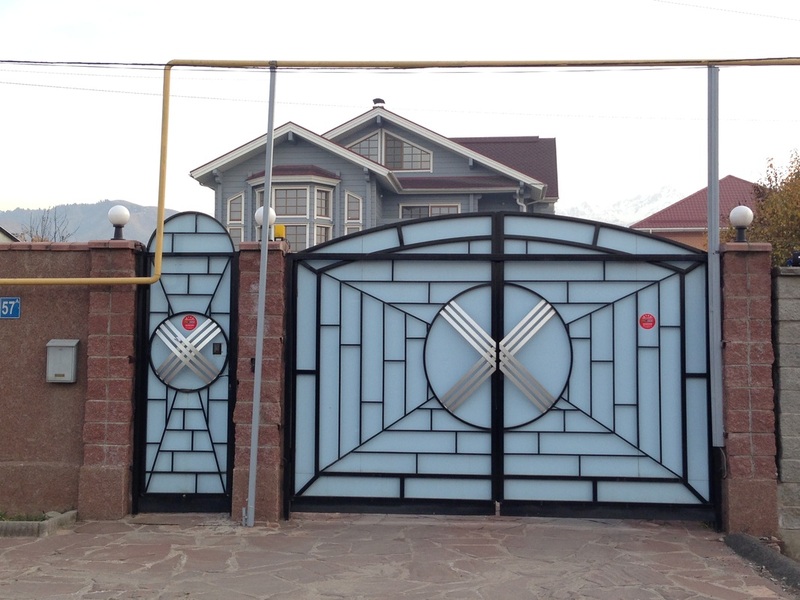 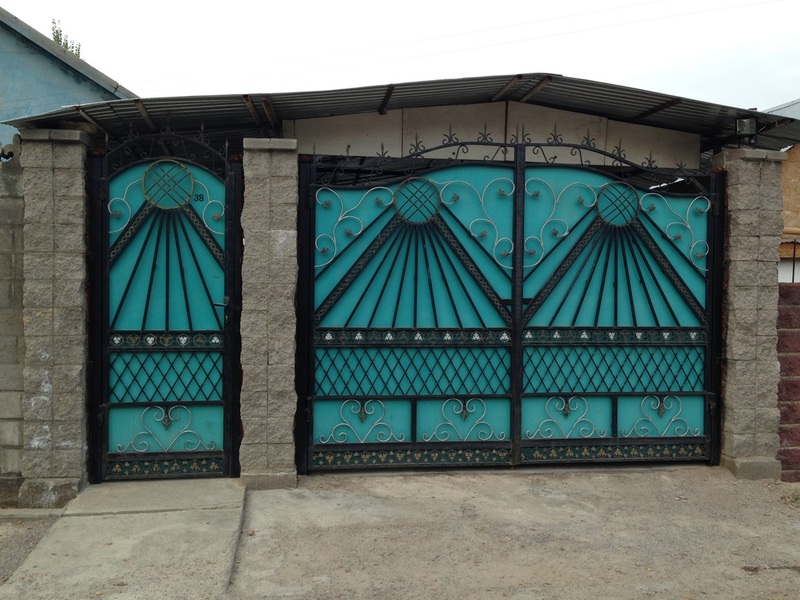 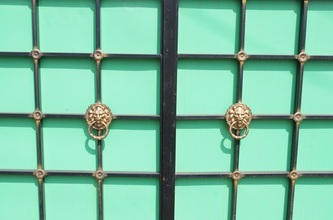 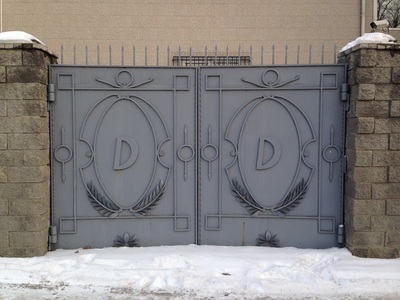 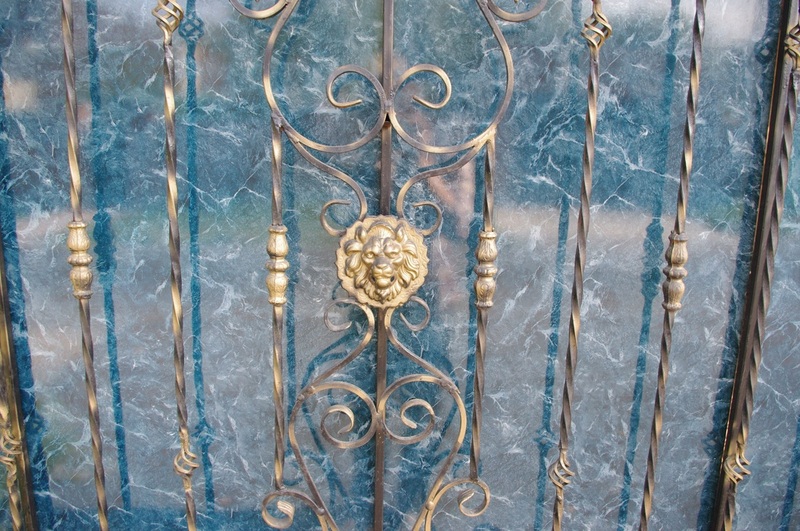 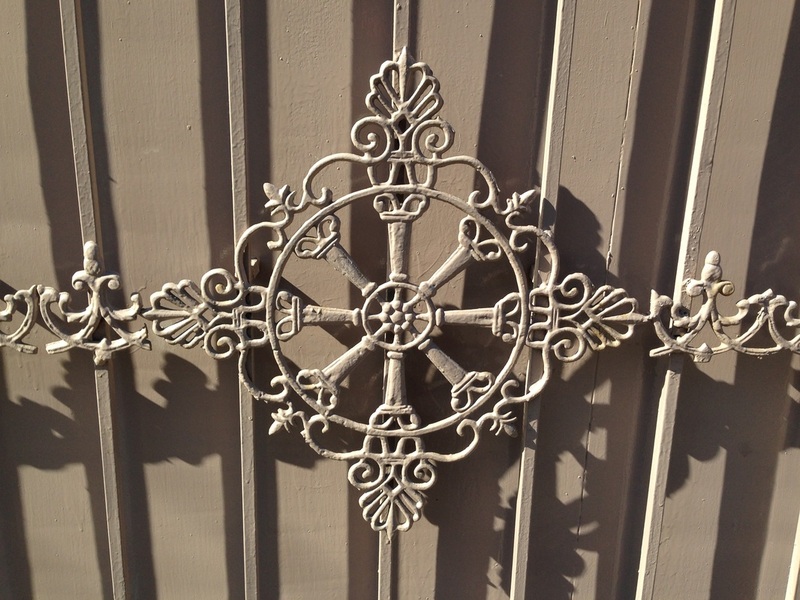 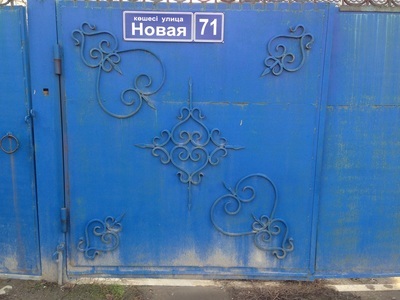 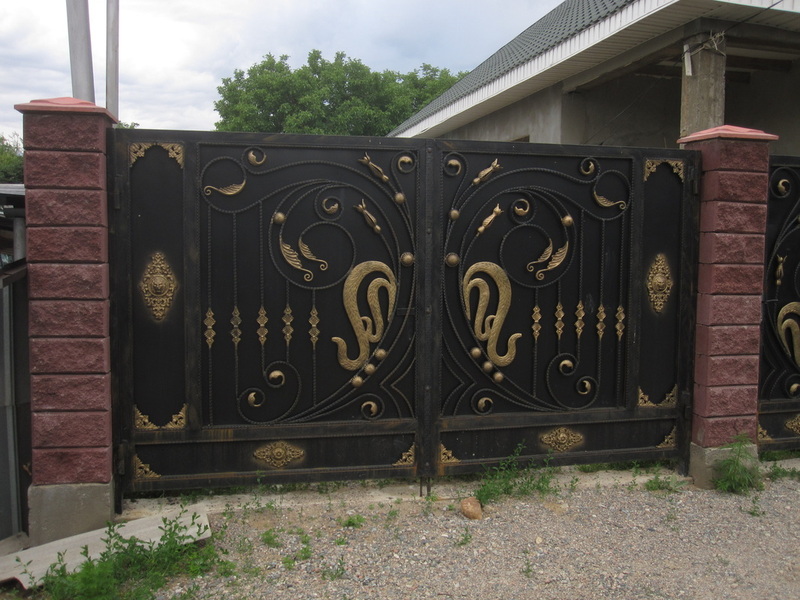 The most common metal gate has three parts: the columns keeping it in place [стойки; stoiky], a sheet-metal screen [облицовка; oblitsovka] coated in a colored polymer, and the wrought-iron frame and grille that adds the classy (or tacky) touch. 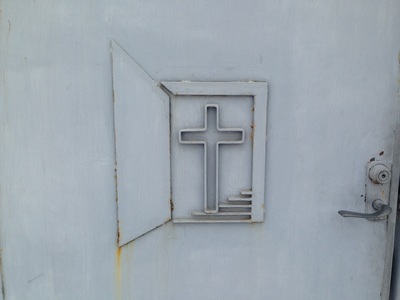 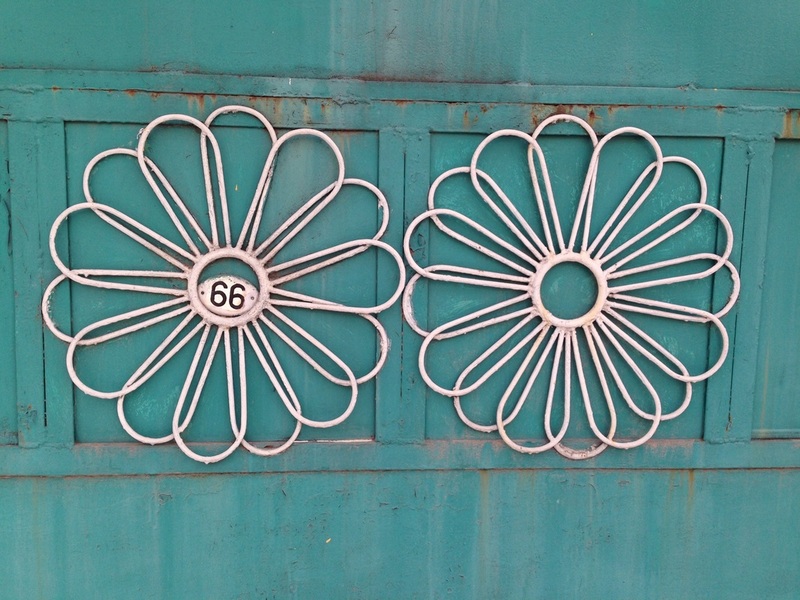 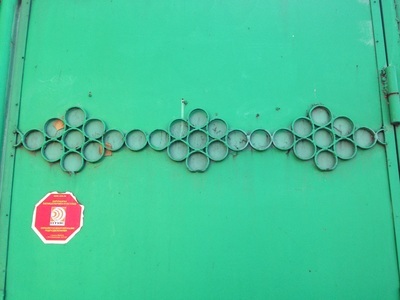 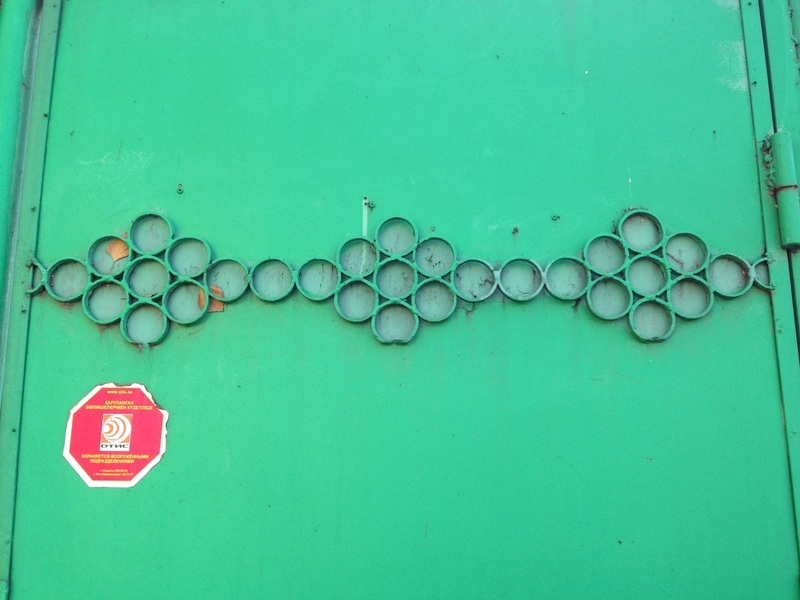 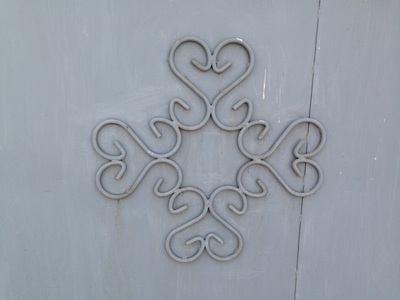 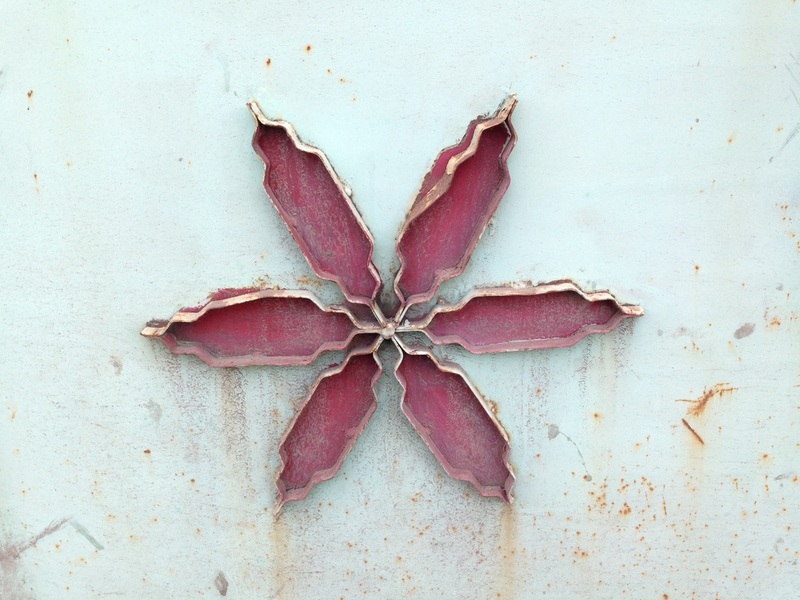 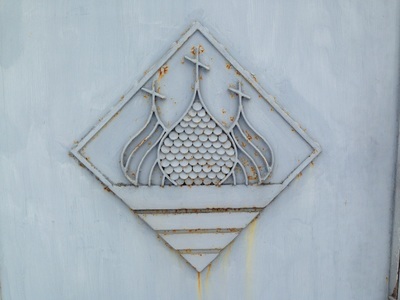 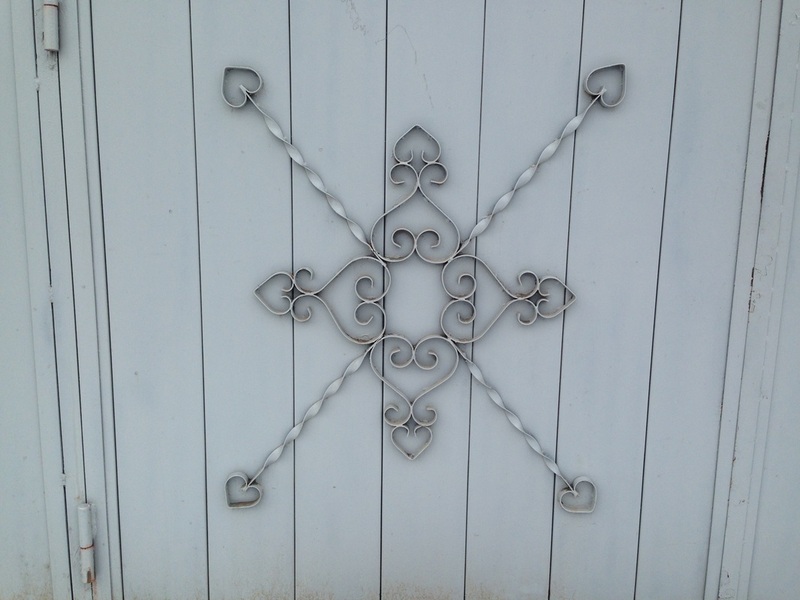 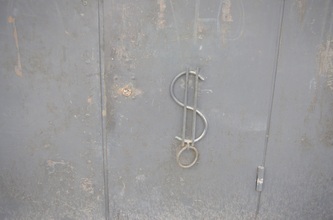 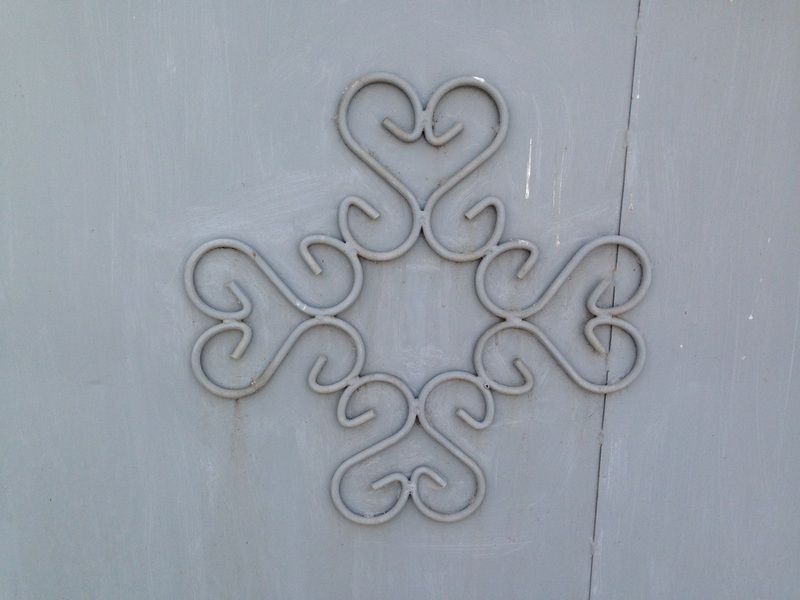 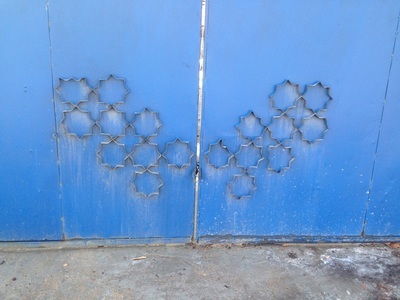 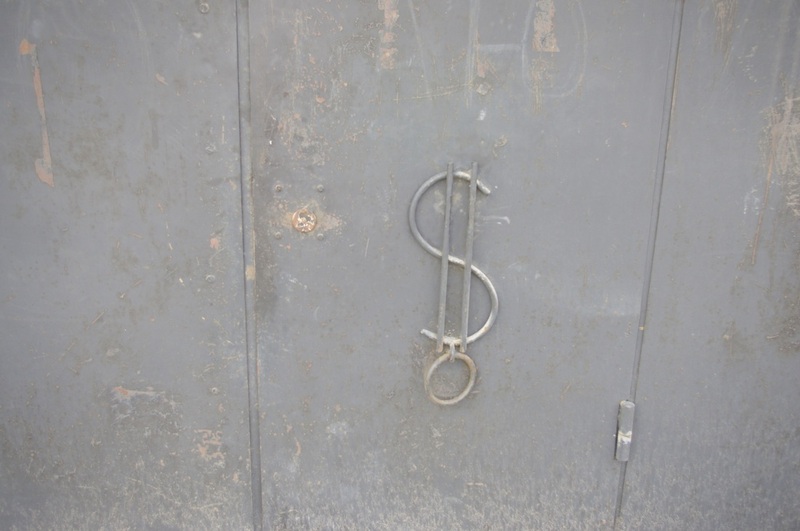 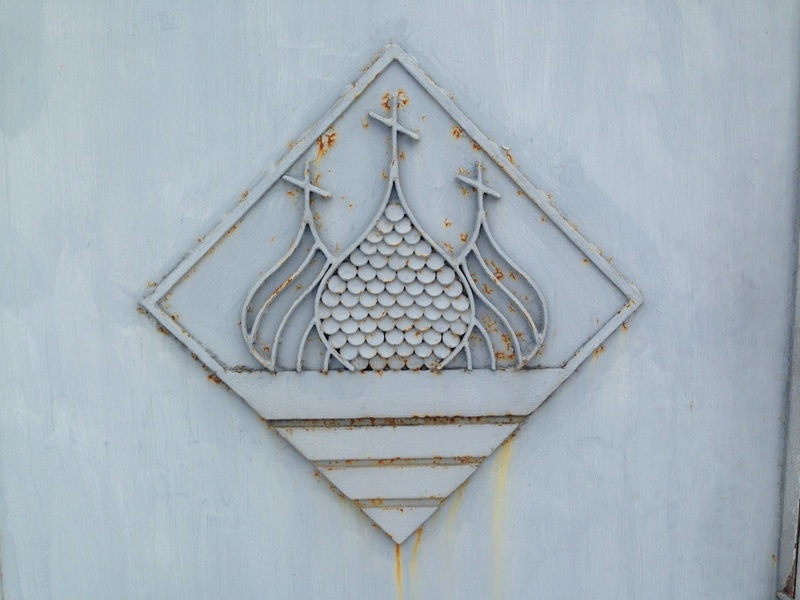 Other gates don't have the wrought-iron grilles but instead steel ornaments that have been welded right onto the metal backing; these seem more old-school, as I've even seen the logo from the 1984 Moscow Olympics still welded in place on a couple old gates. 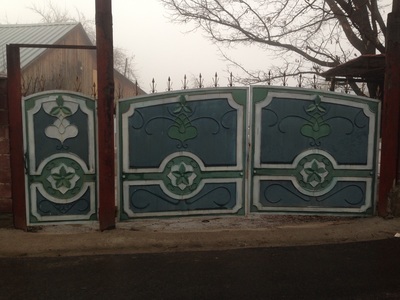 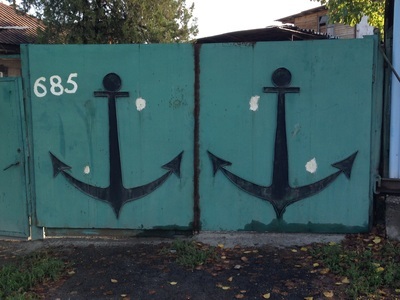 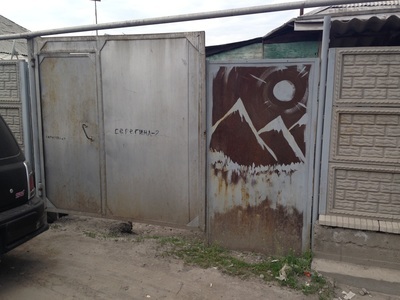 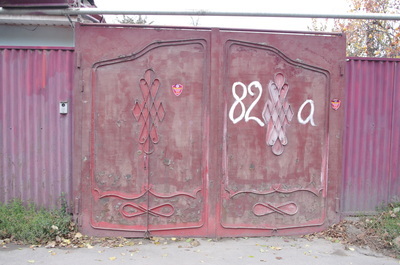 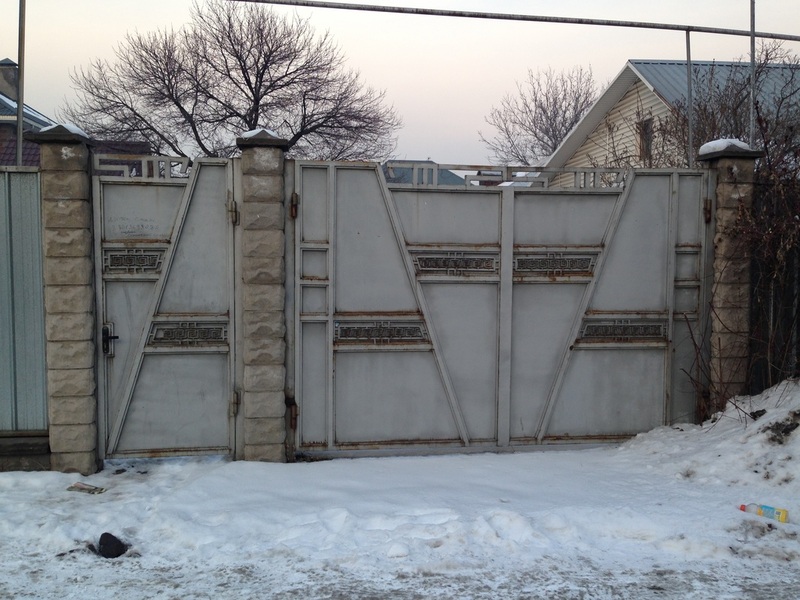 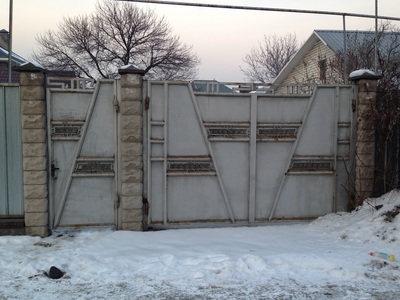 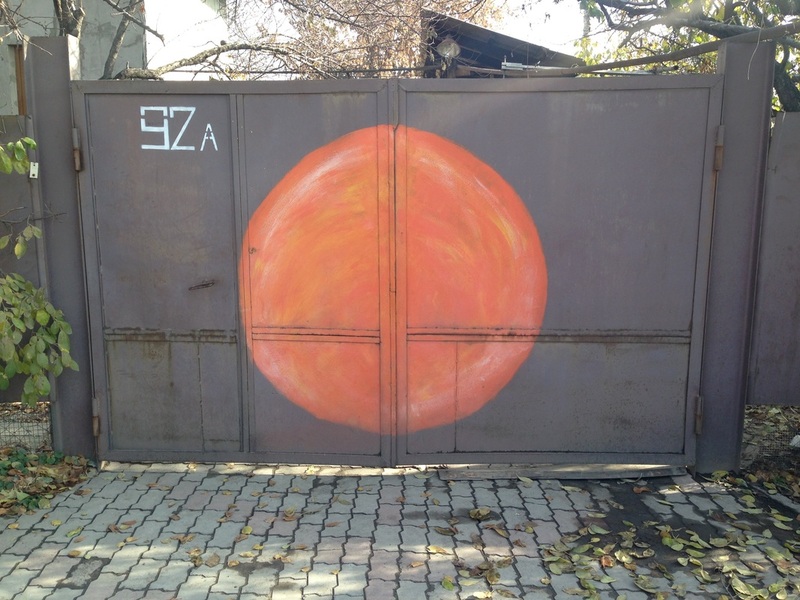 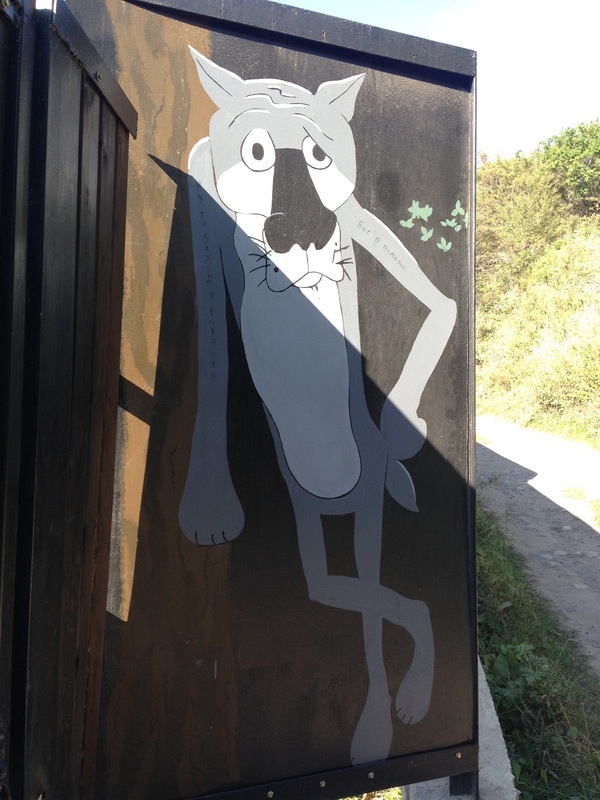 Neither style, in my humble opinion, will ever match the subtle strength of a Russian wooden gate. 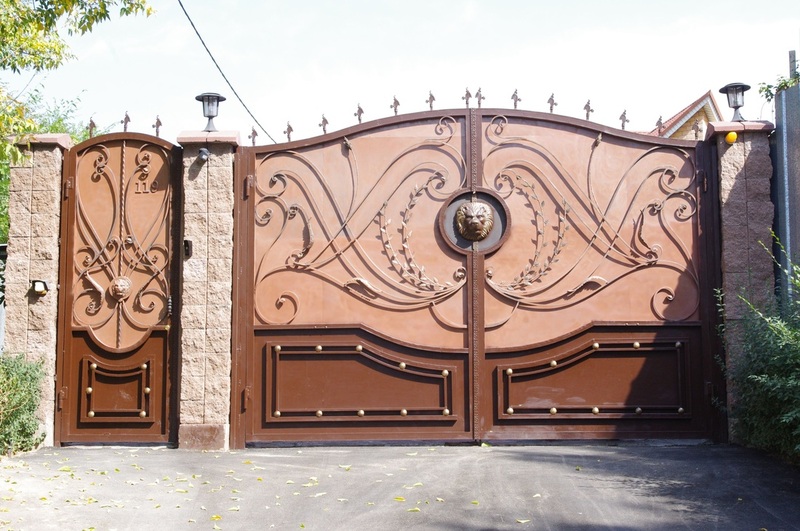 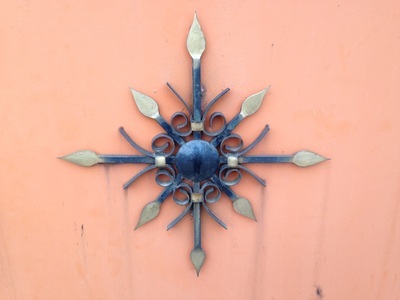 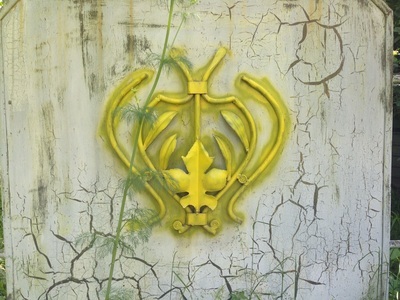 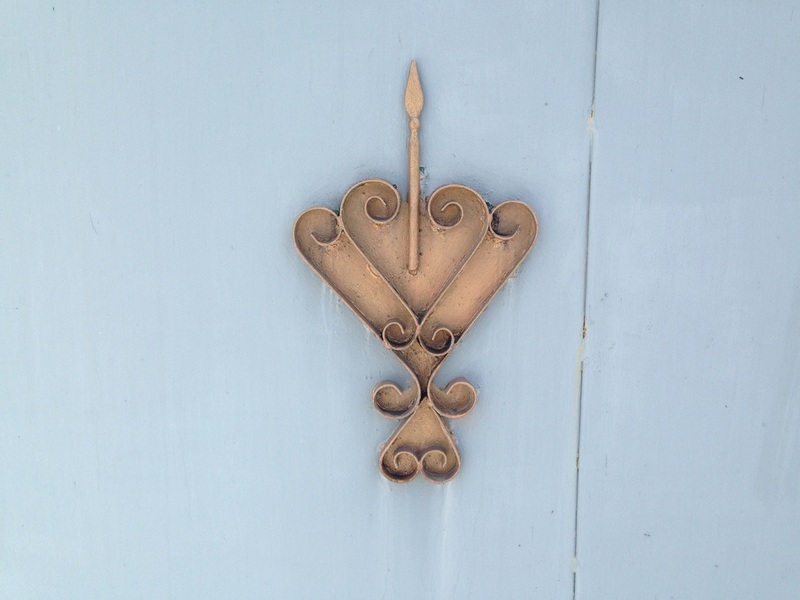 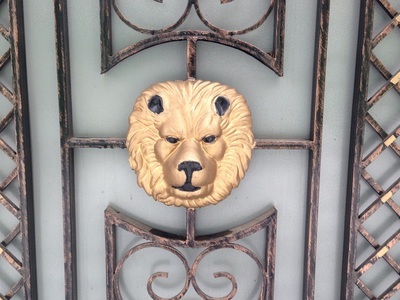 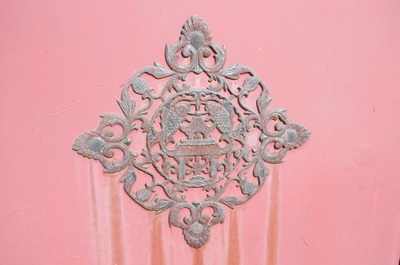 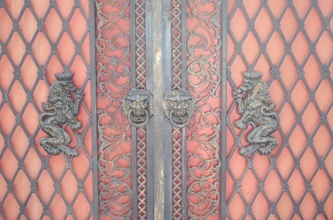 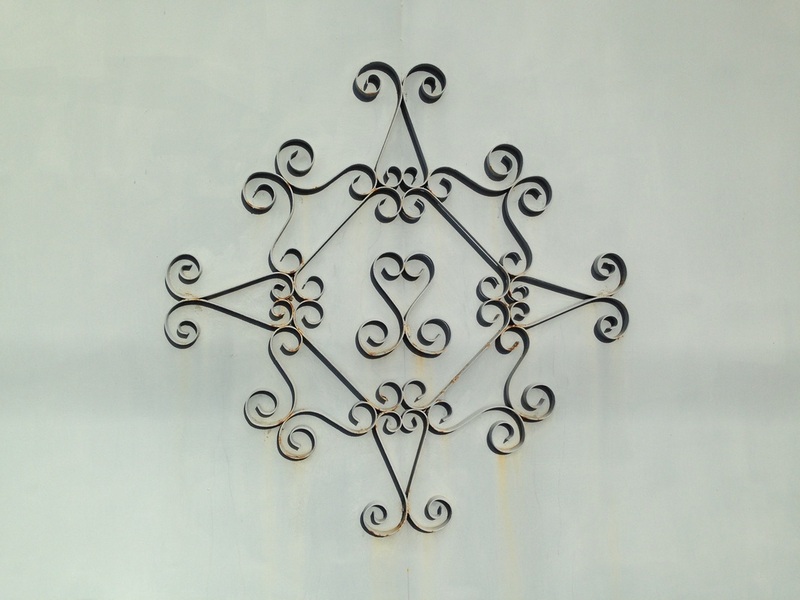 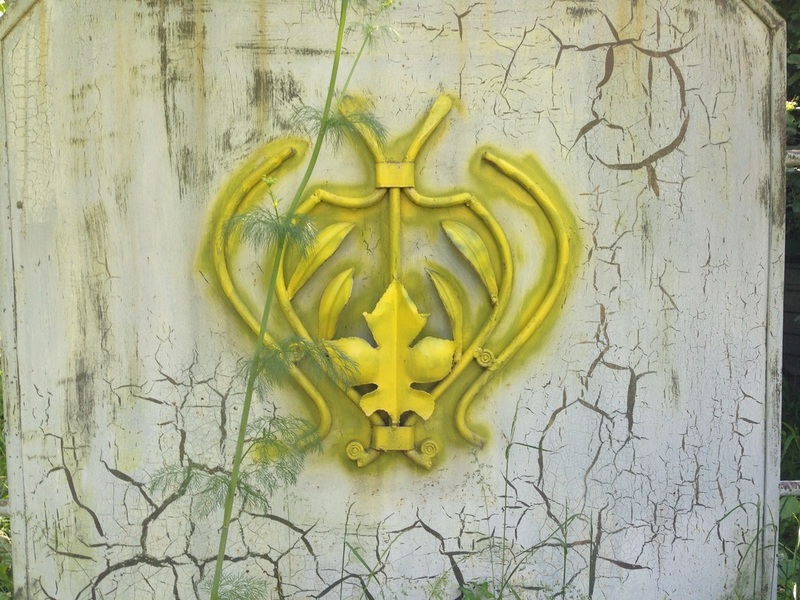 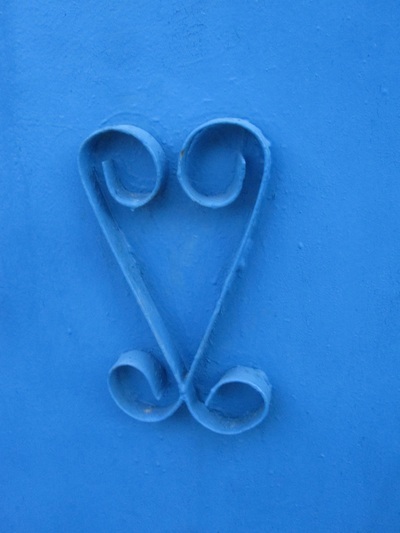 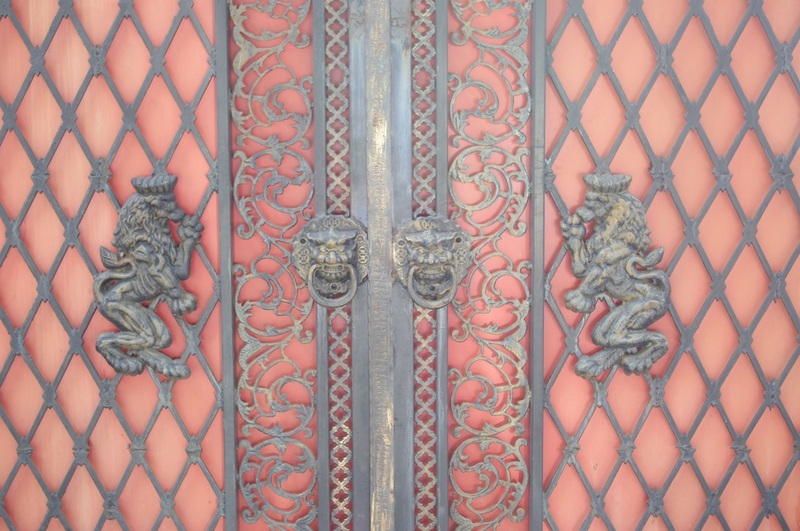 Homeowners can strive all the want to project glamor with their elaborately-styled iron, but it reeks of desperate modernity, instead of the wooden portal's timeless class.